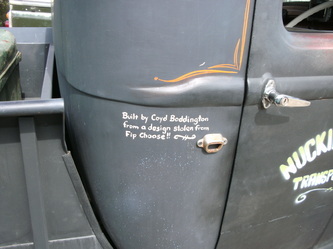 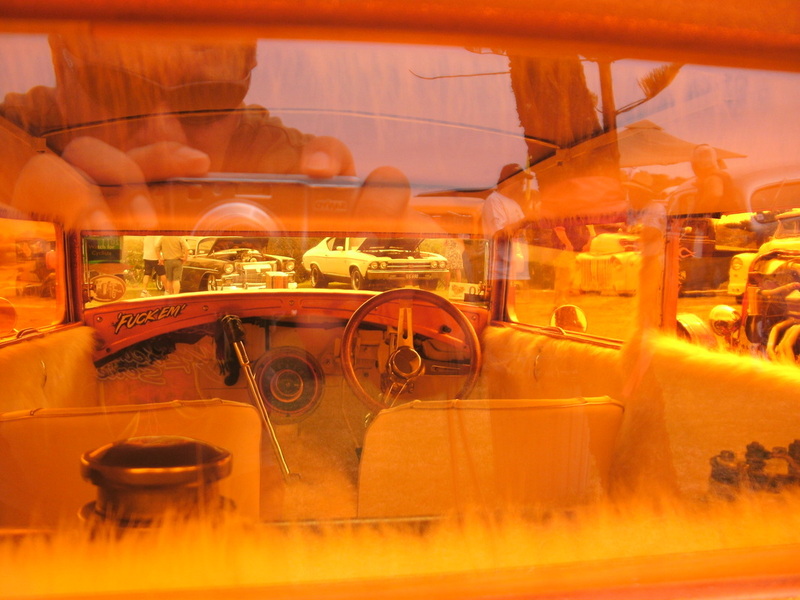 Rickshaws M.A.D. 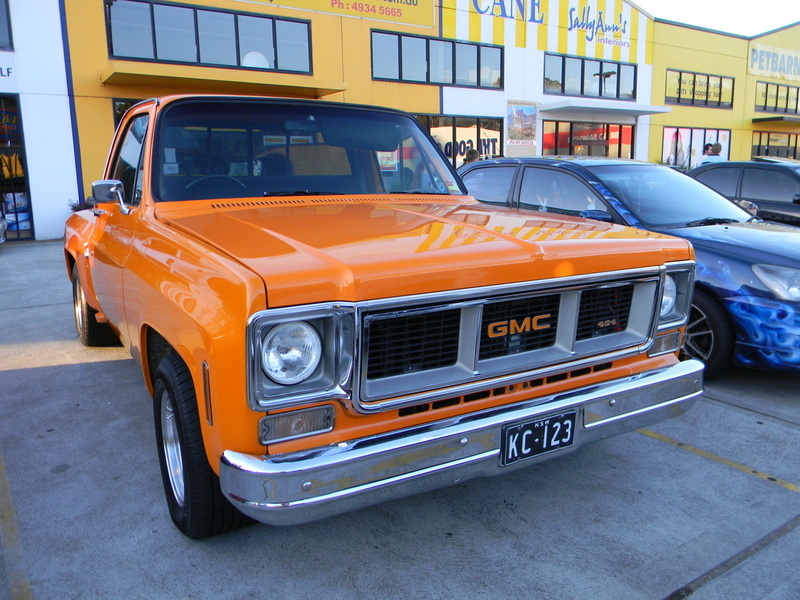 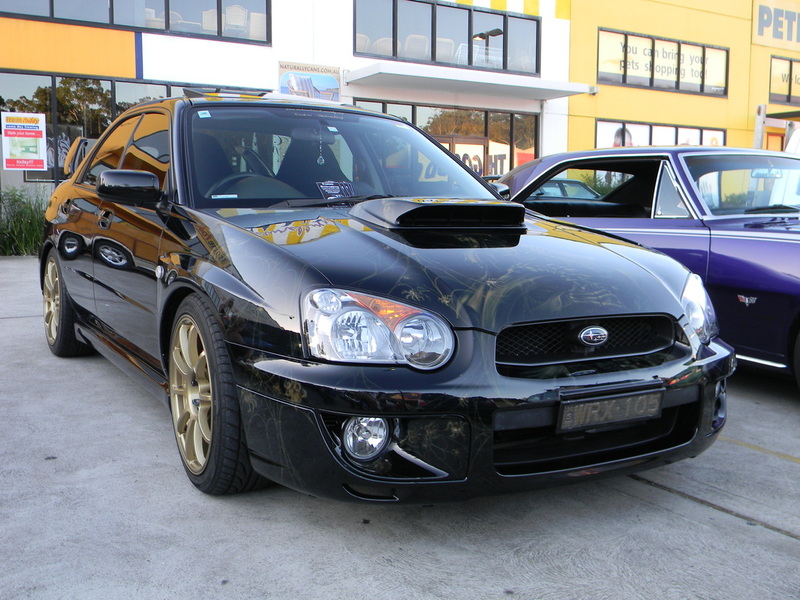 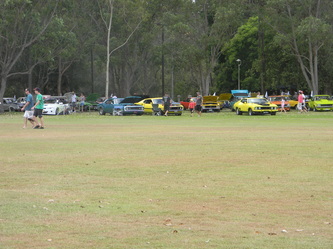 was held on the 6th February with another large number of vehicles in attendance. 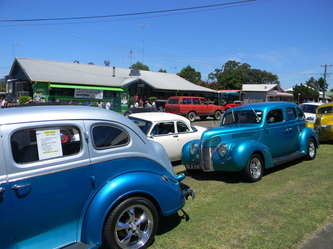 The weather had been so hot during the week that the numbers were down on previous years but still a very good show. 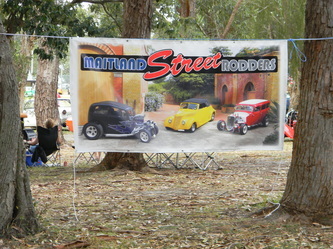 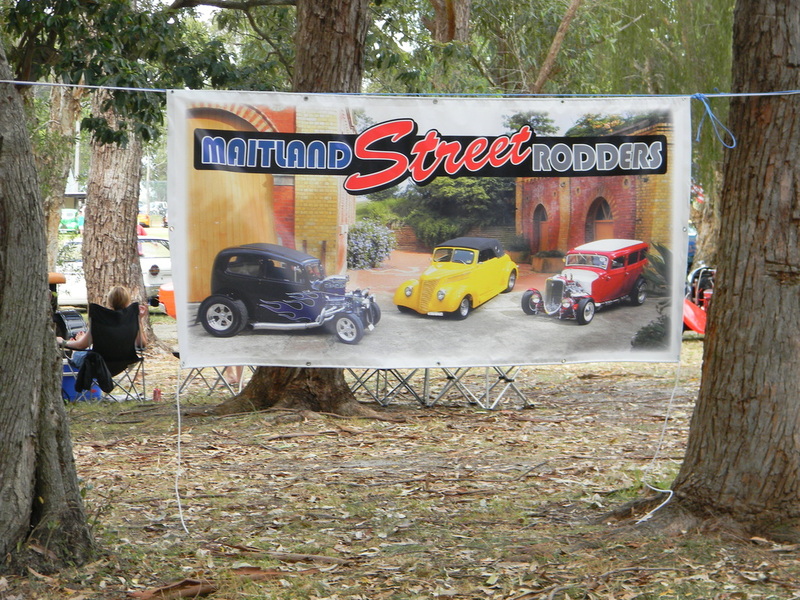 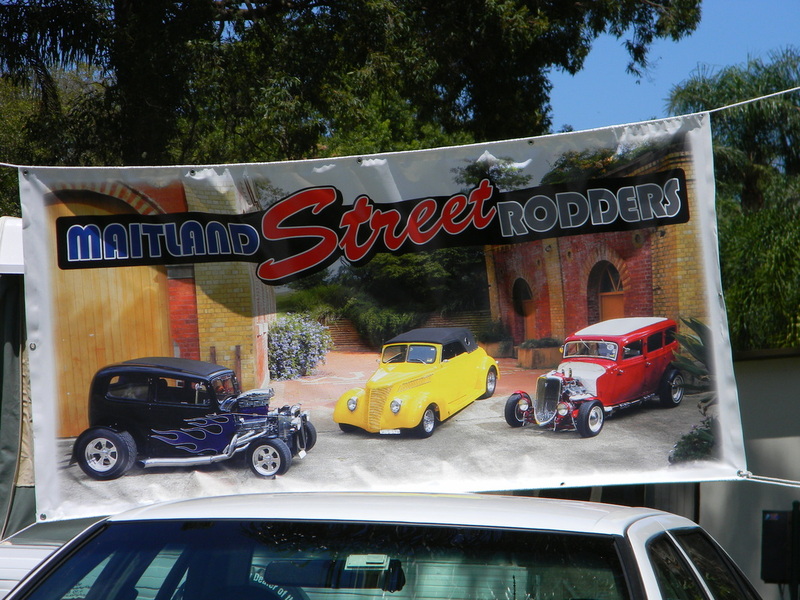 Maitland Street Rodders new banner had it's first outing and looked great amongst the trees and rods. 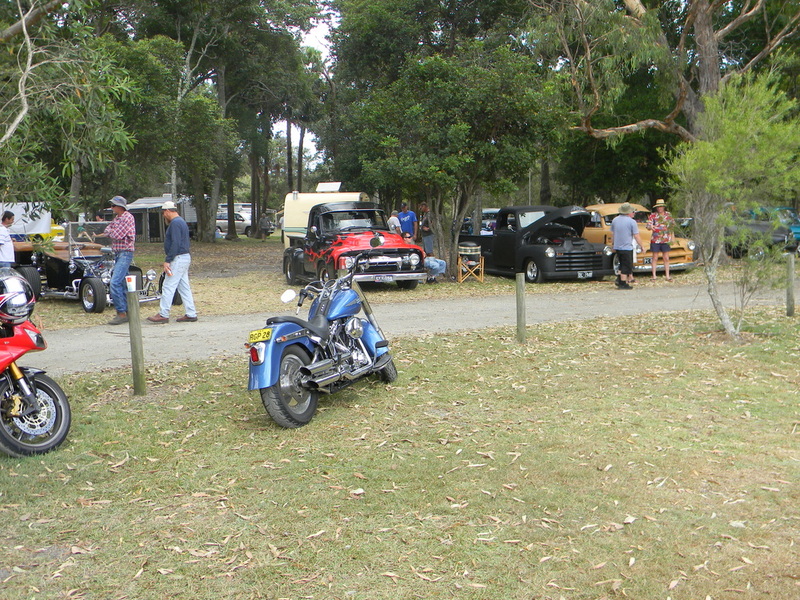 Our club had 10 members at this years event which doubled the number from last year and all enjoyed themselves as always. 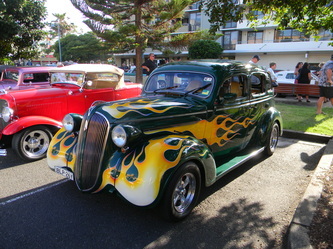 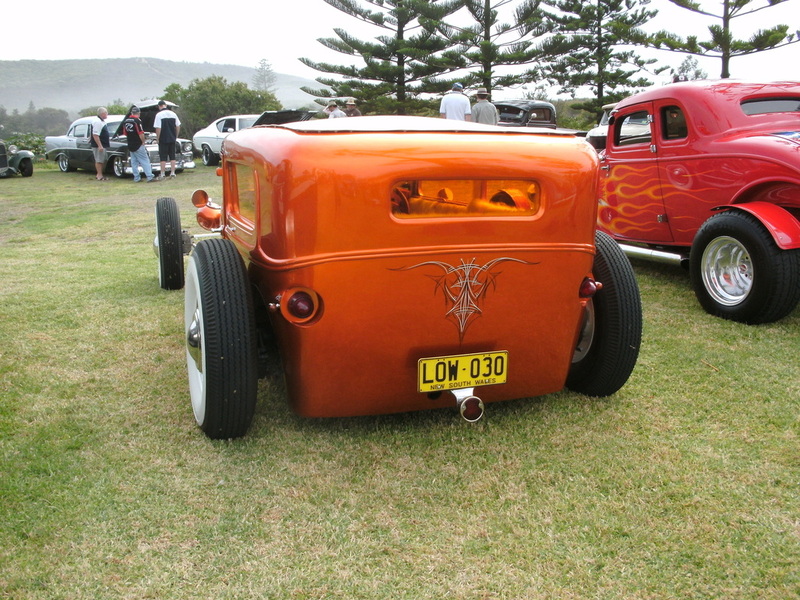 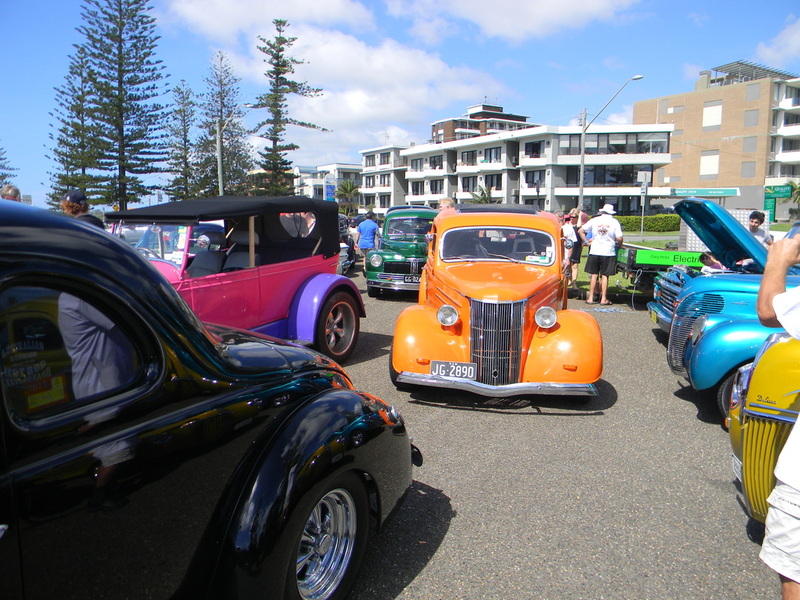 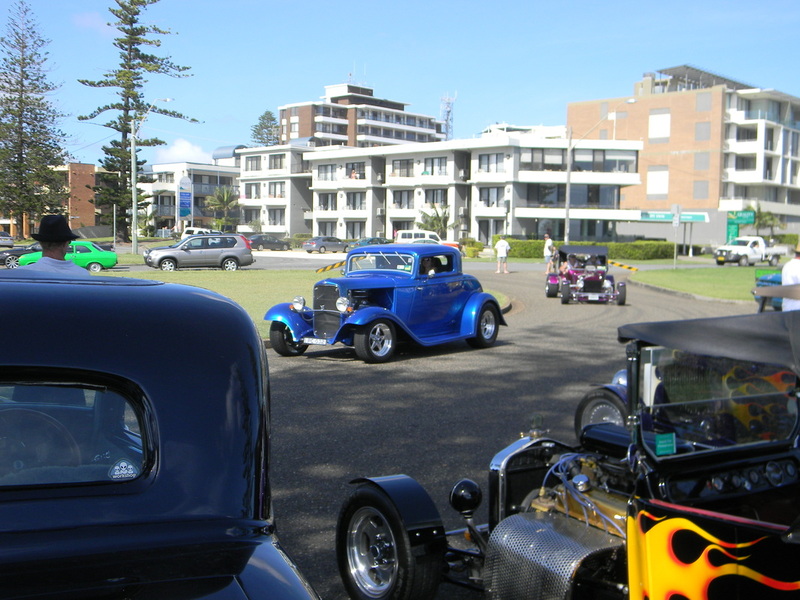 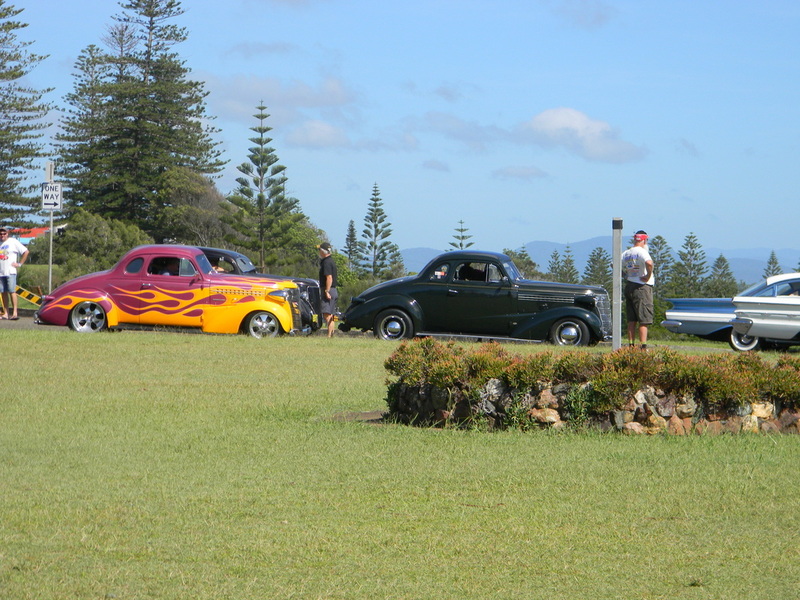 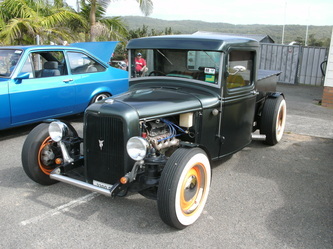 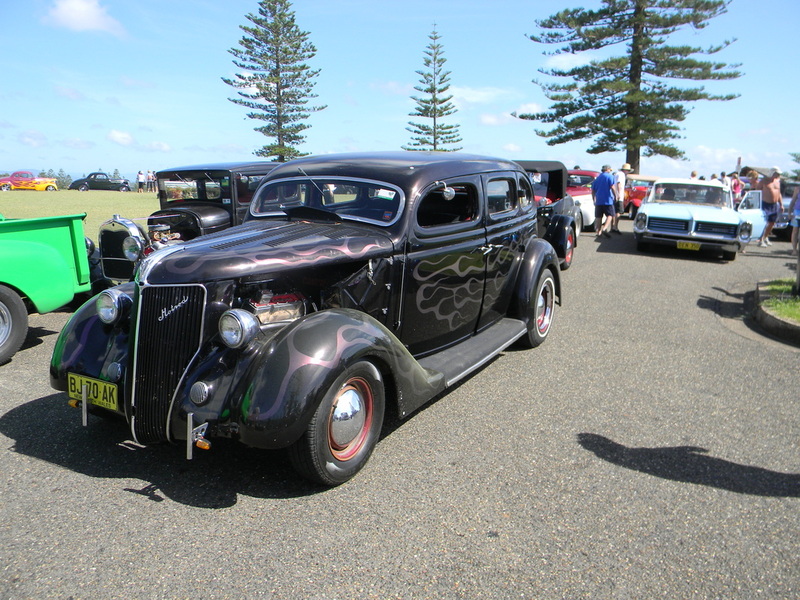 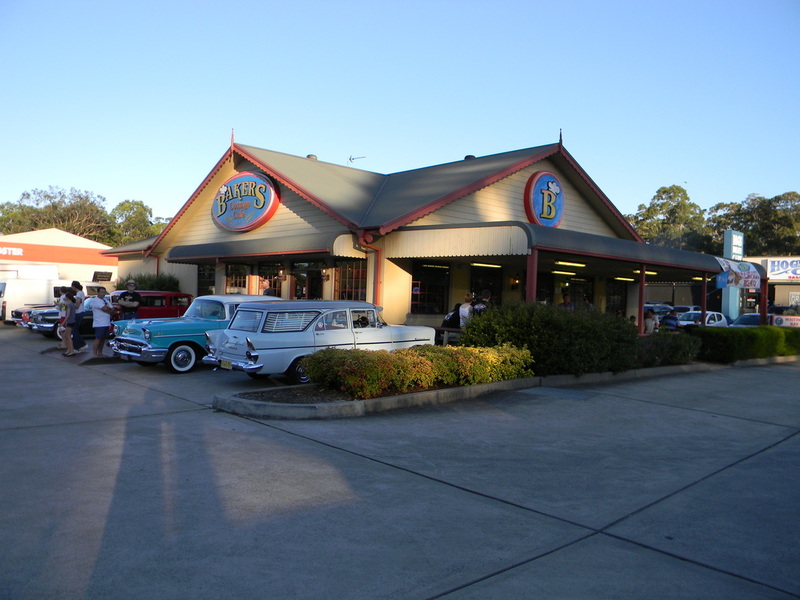 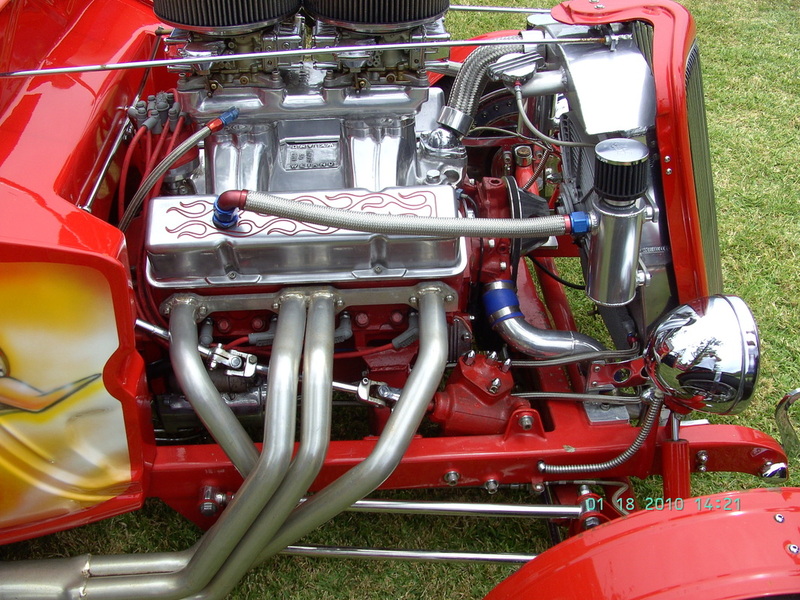 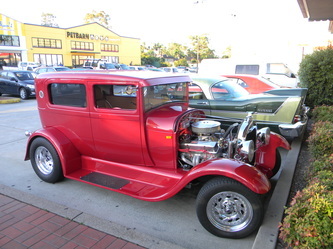 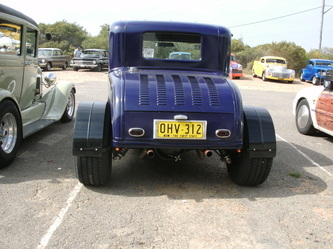 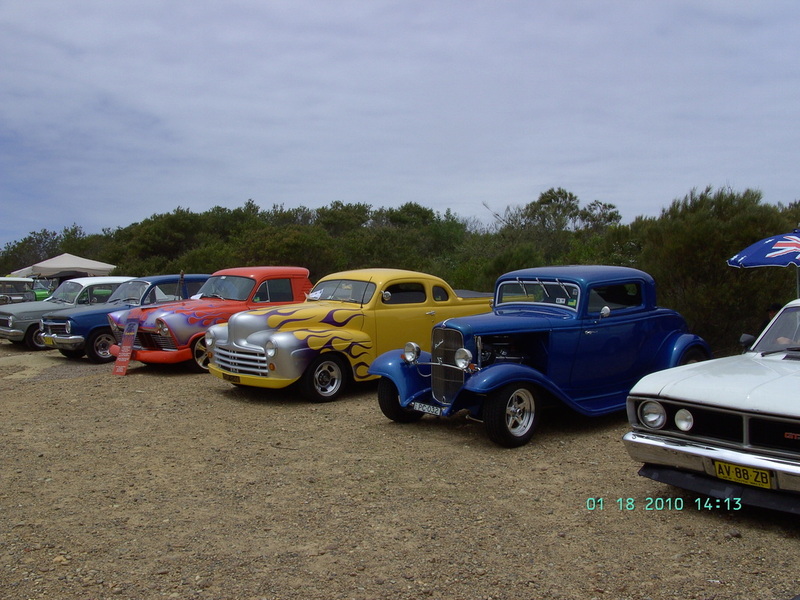 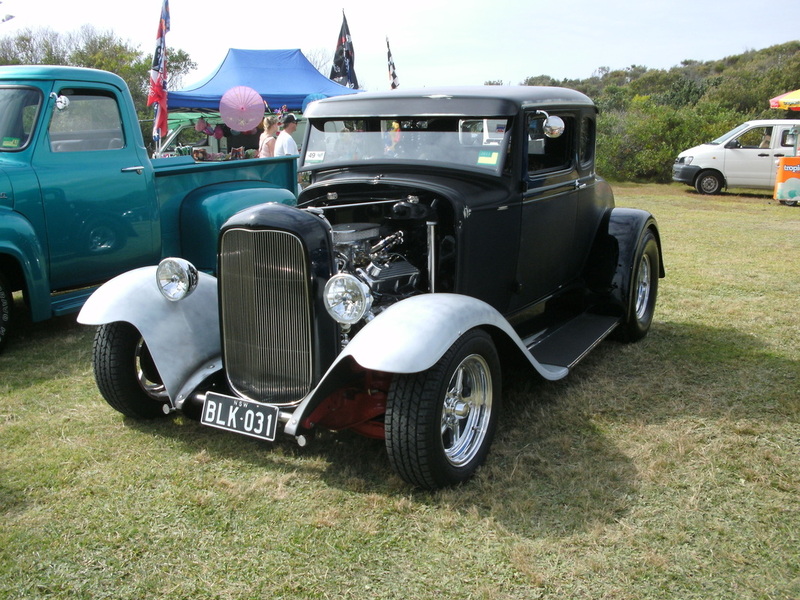 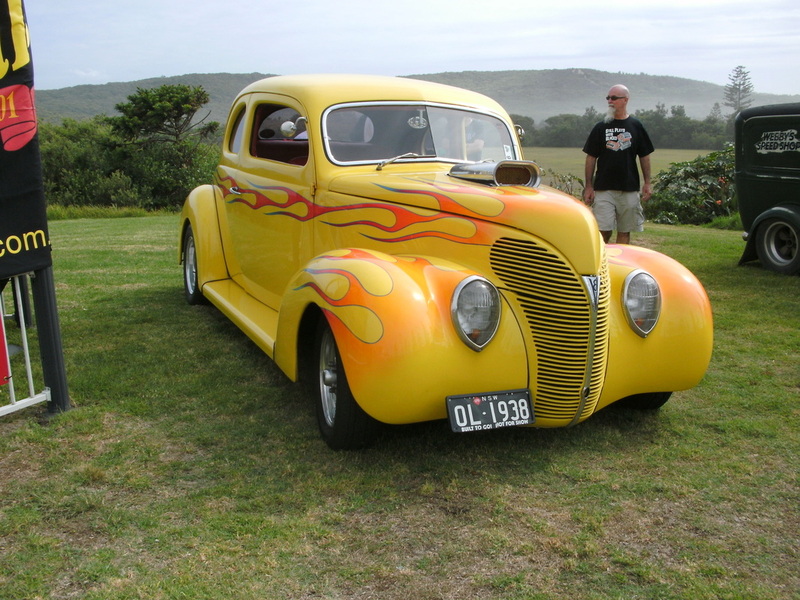 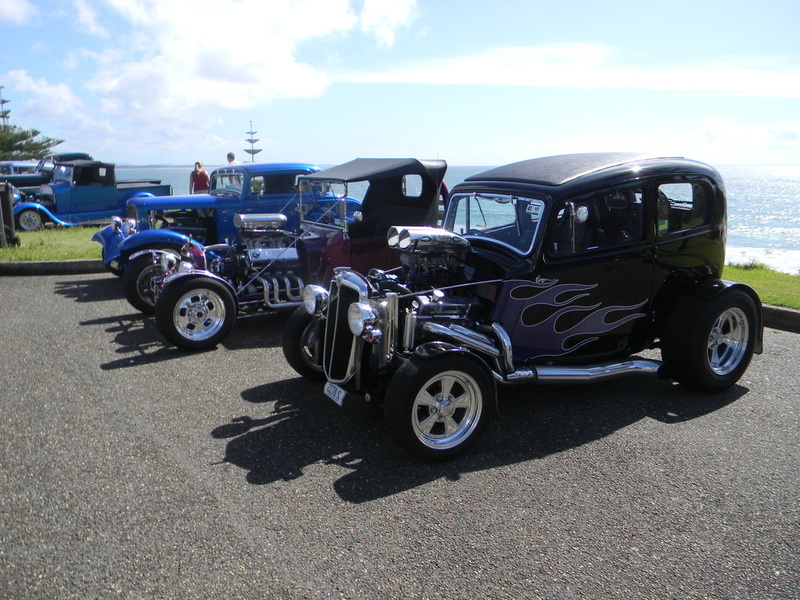 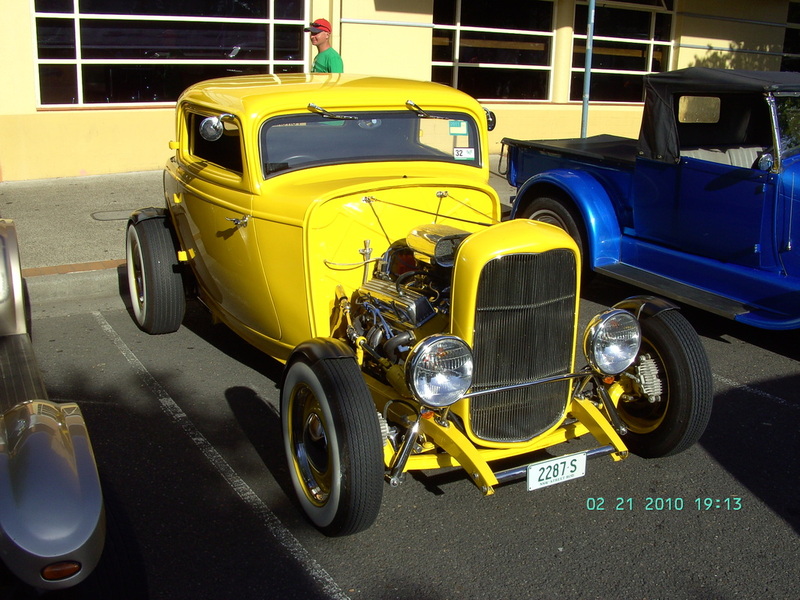 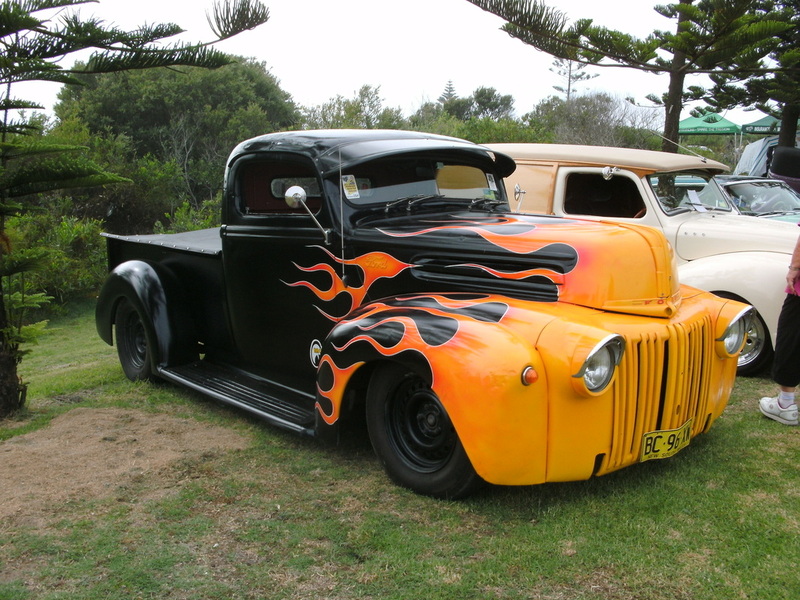 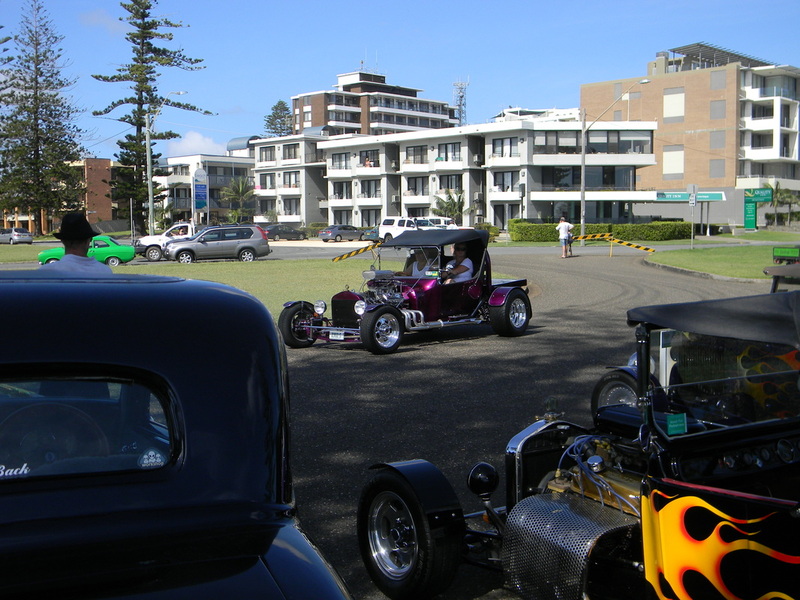 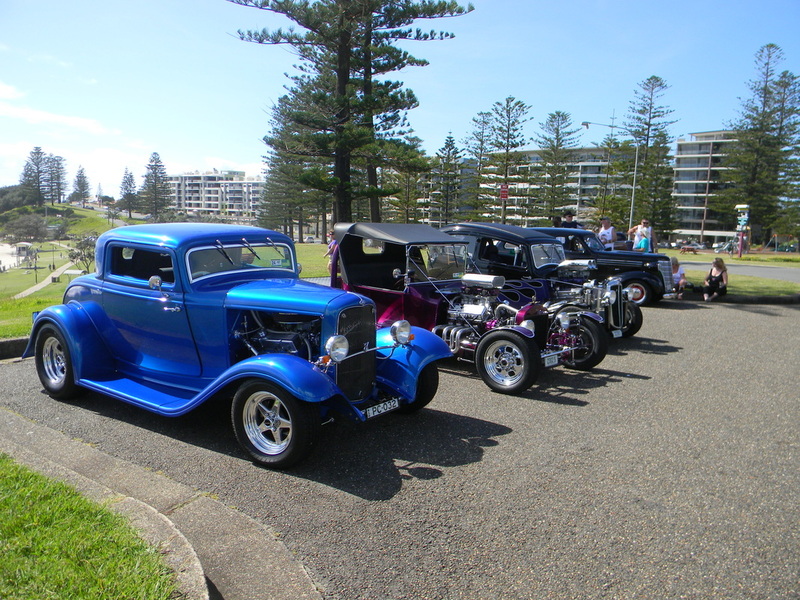 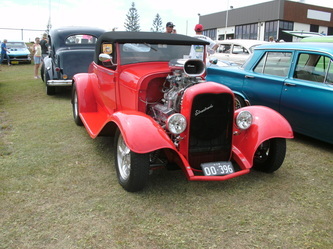 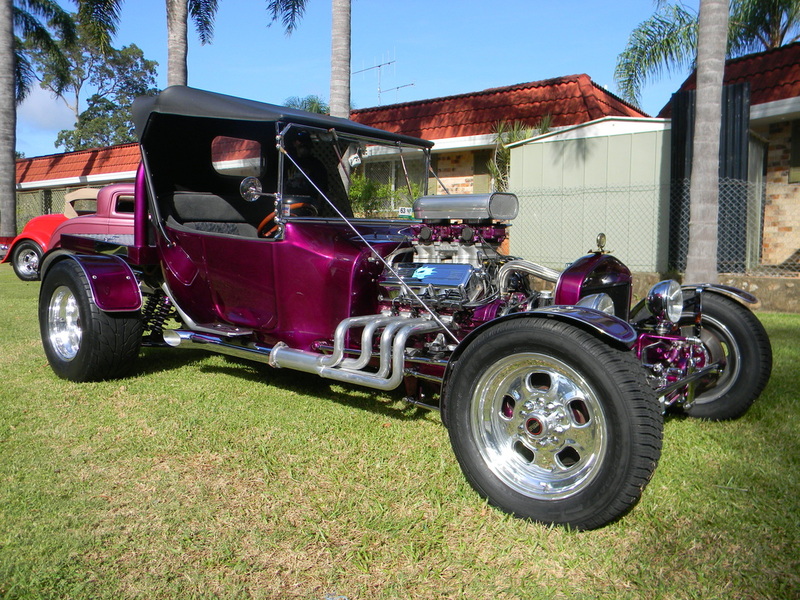 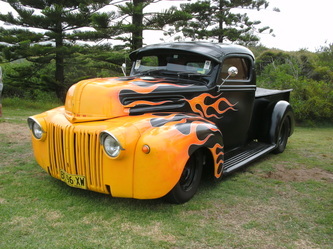 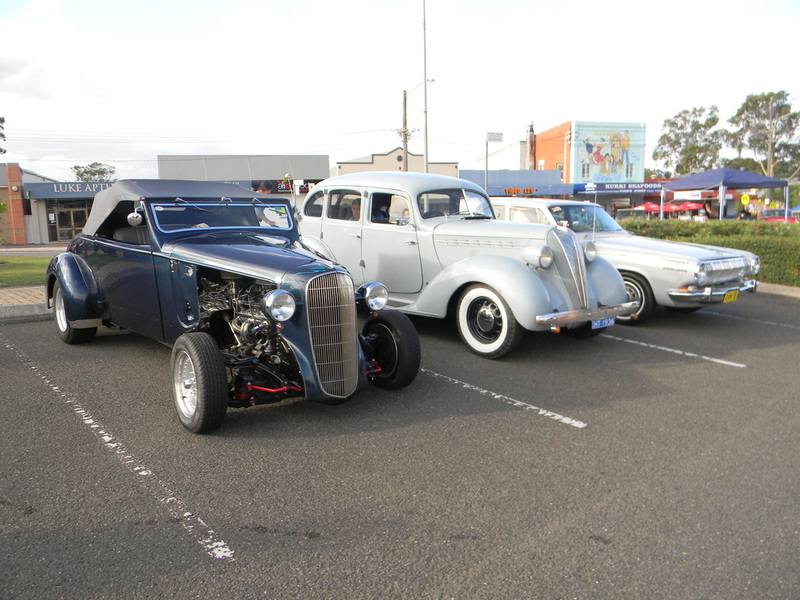 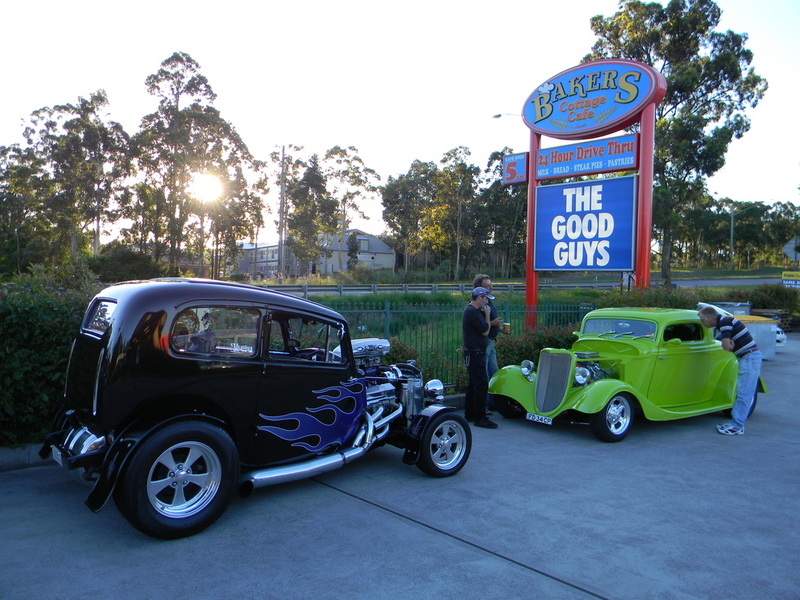 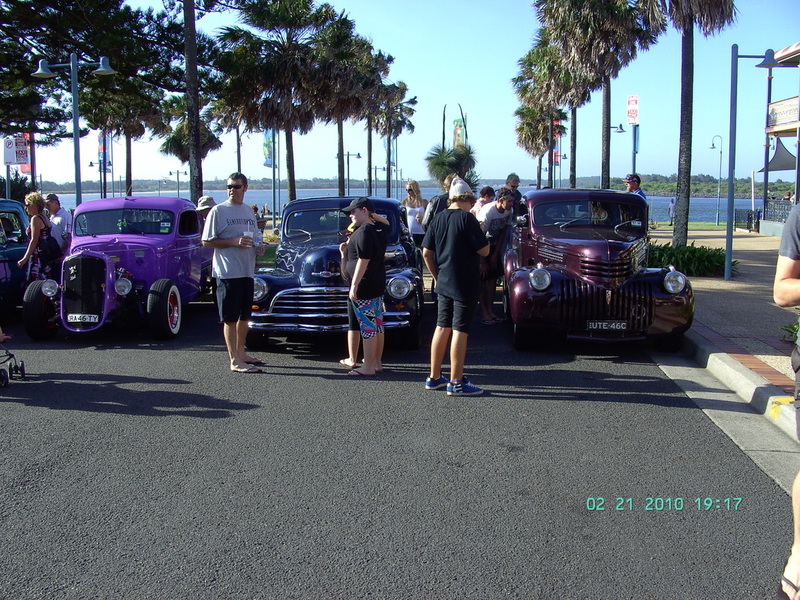 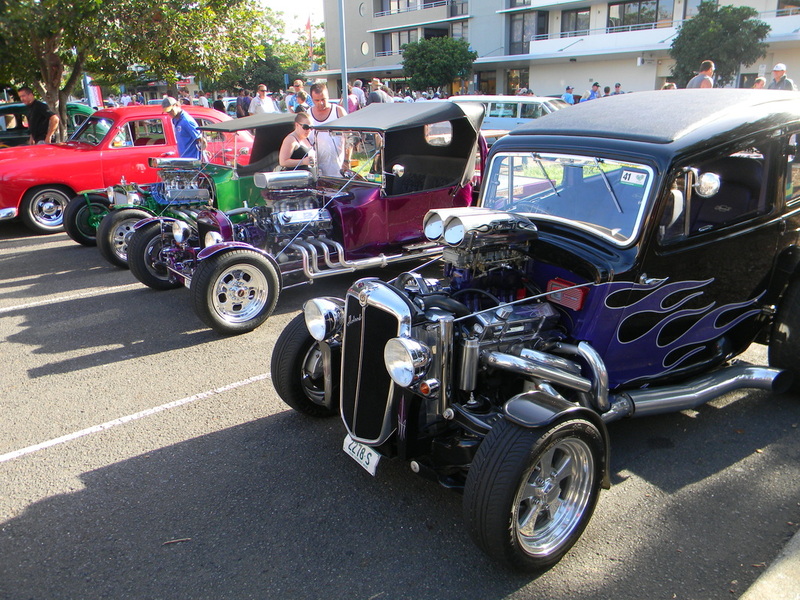 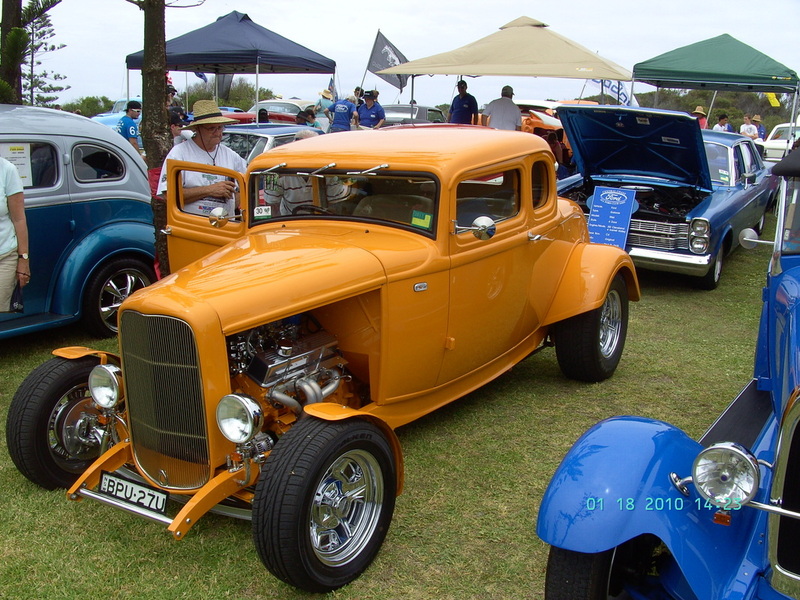 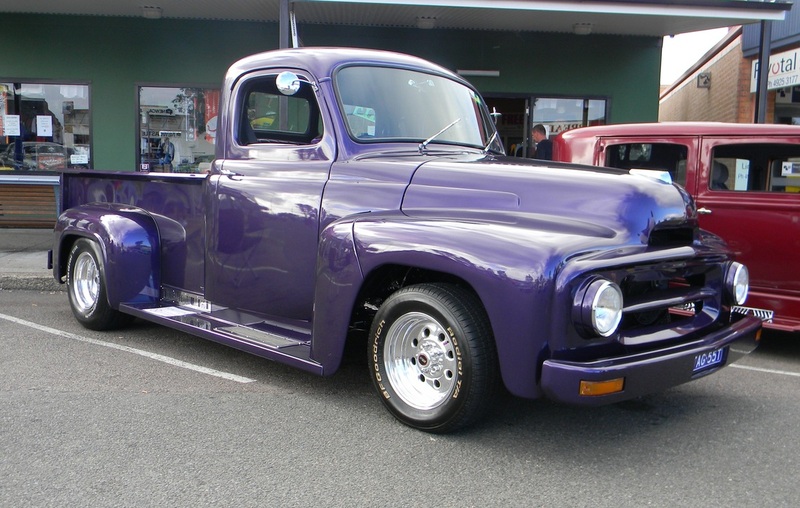 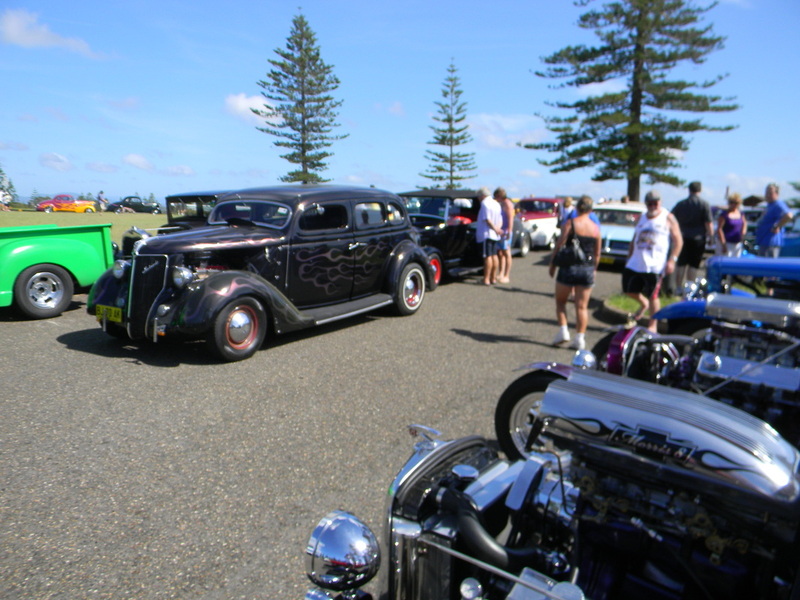 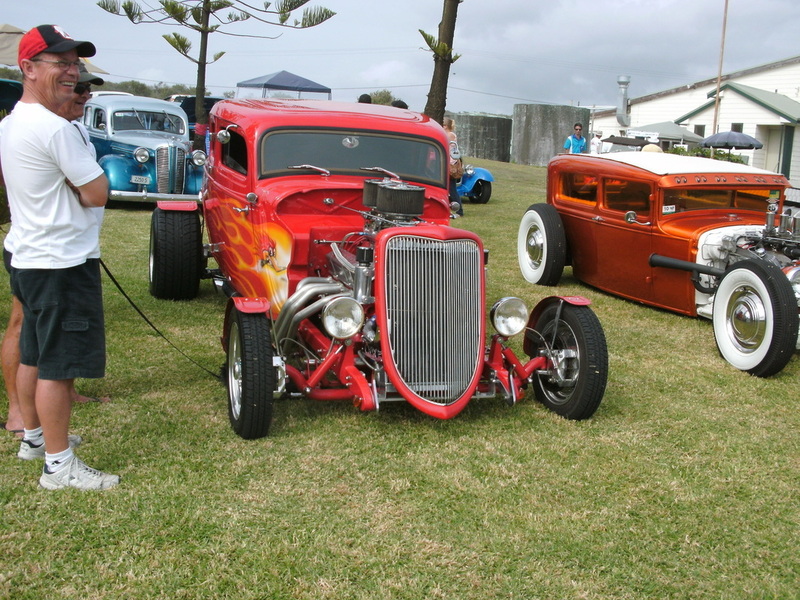 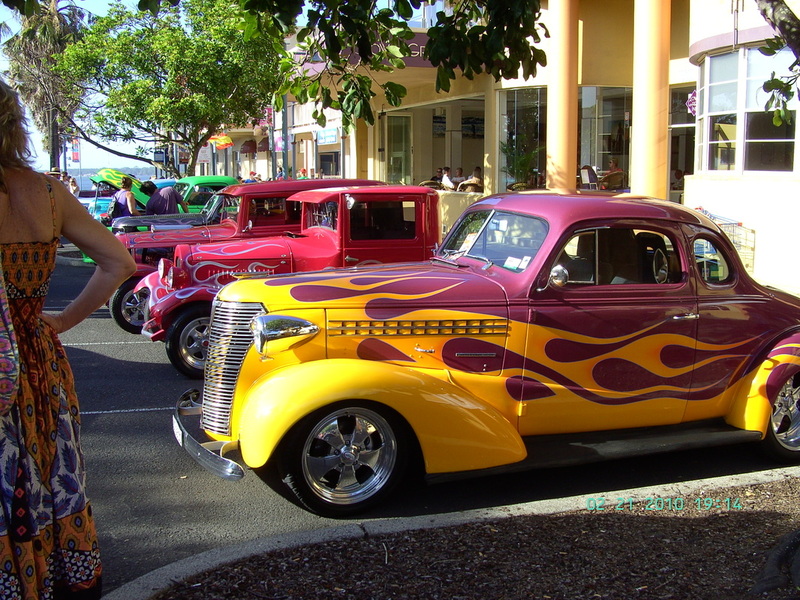 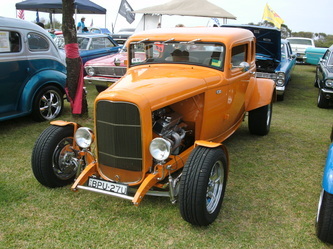 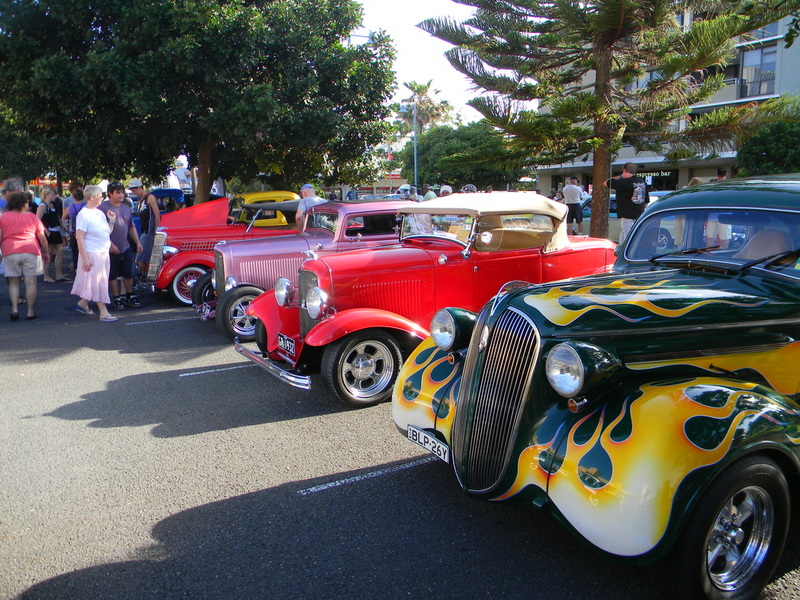 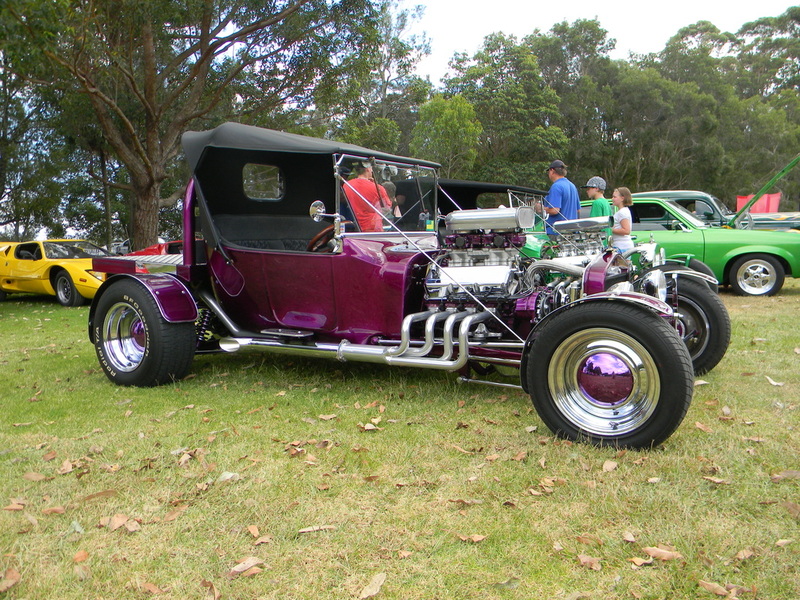 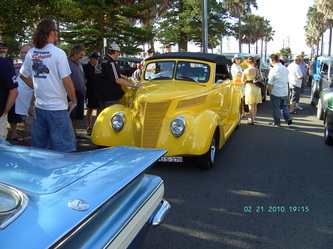 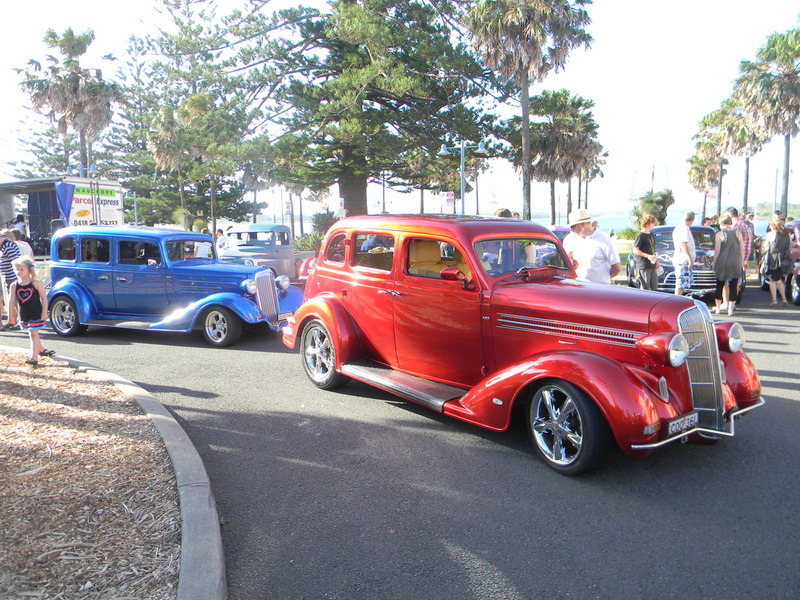 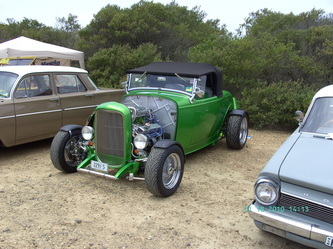 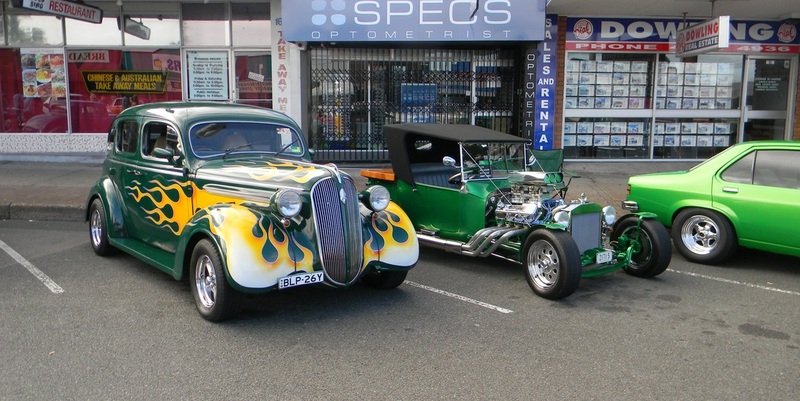 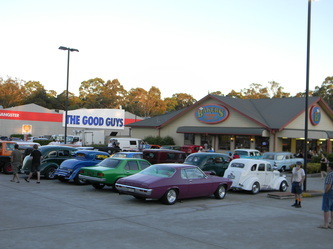 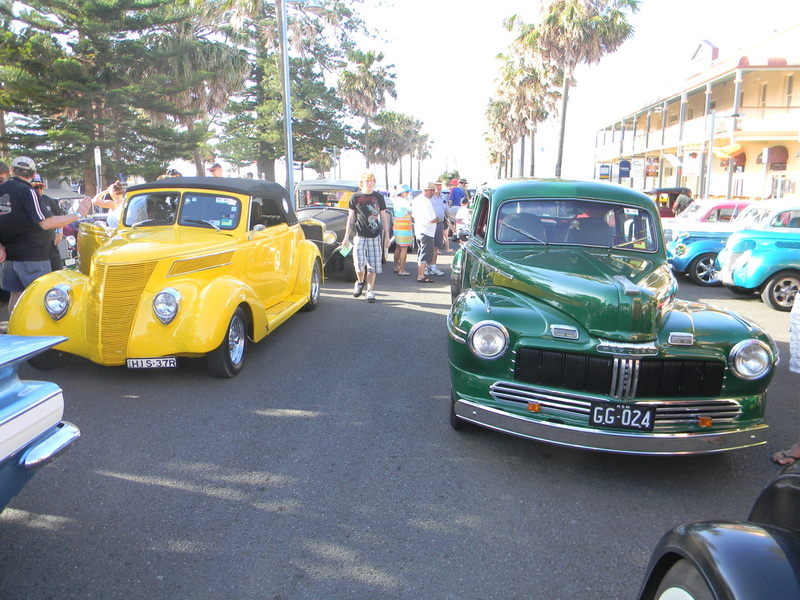 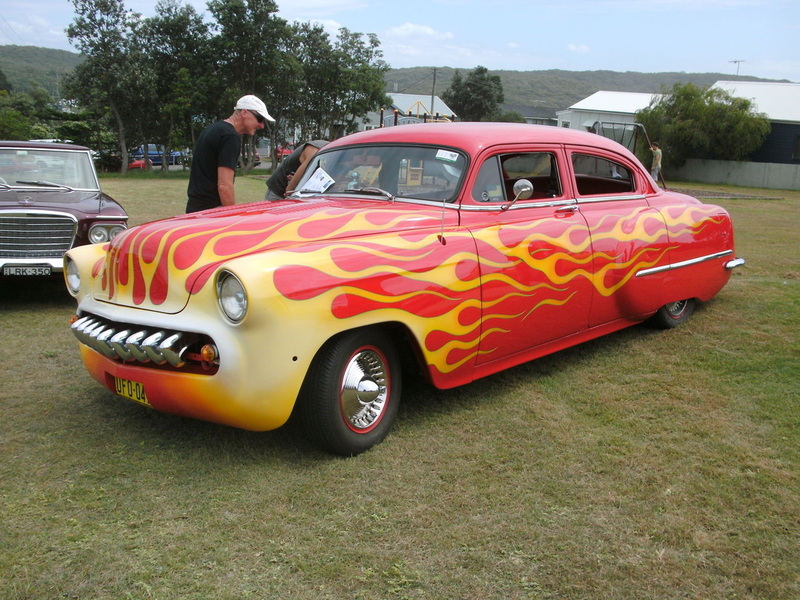 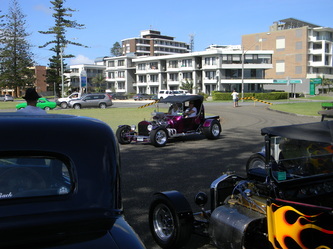 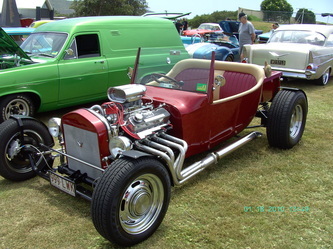 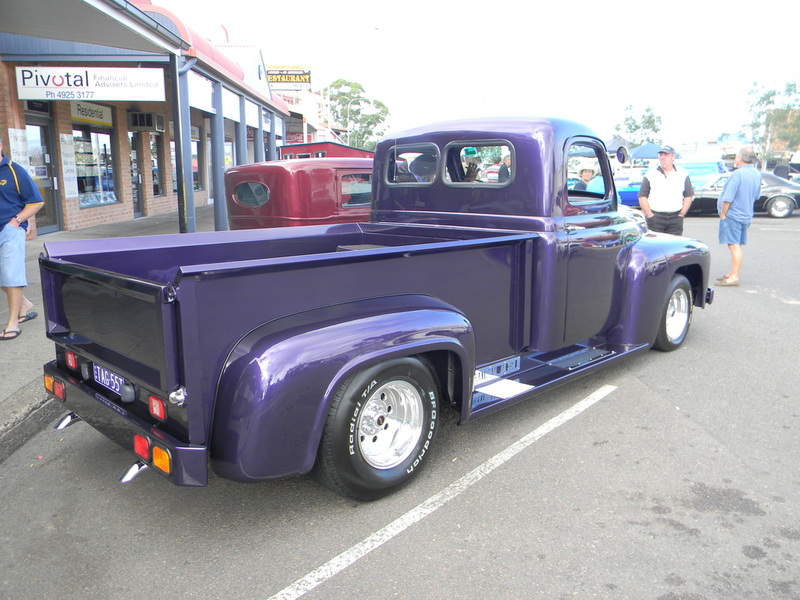 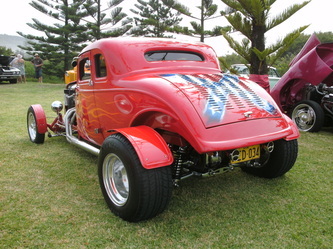 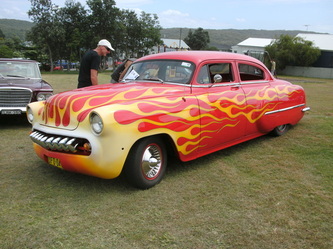 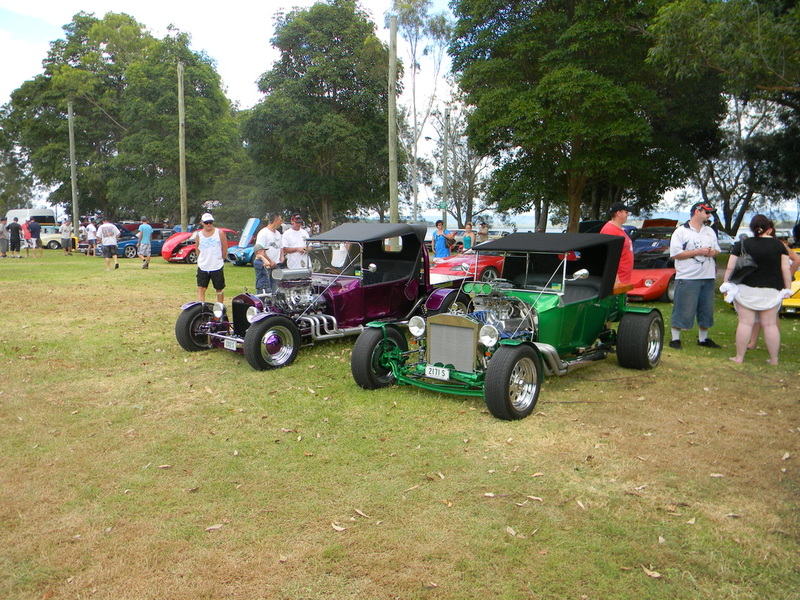 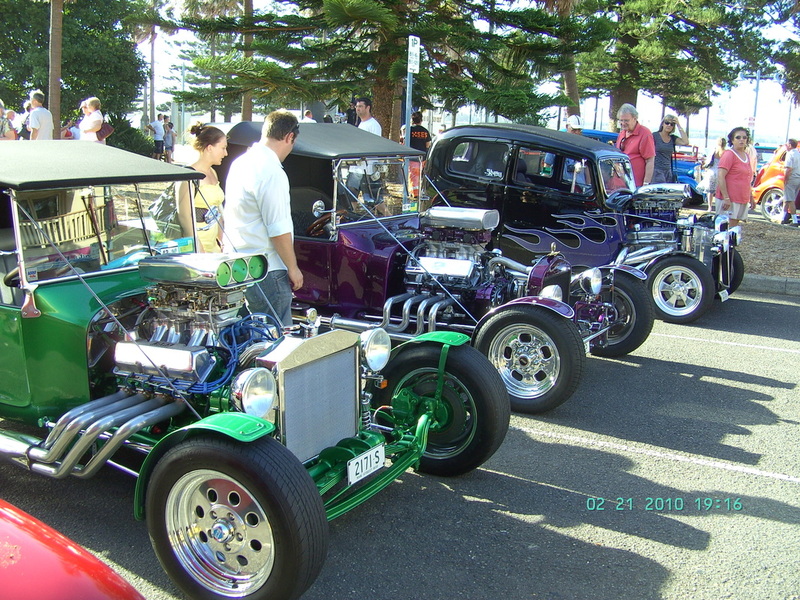 Coasters Hot Rod Club hosted another Port Macquarie run in February and as always it was great weekend. 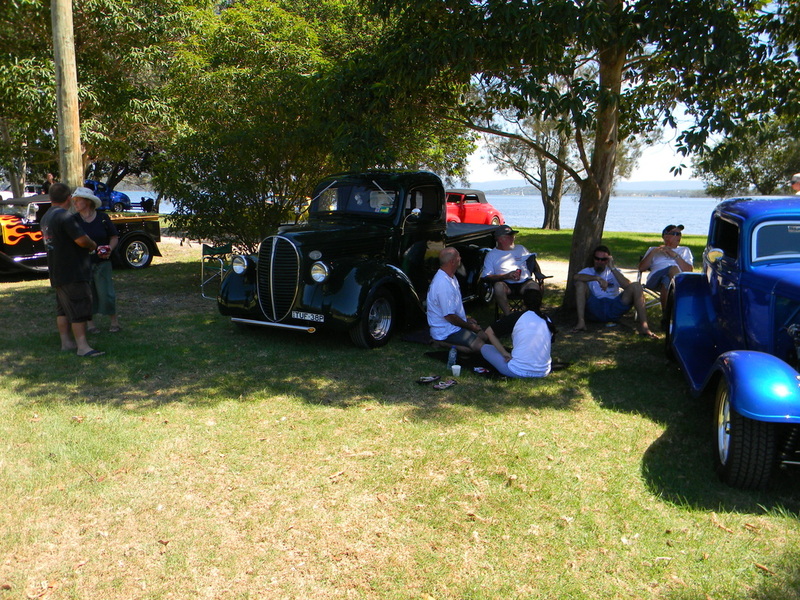 This year it was very hot and everyone was looking for shade or air conditioning, but if you got down near the river there was always a breeze that gave some relief. 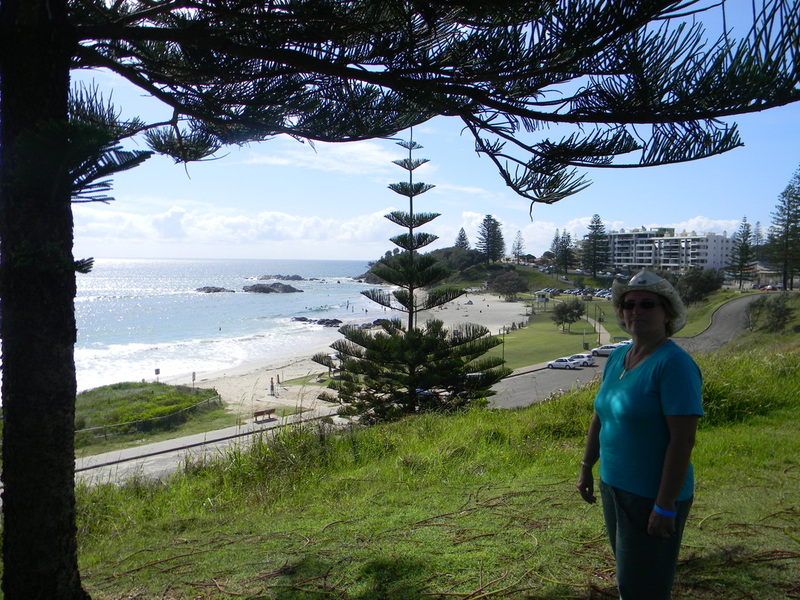 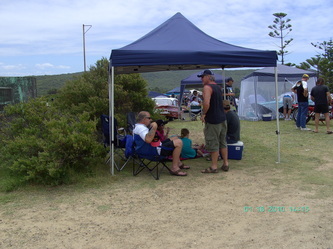 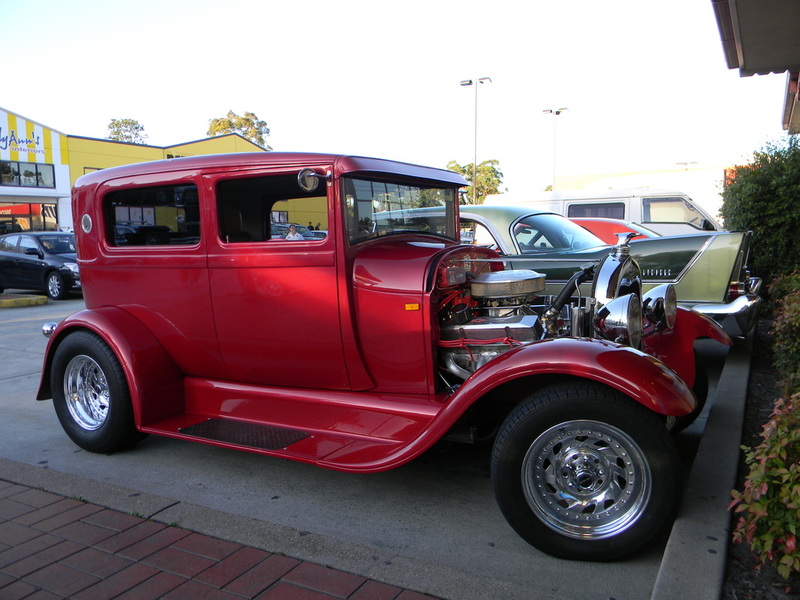 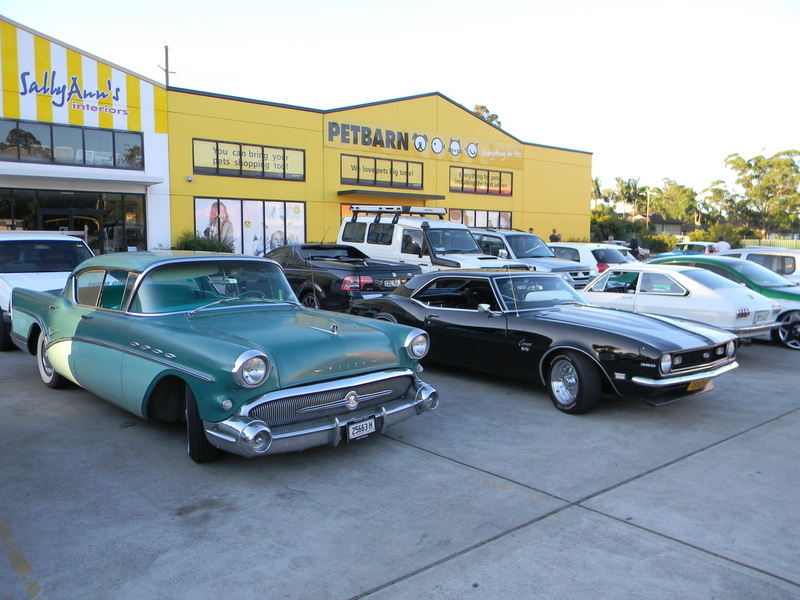 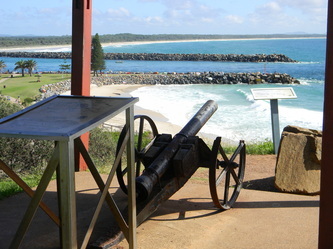 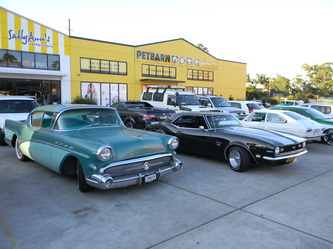 The same format as other years with welcome drinks and Hot Dogs on the Friday night and a cruise to lunch on Saturday. 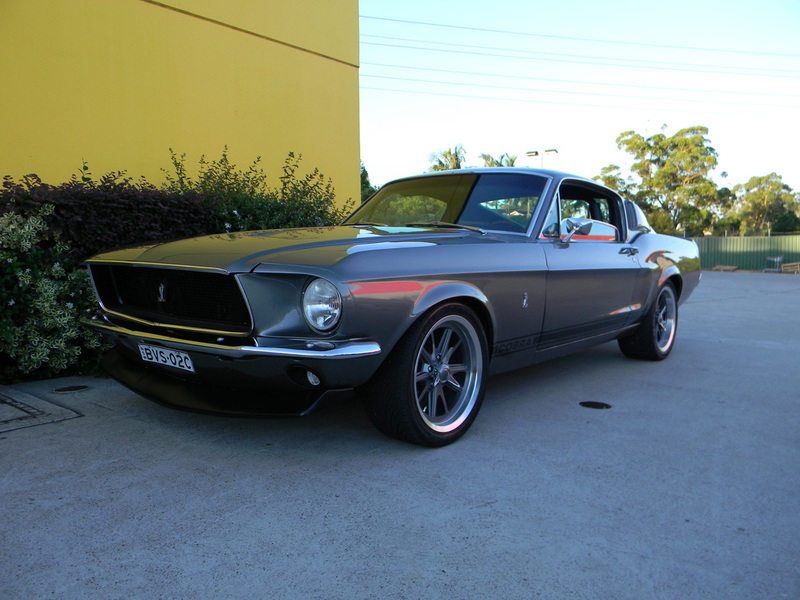 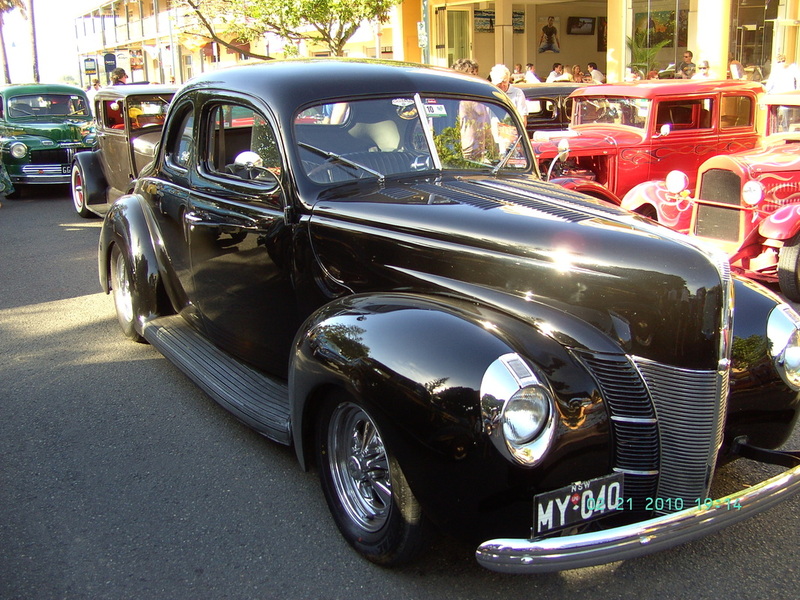 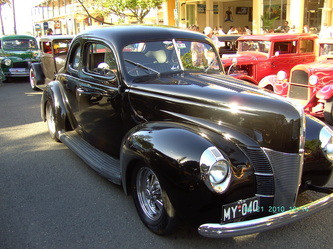 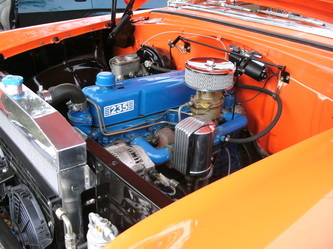 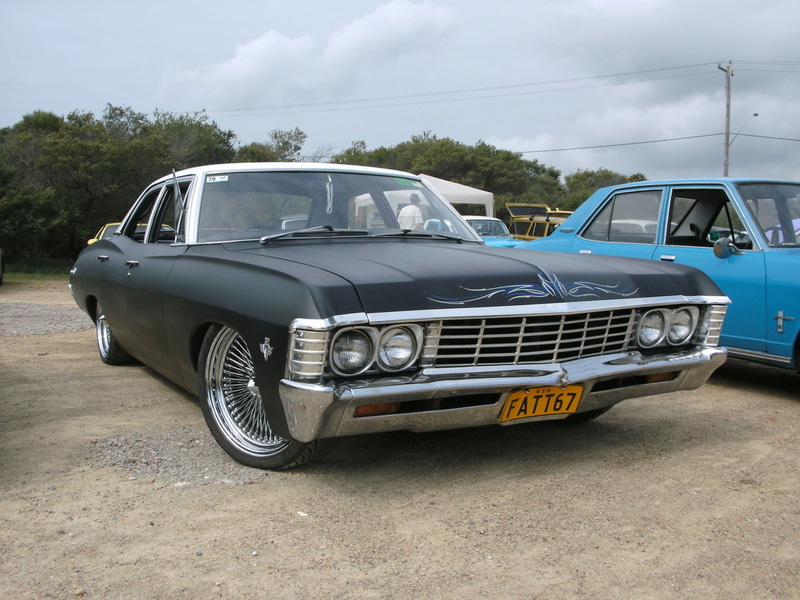 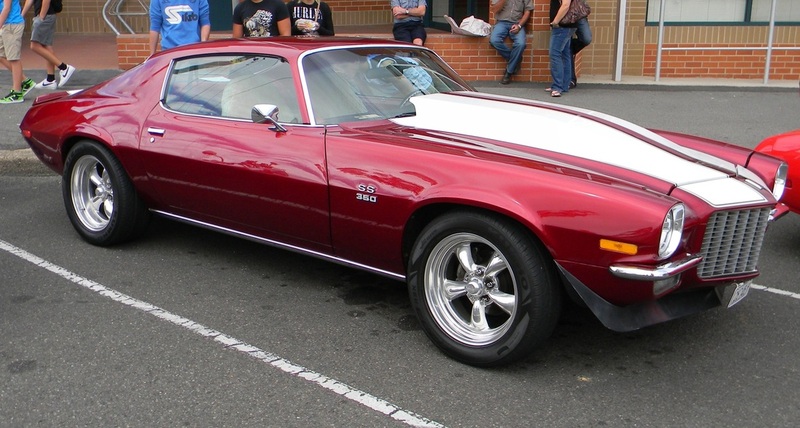 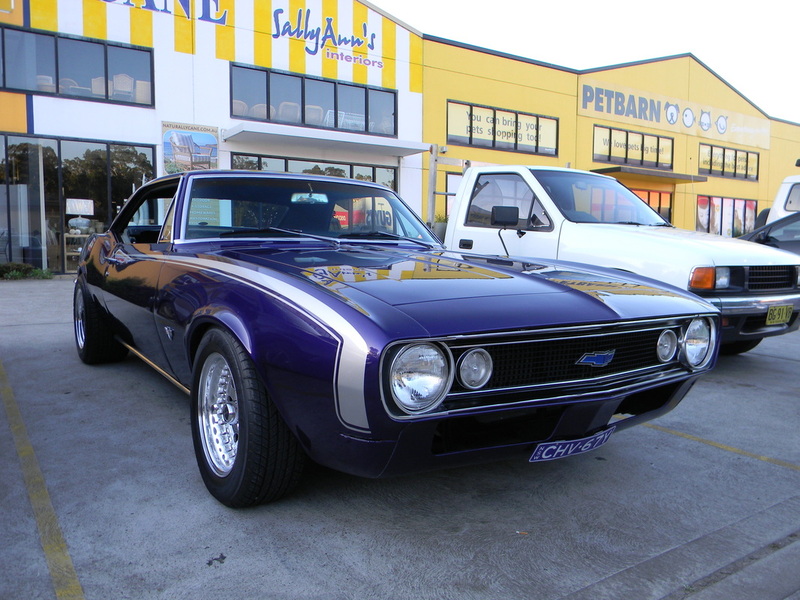 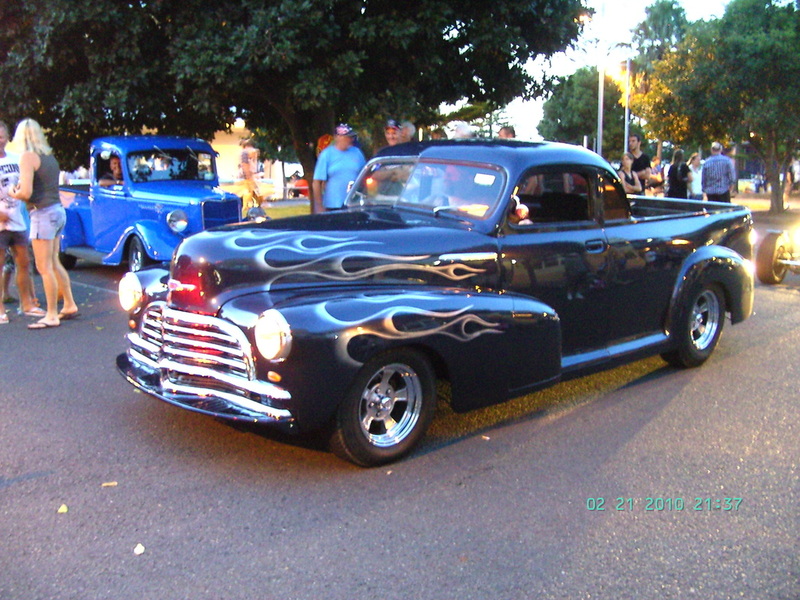 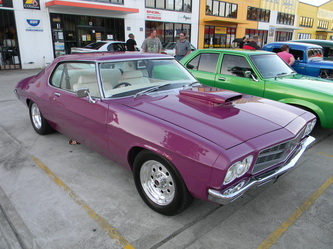 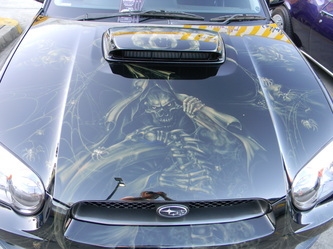 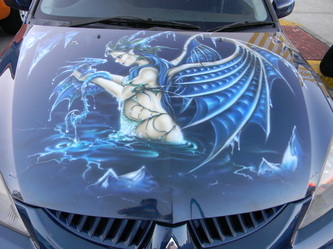 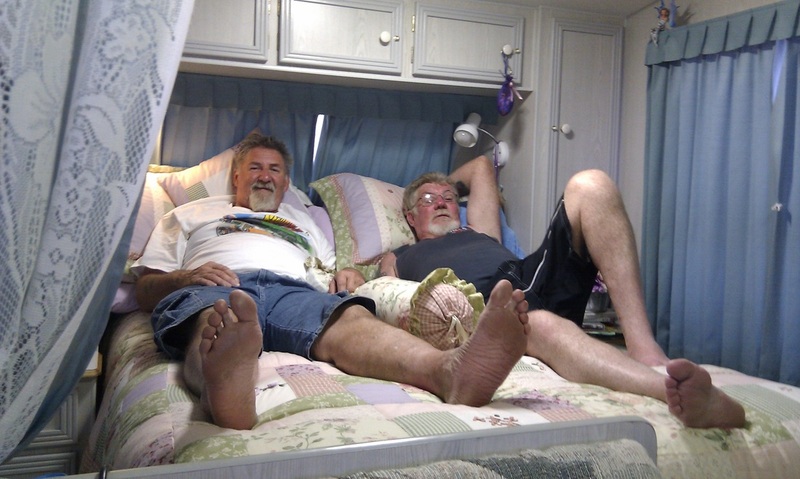 After lunch we all rested and then at 5pm went to the show and shine in town before returning to party all night. Some partied harder than others but we all enjoyed ourselves. 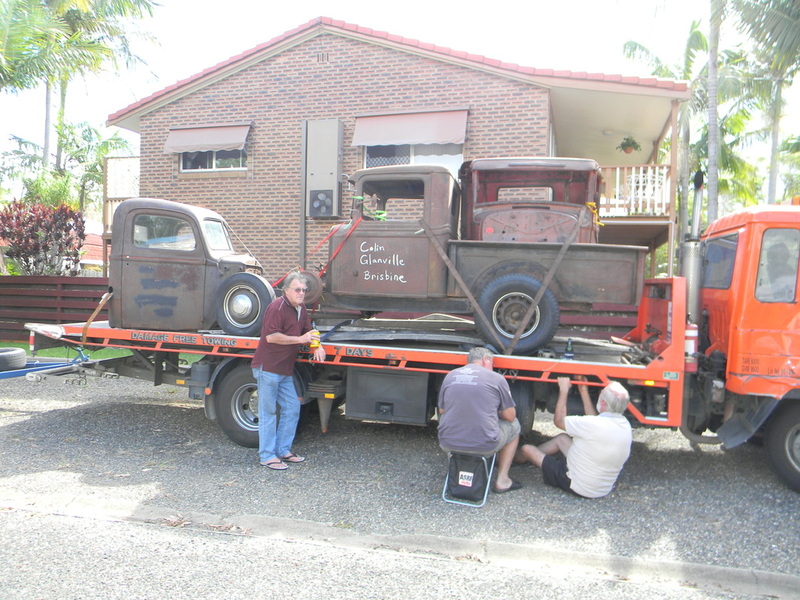 Presentation was on Sunday after breakfast where Noel won the SES award and Paul won the raffle which was $1000 worth of tools including a toolbox. 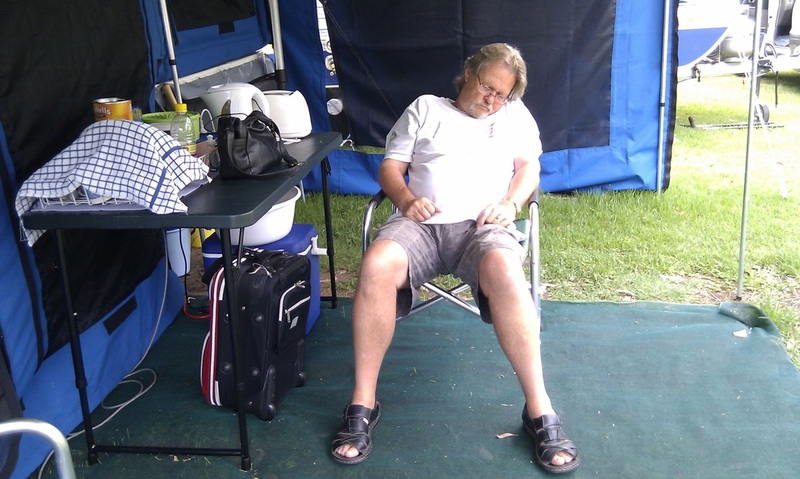 Buck had the biggest hard luck story of the event and would have won the prize if it was awarded after he got home, never the less he still enjoyed himself. Back to Bargoed house on the 13th March to attend Phoenix's Pelican Flat run. 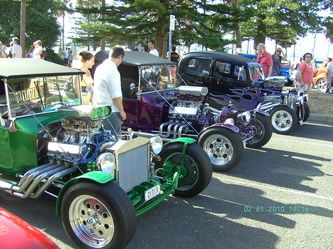 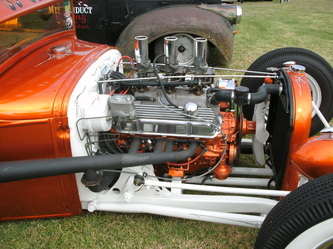 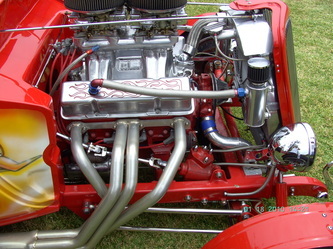 A small number of rods, approx. 40, were in attendance. 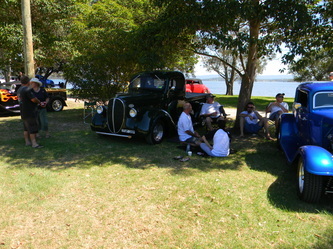 The weather was very pleasant and it was nice for the 5 members of our club and friends to sit in the shade and tell tales. 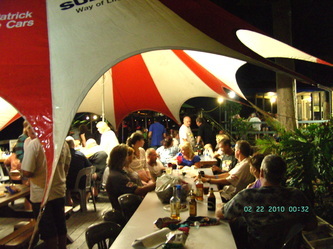 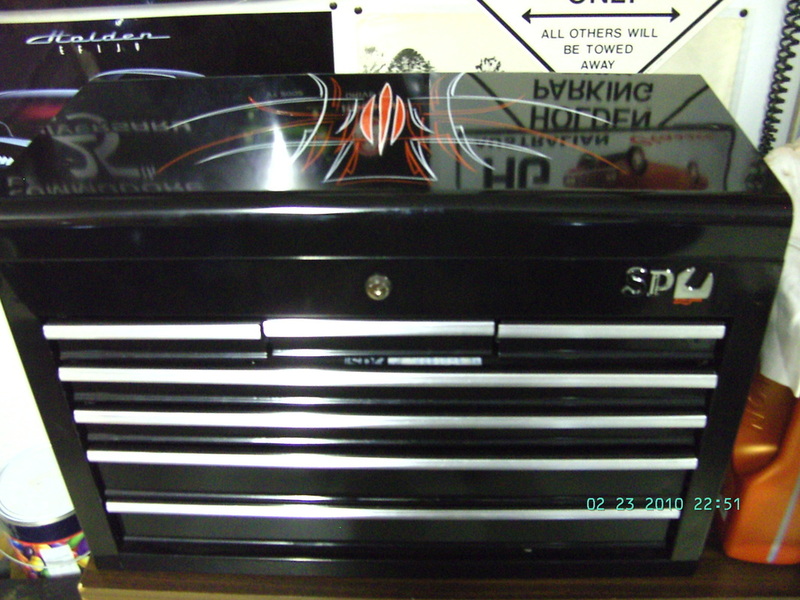 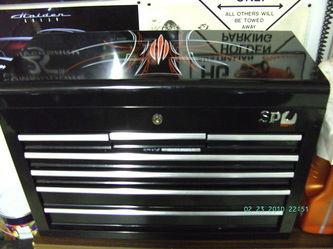 As always the BBQ was good and the raffles gave everyone a chance to win a prize. 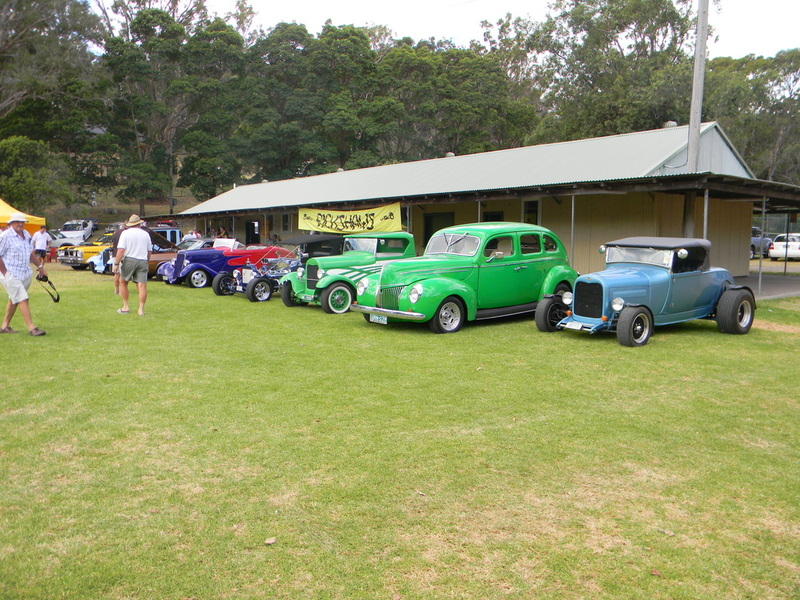 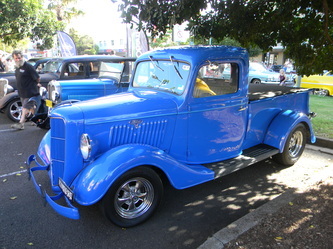 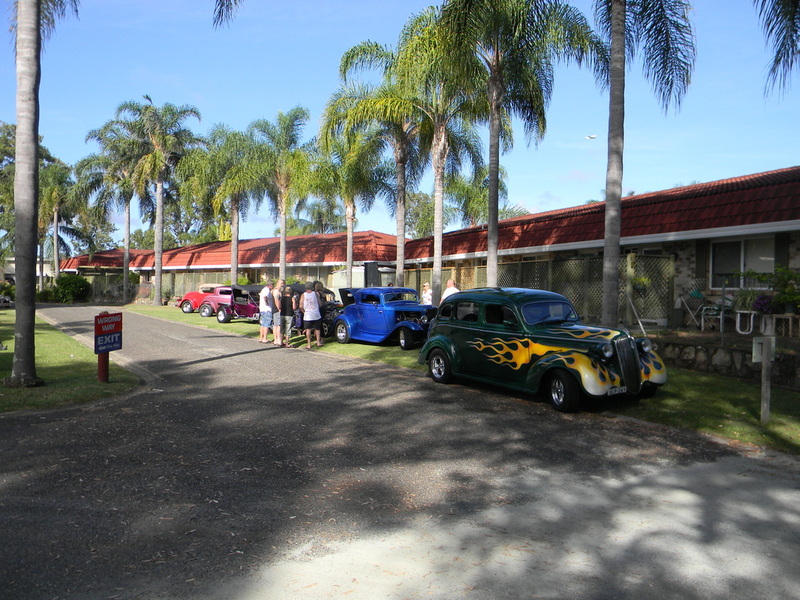 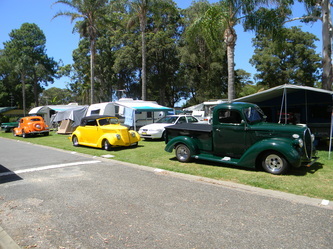 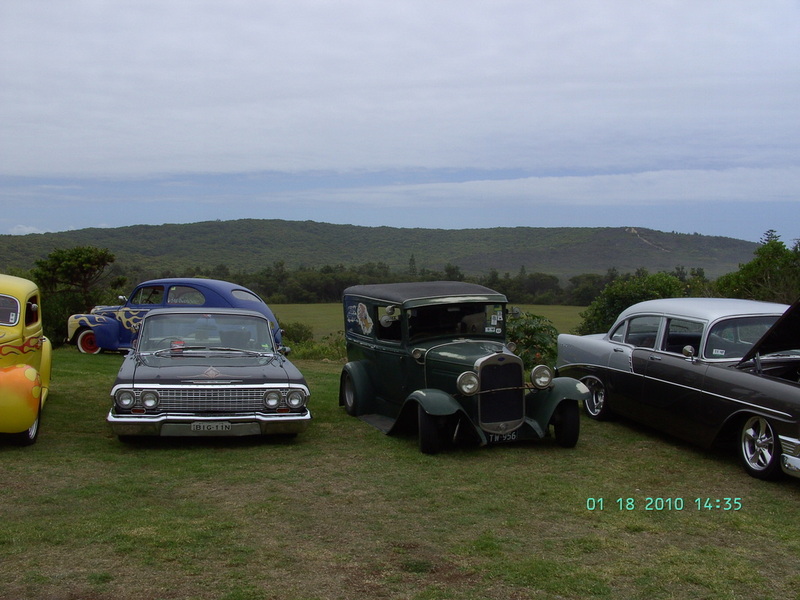 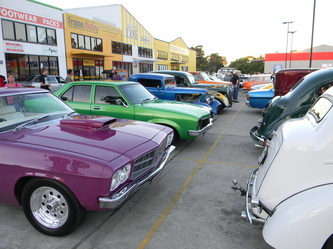 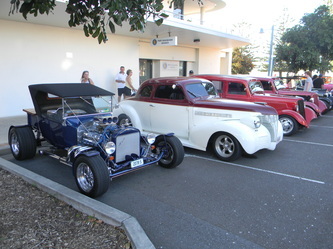 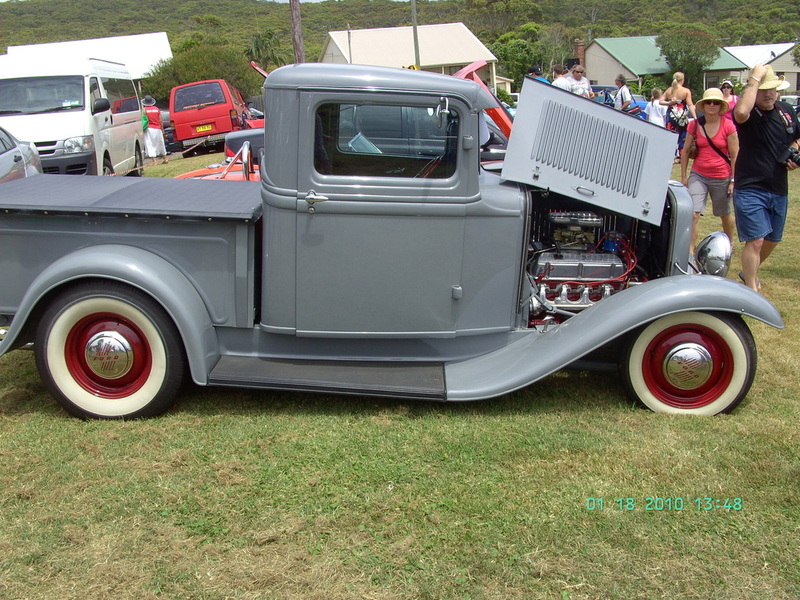 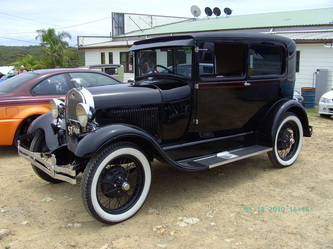 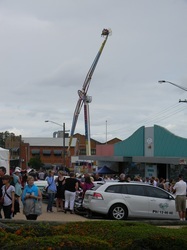 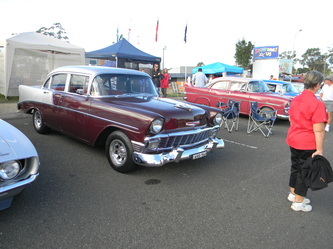 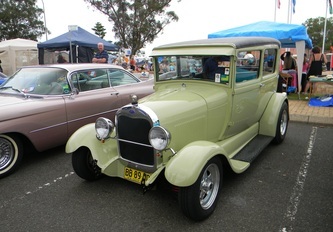 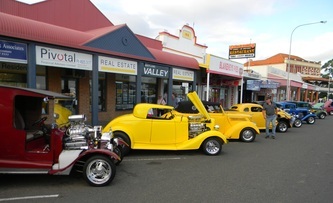 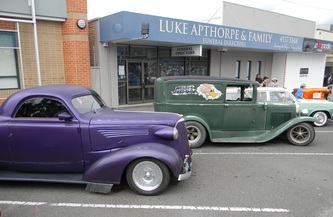 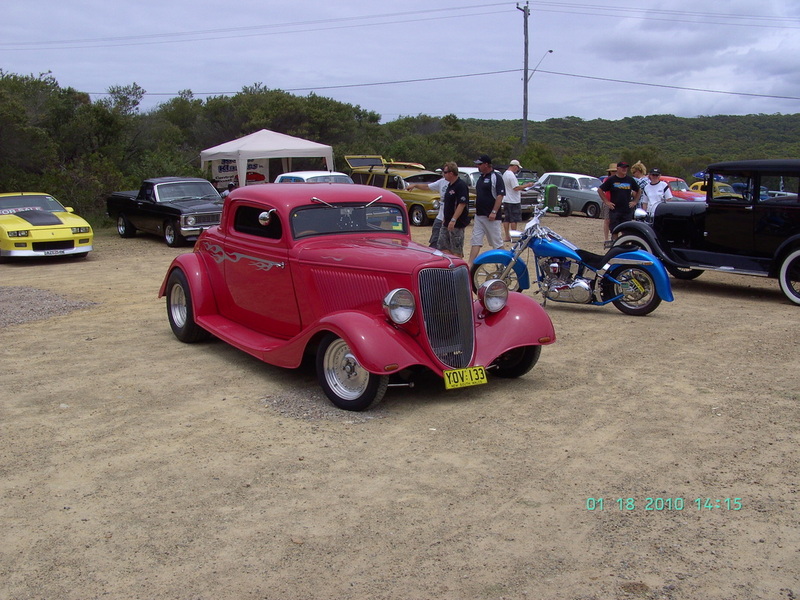 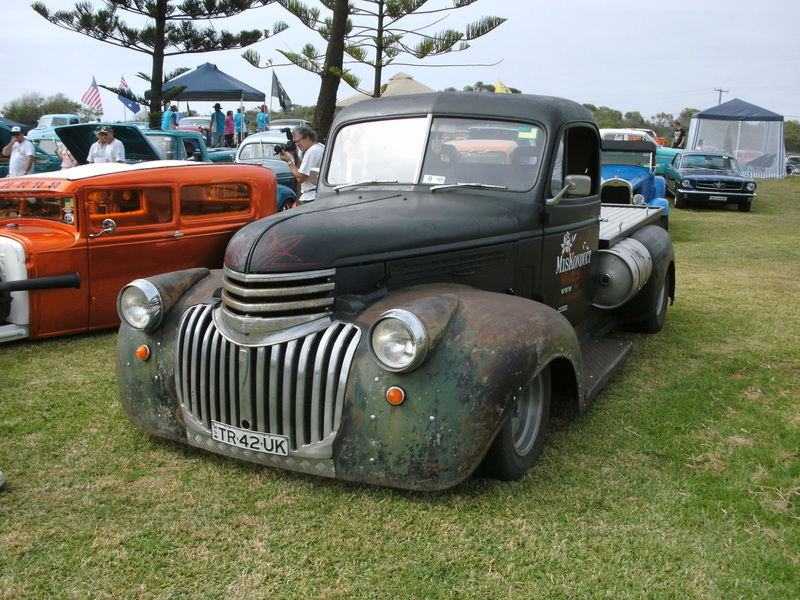 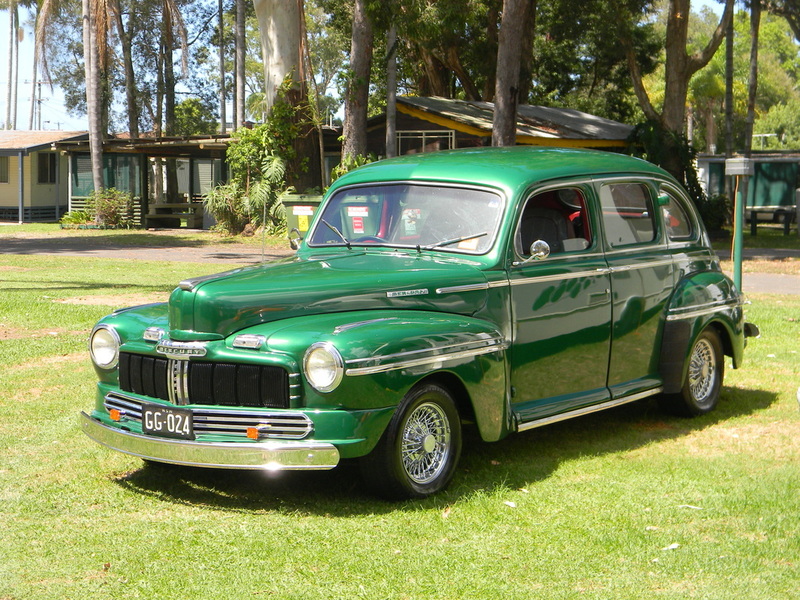 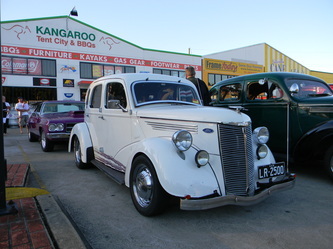 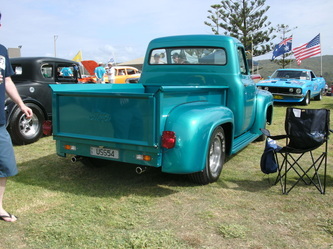 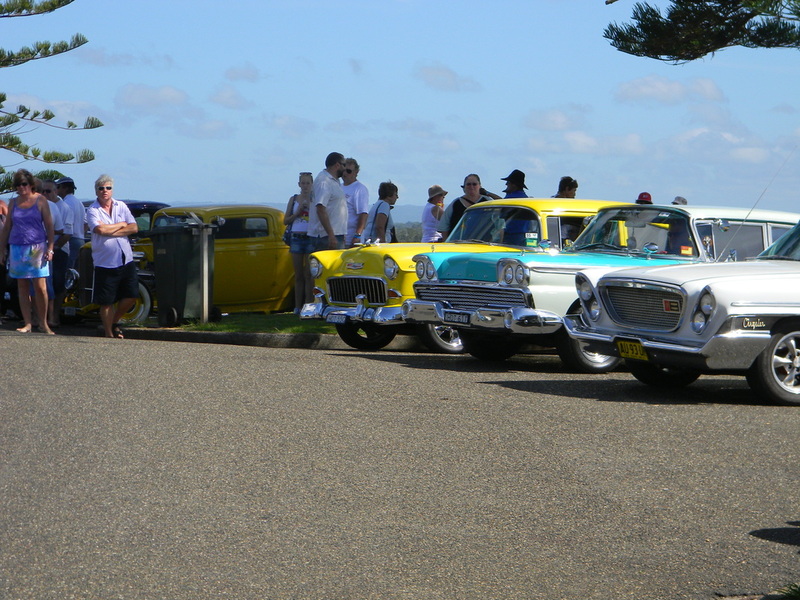 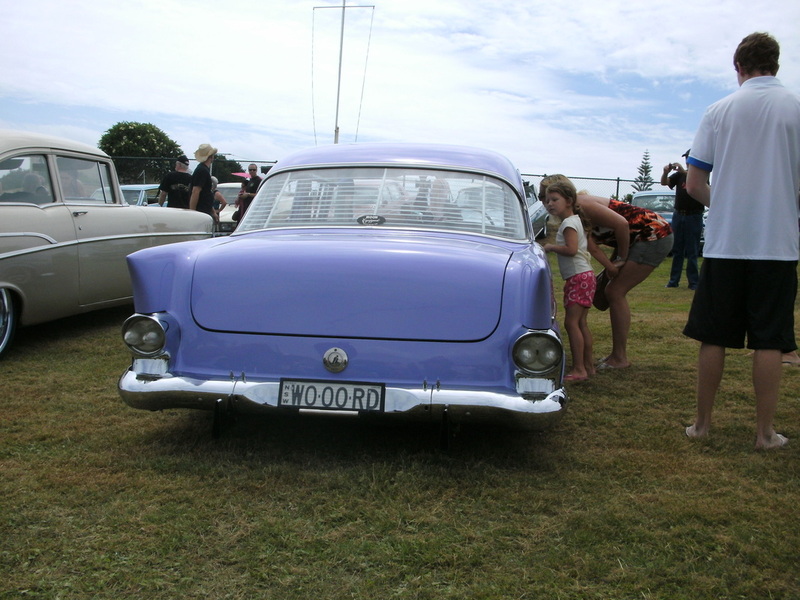 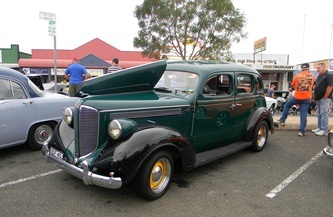 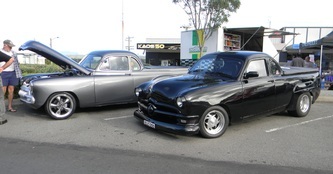 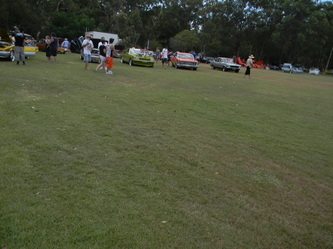 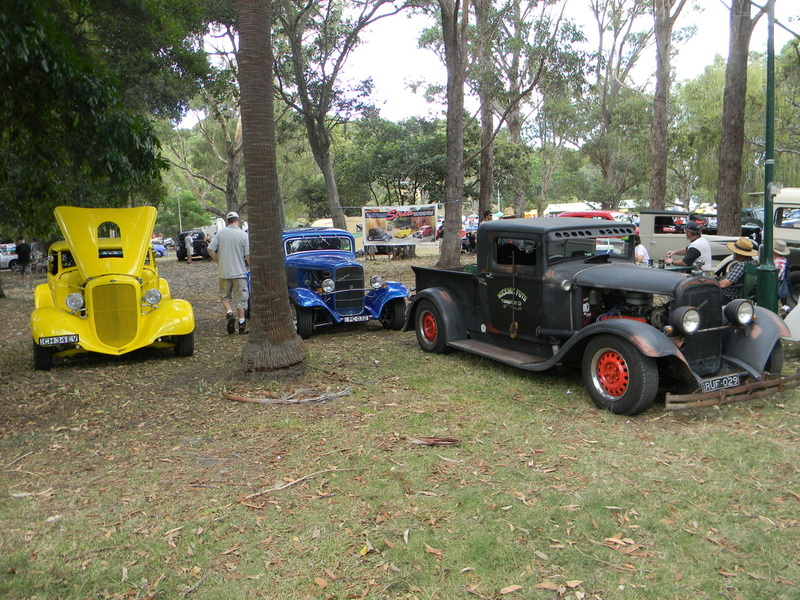 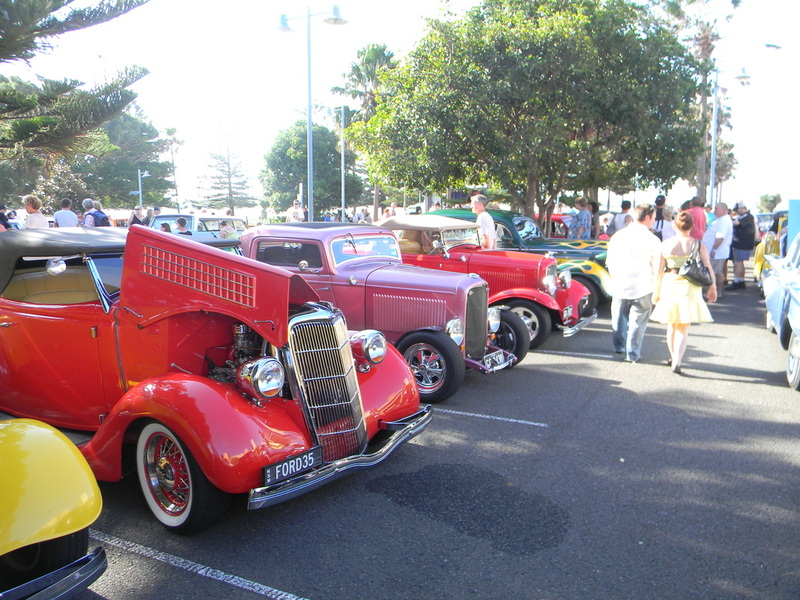 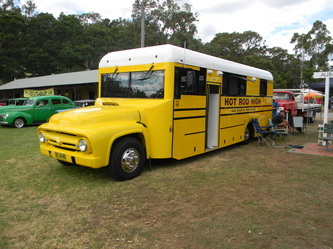 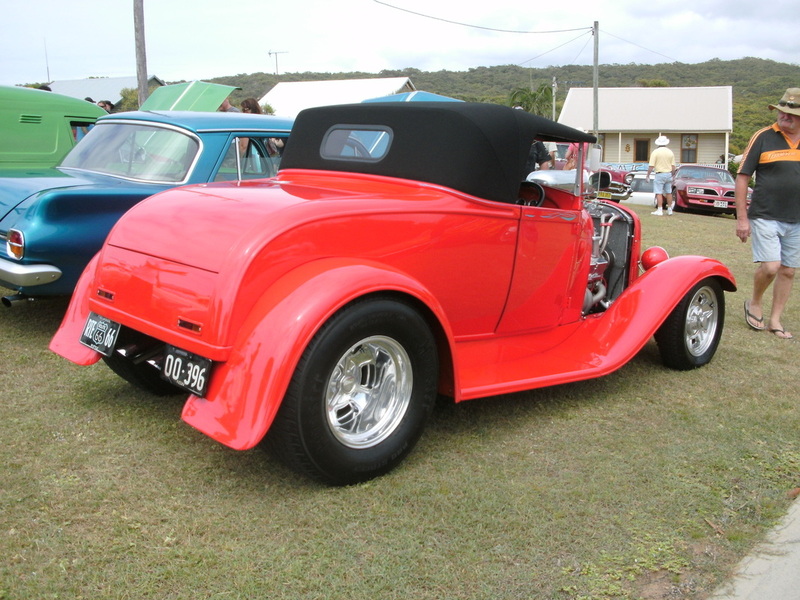 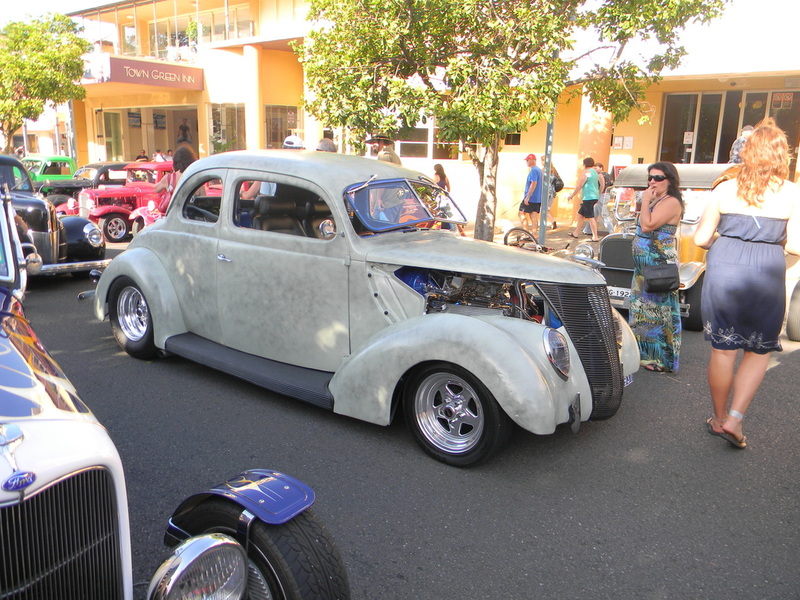 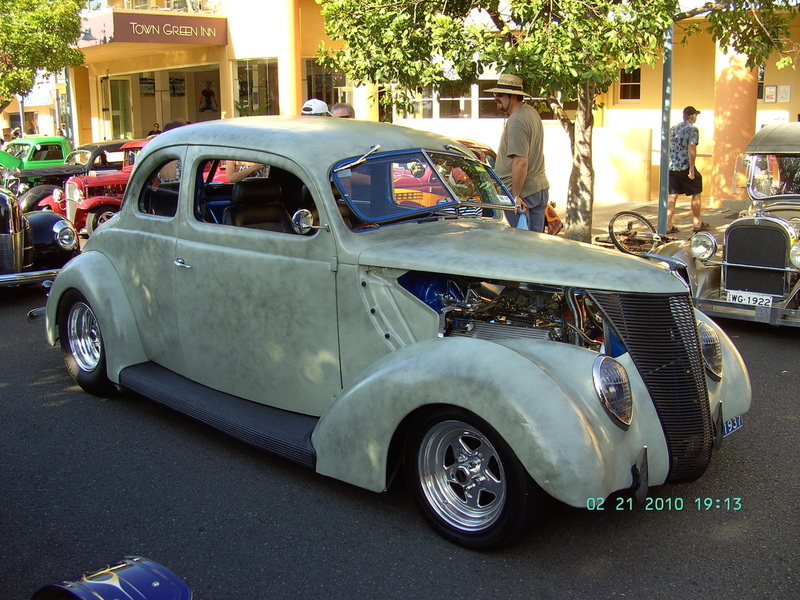 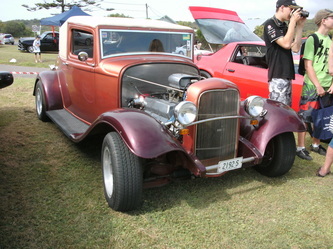 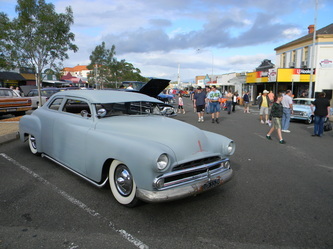 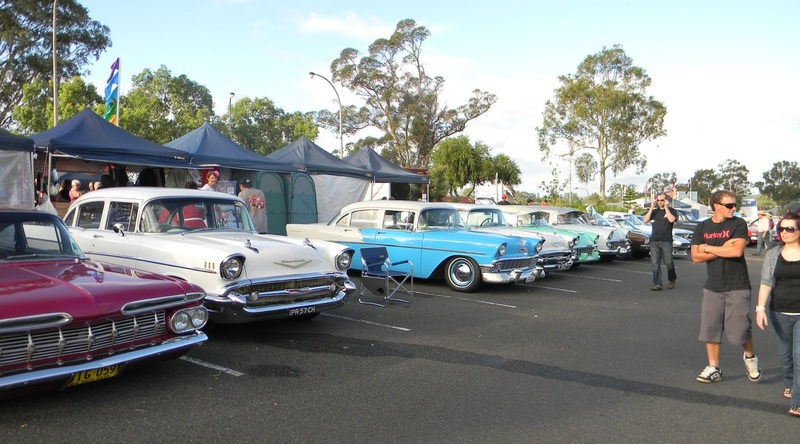 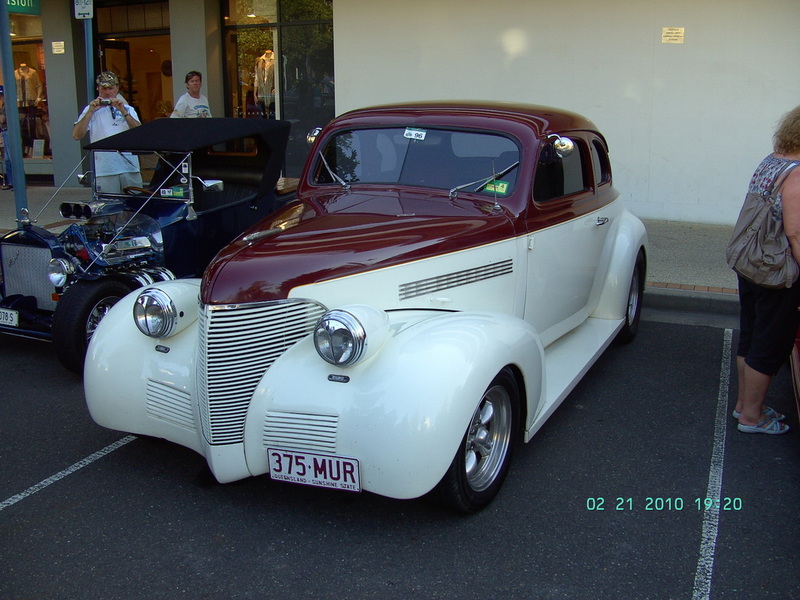 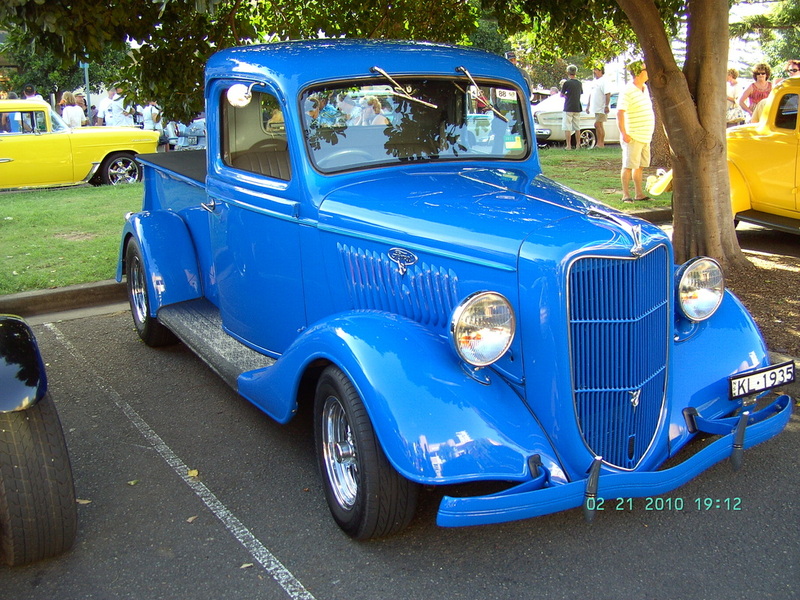 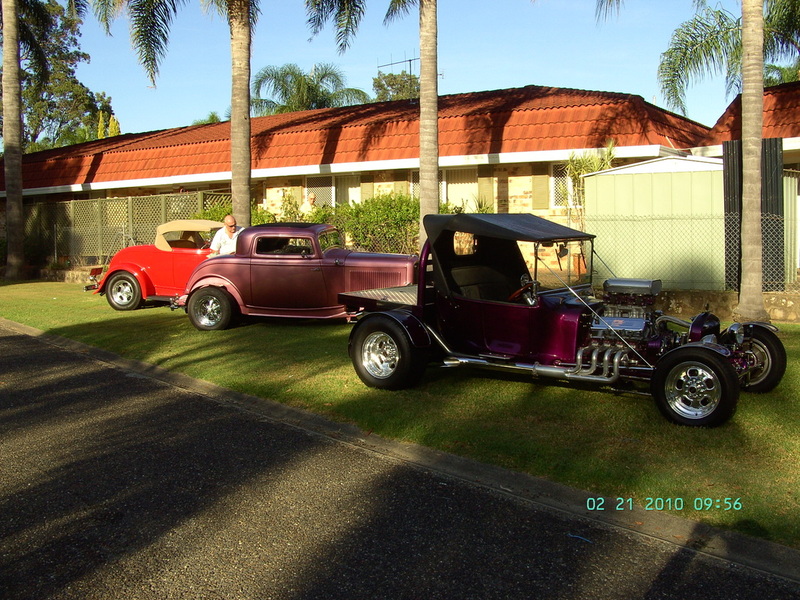 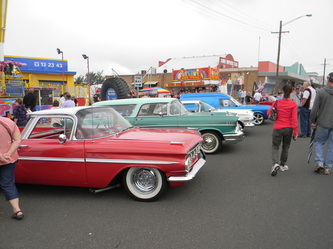 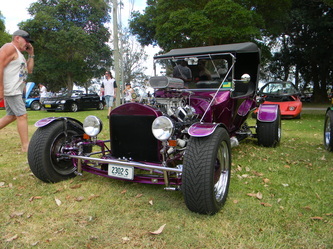 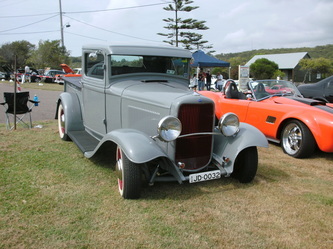 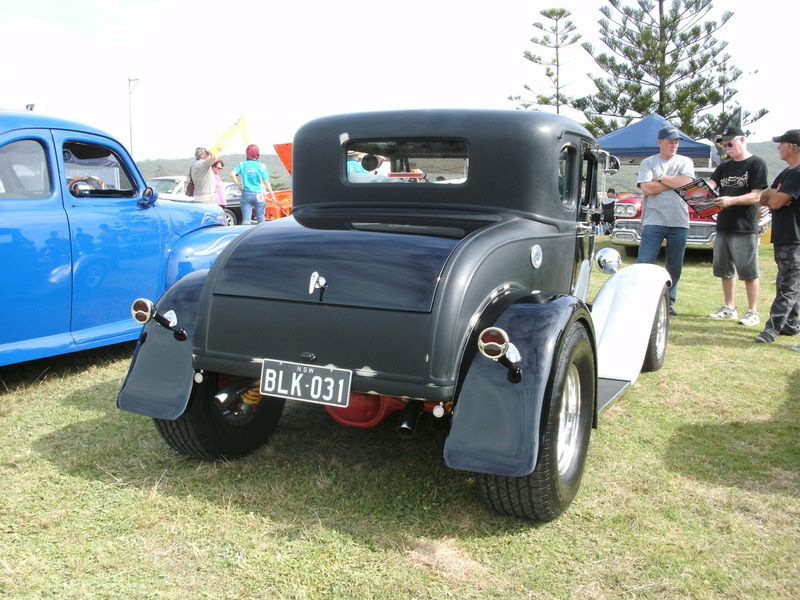 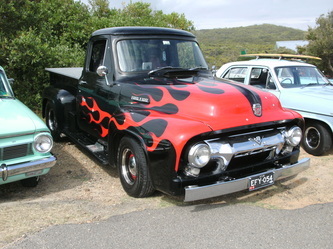 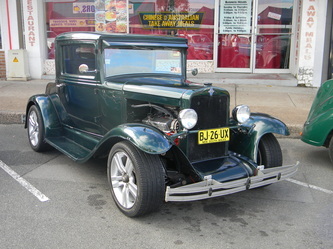 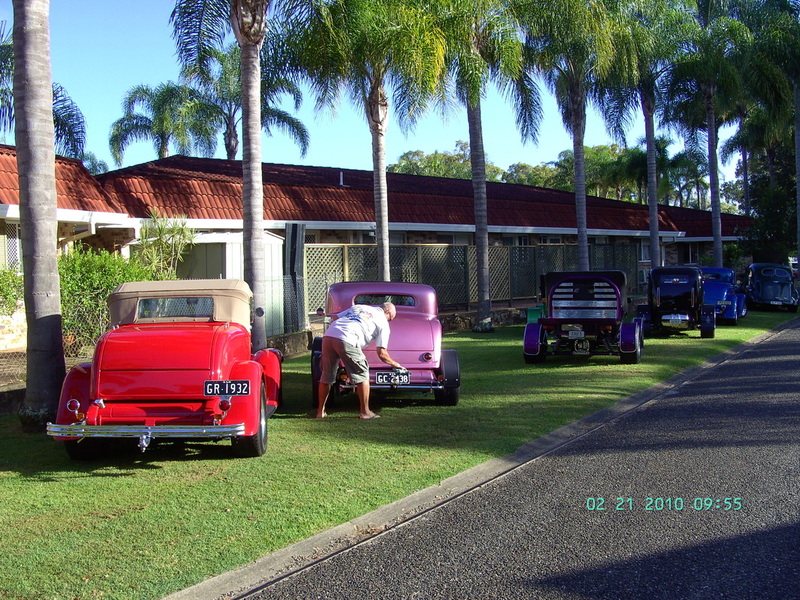 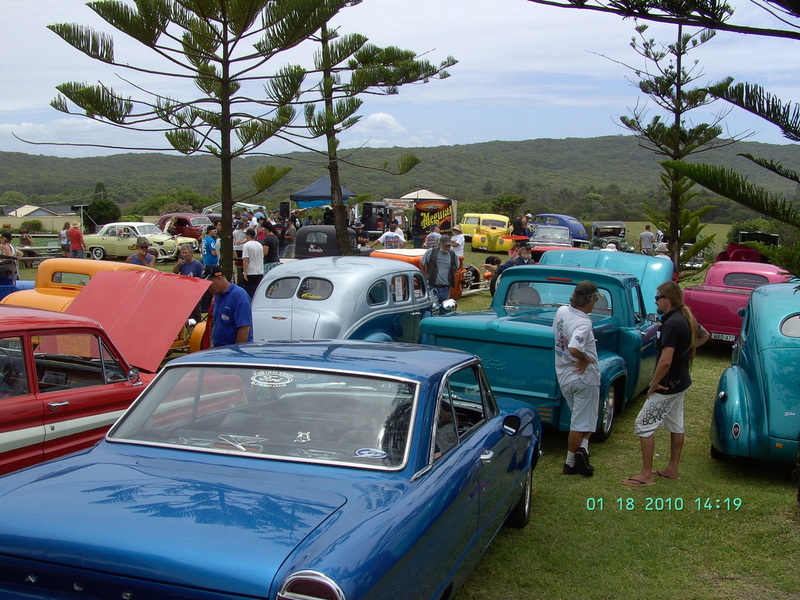 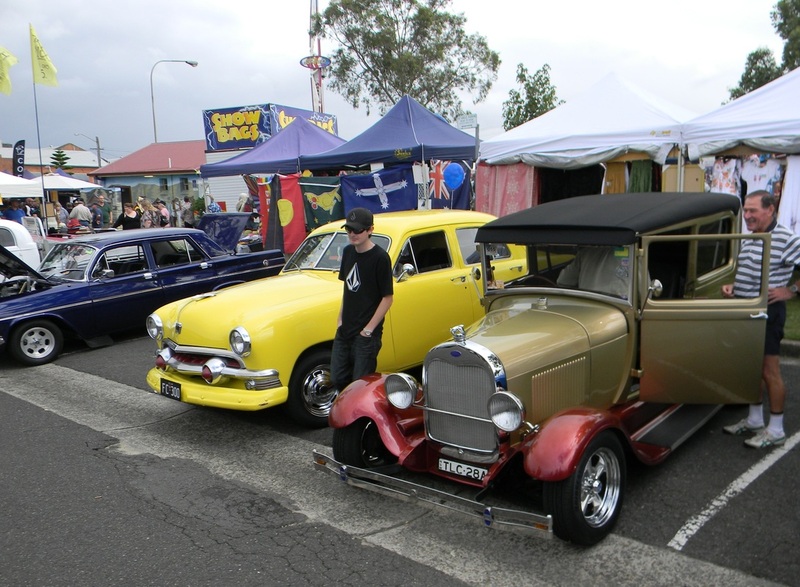 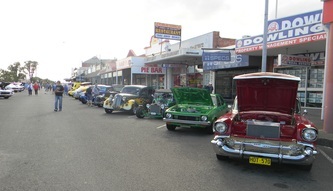 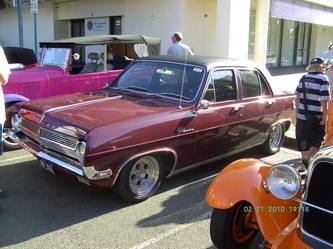 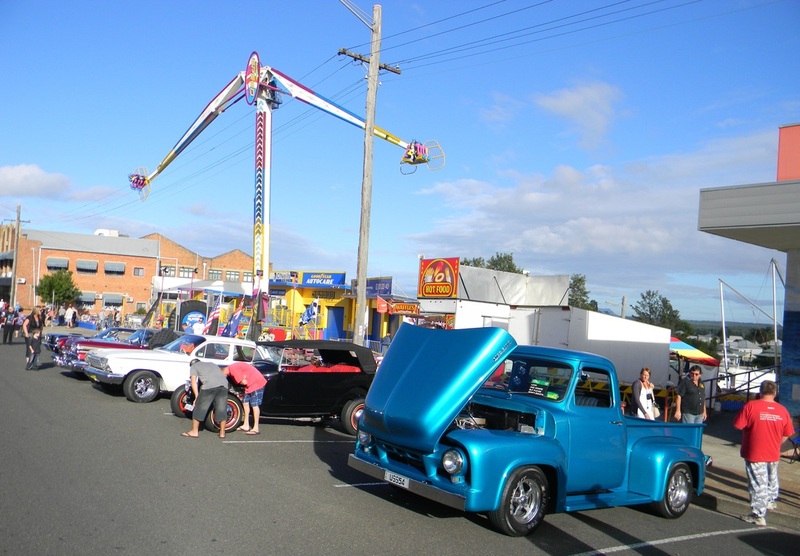 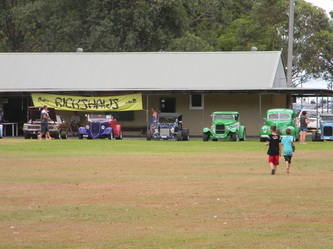 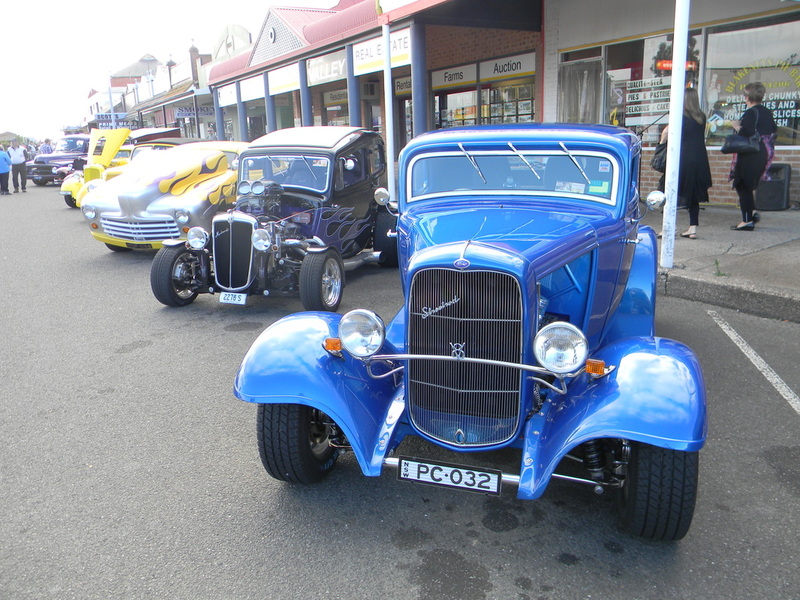 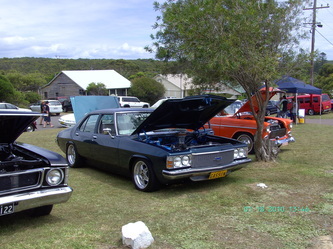 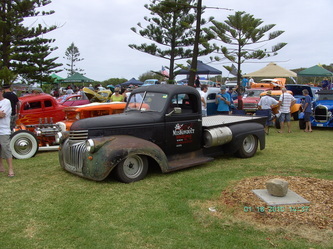 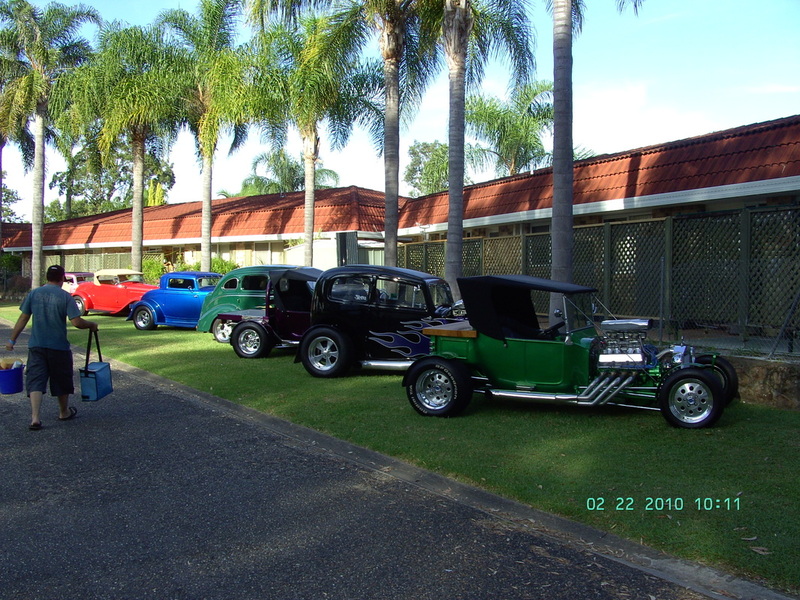 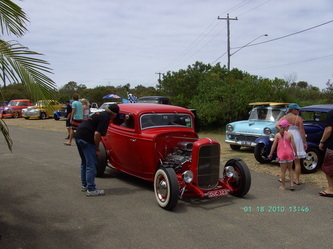 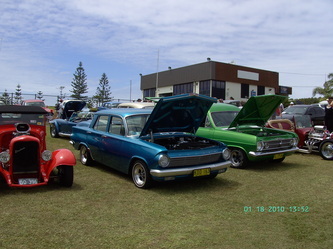 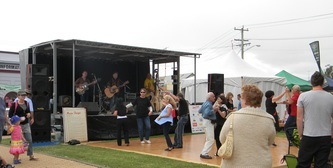 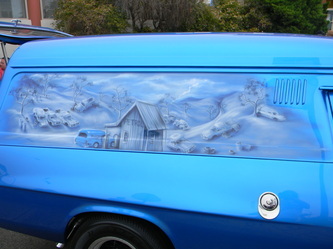 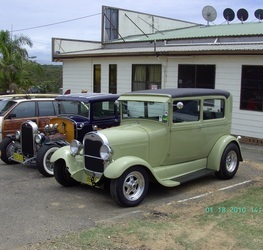 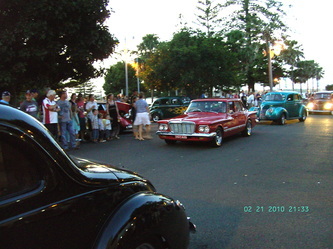 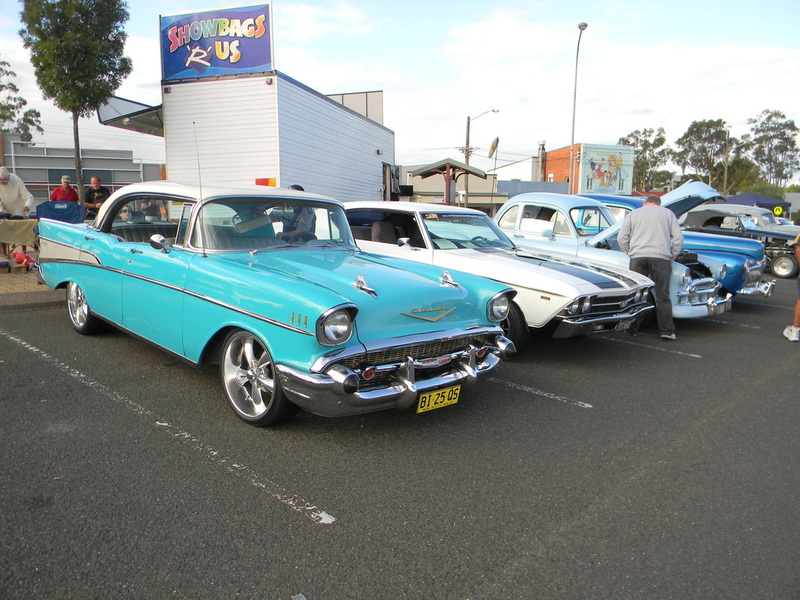 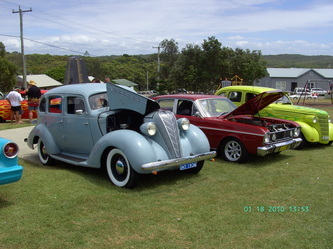 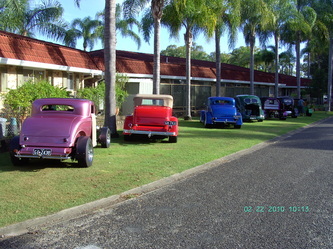 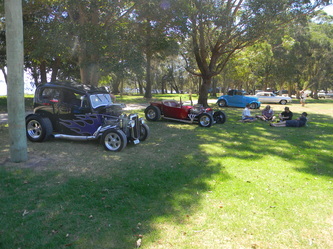 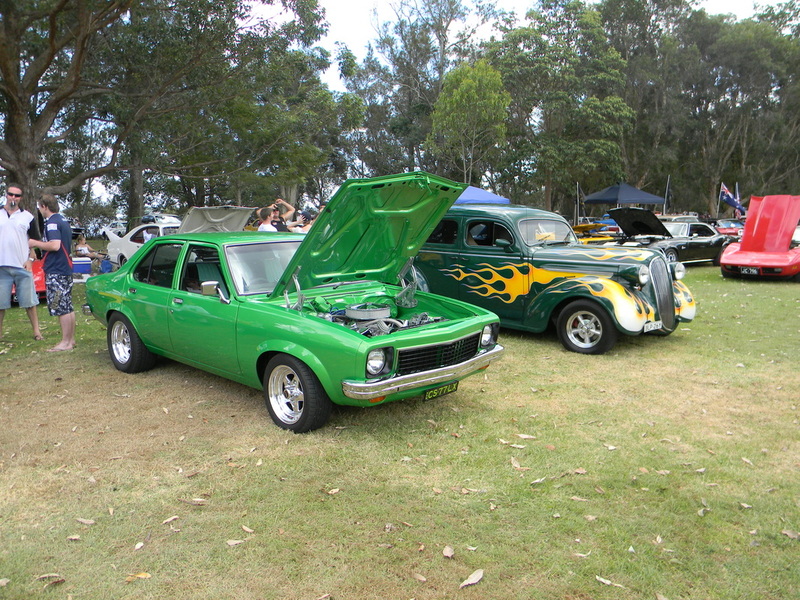 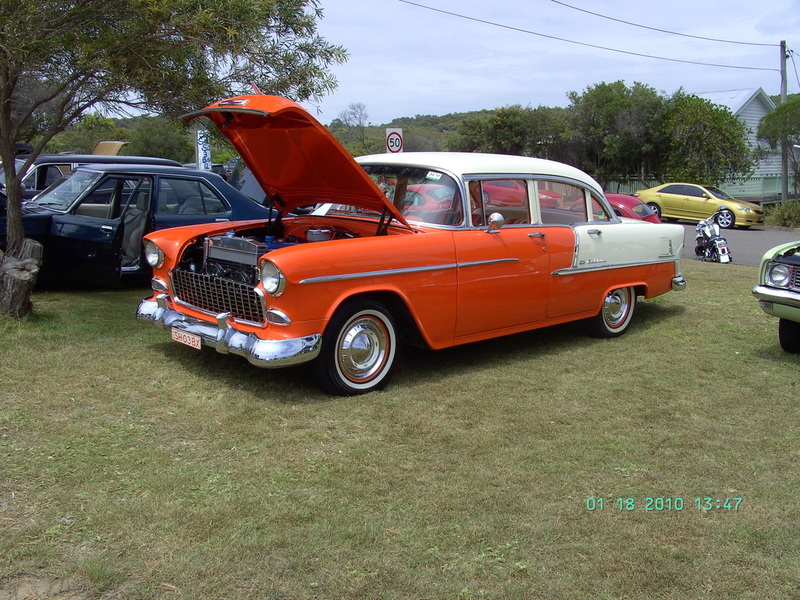 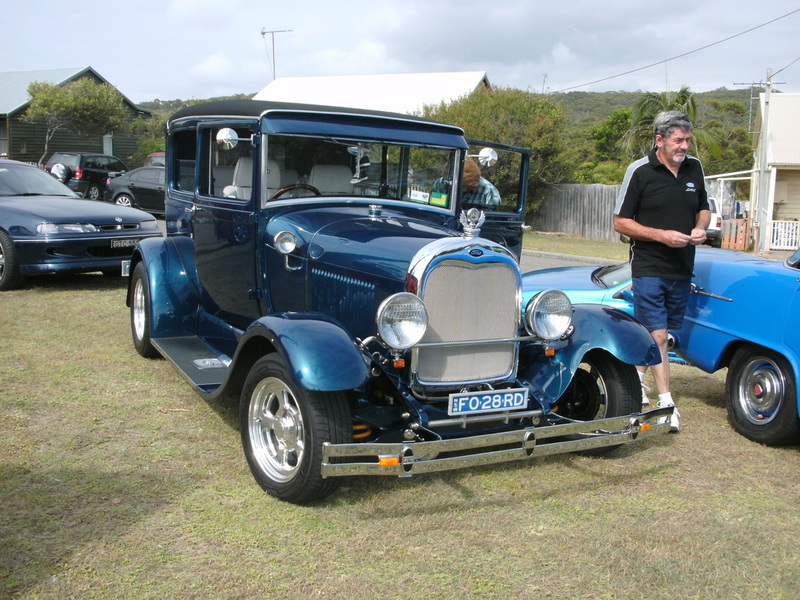 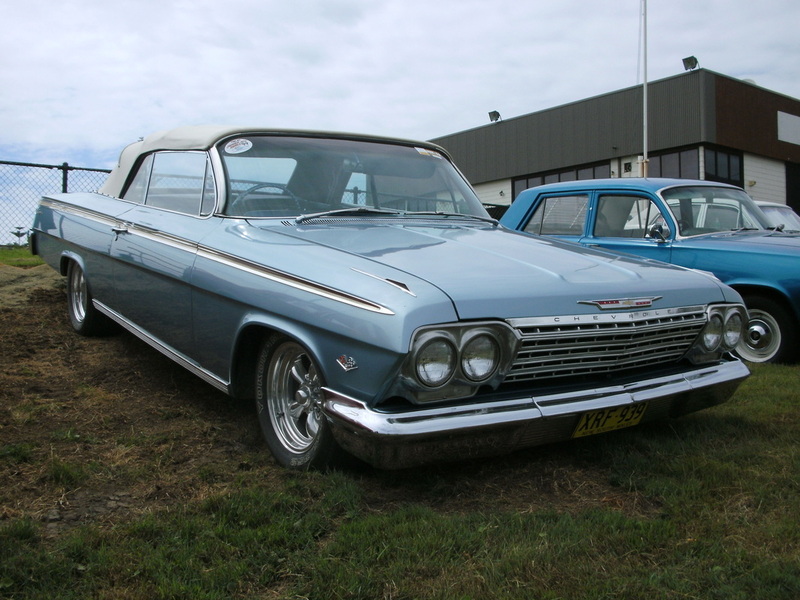 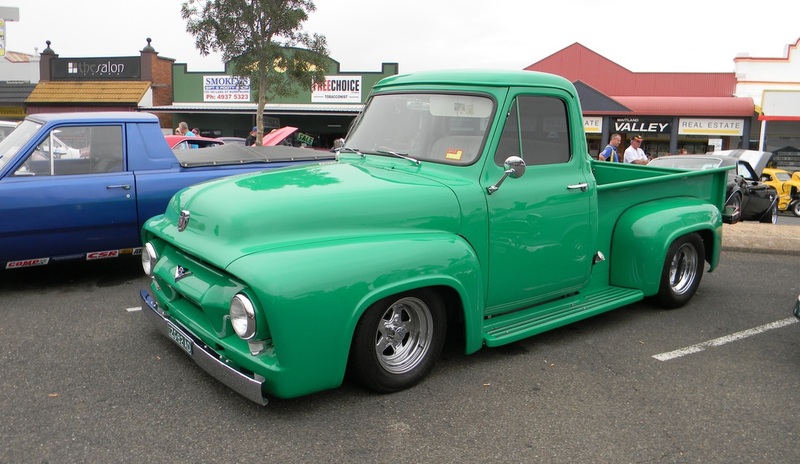 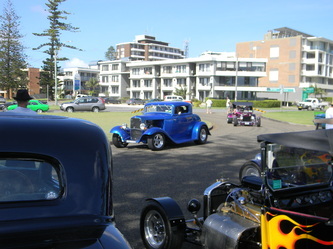 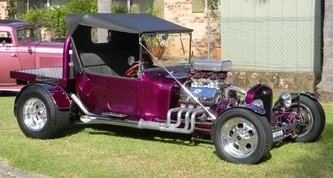 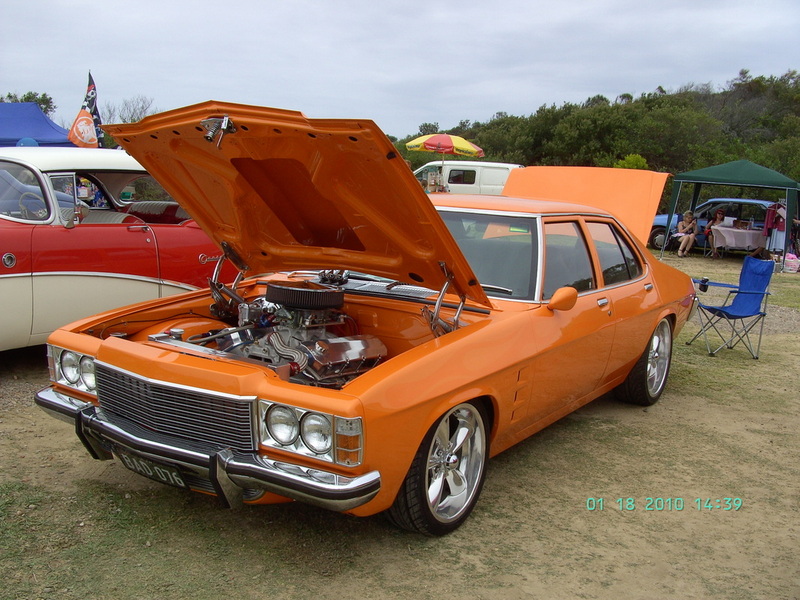 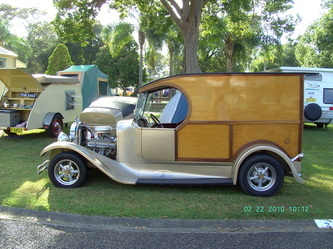 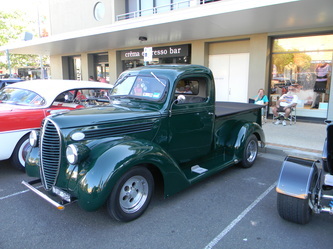 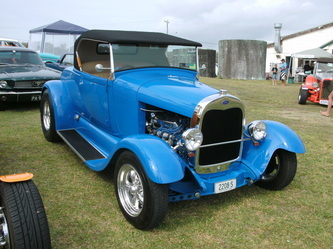 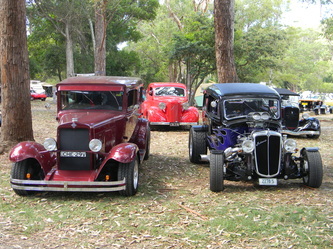 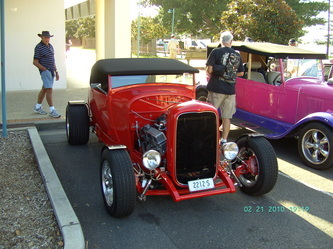 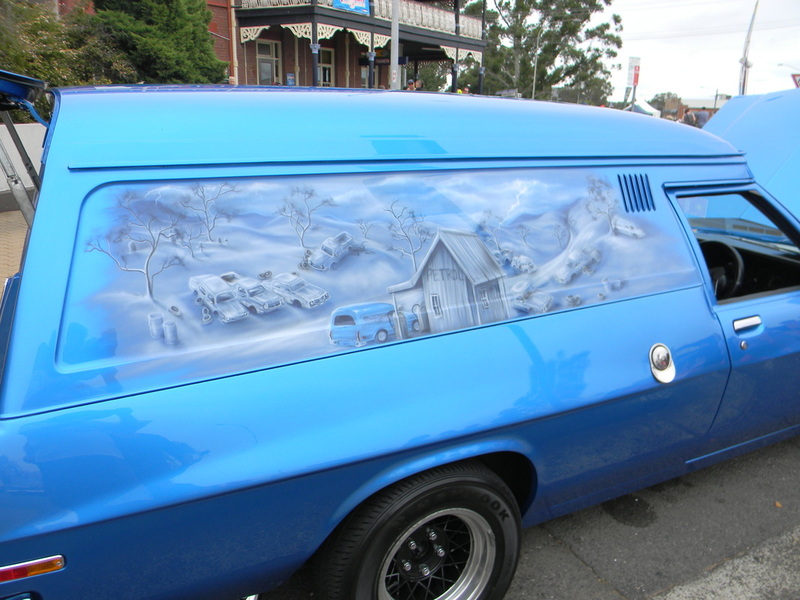 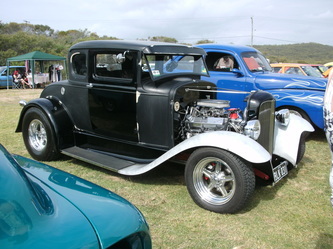 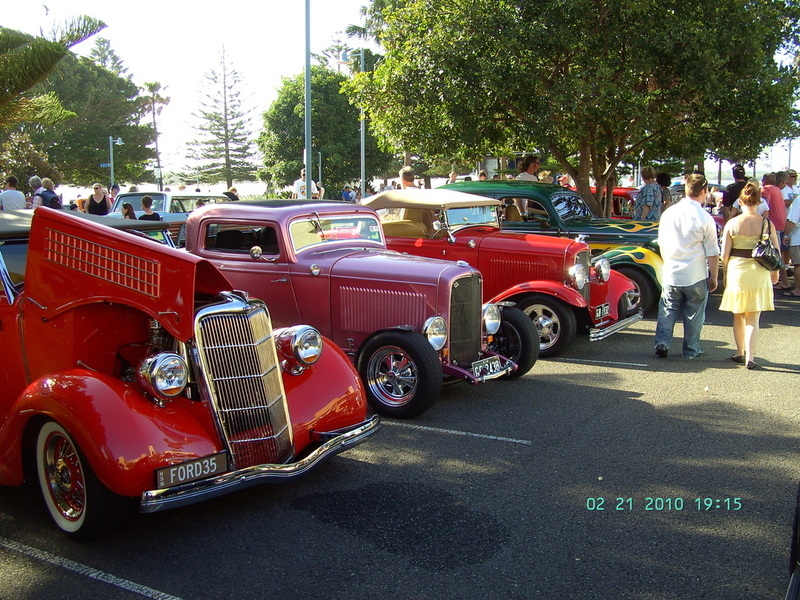 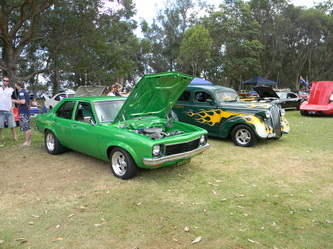 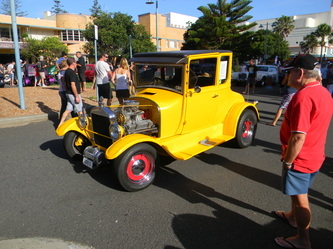 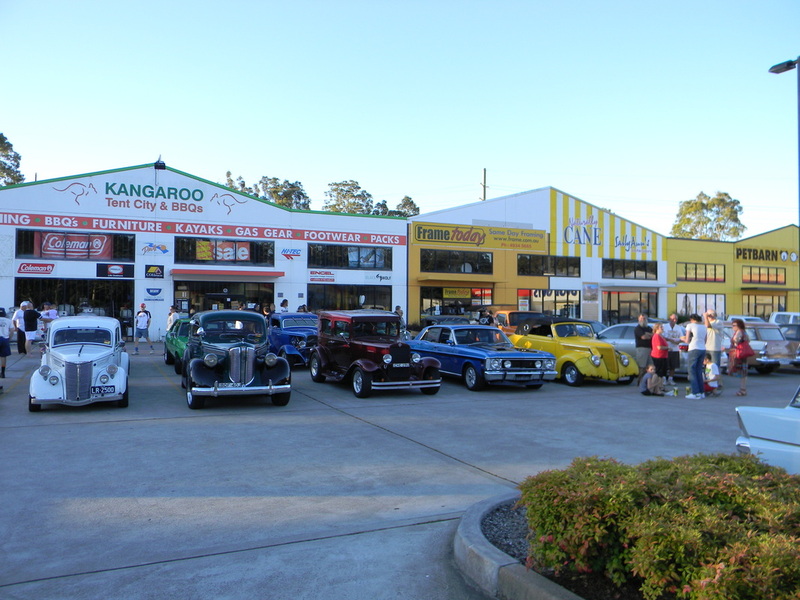 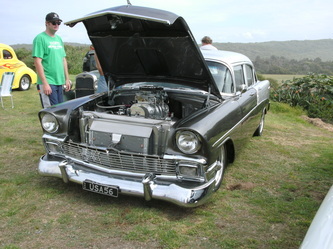 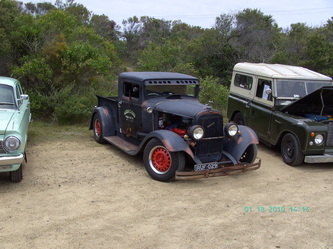 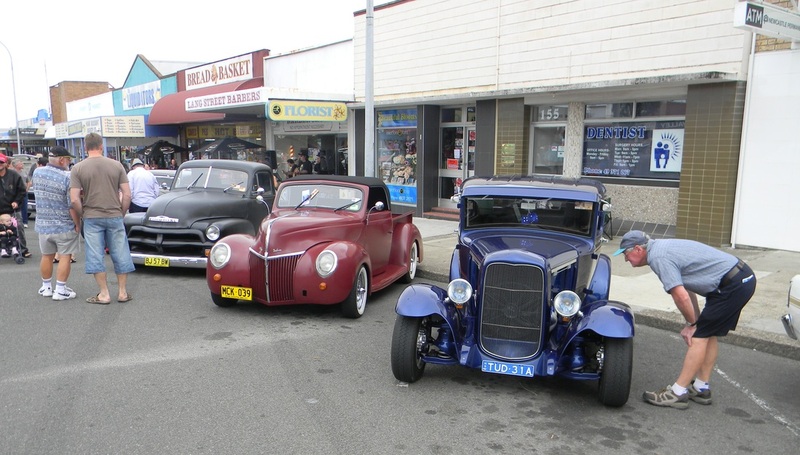 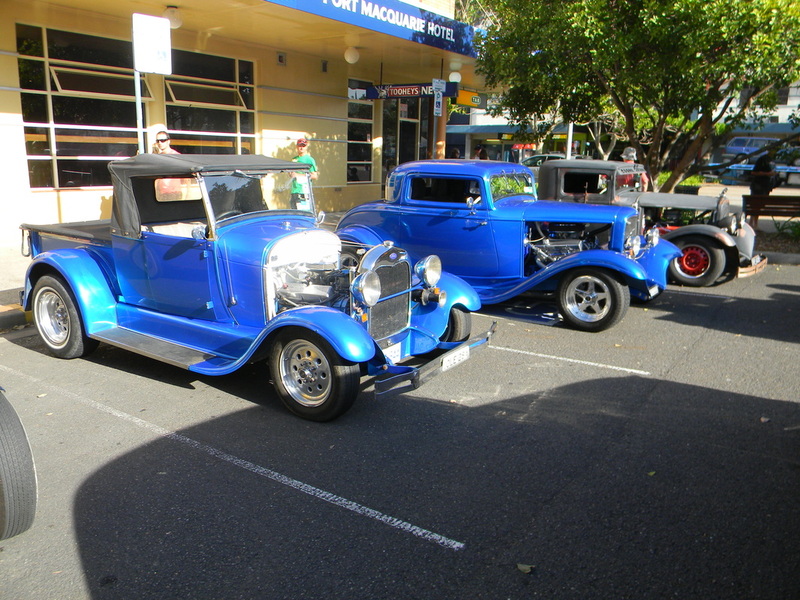 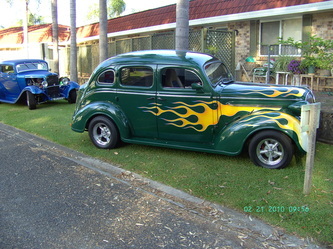 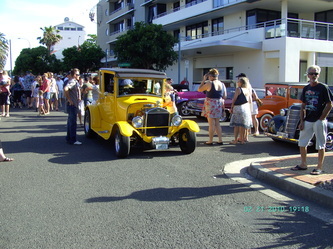 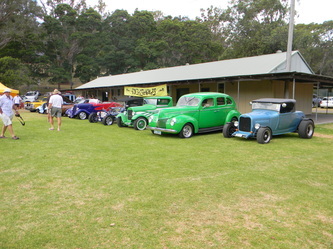 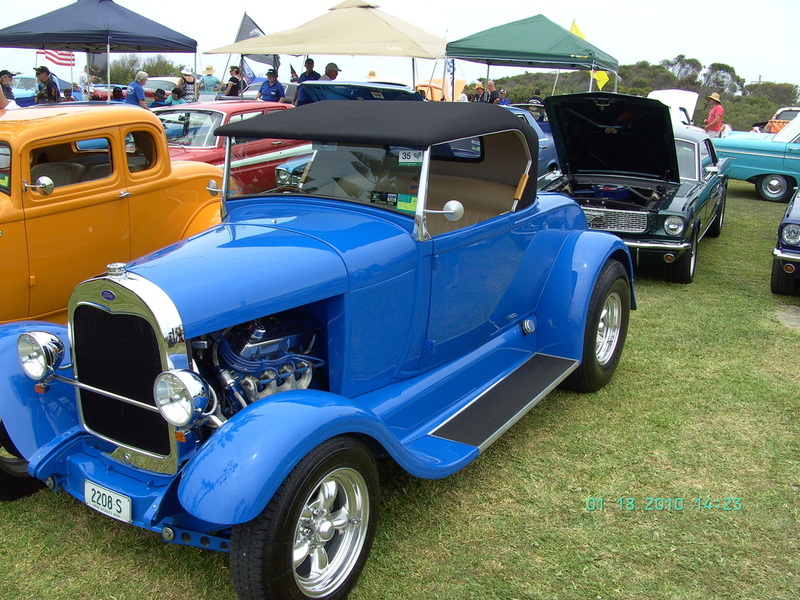 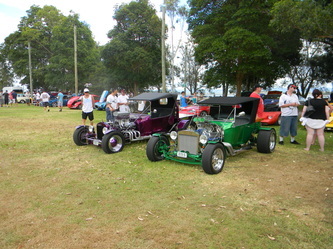 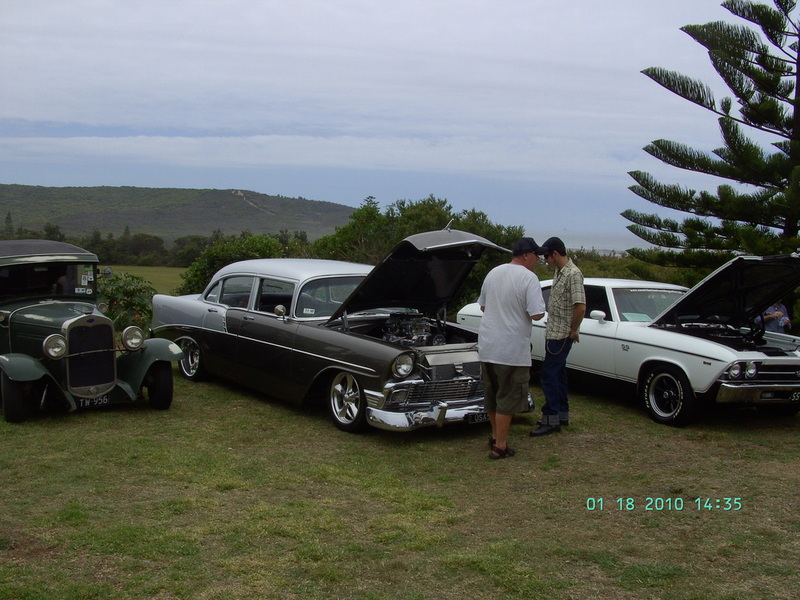 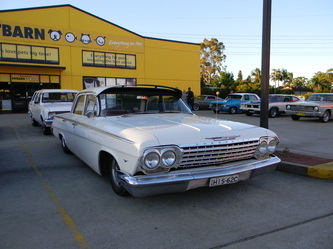 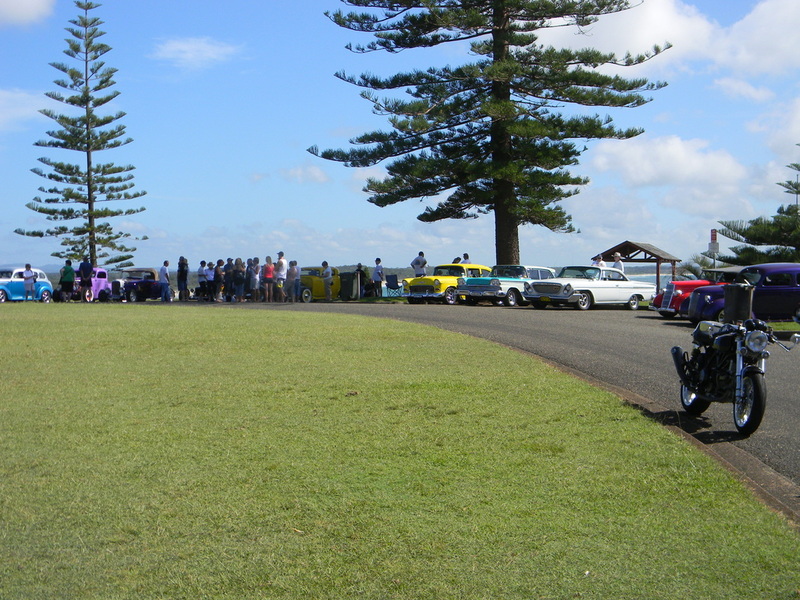 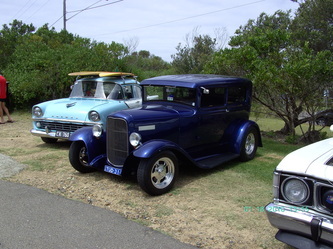 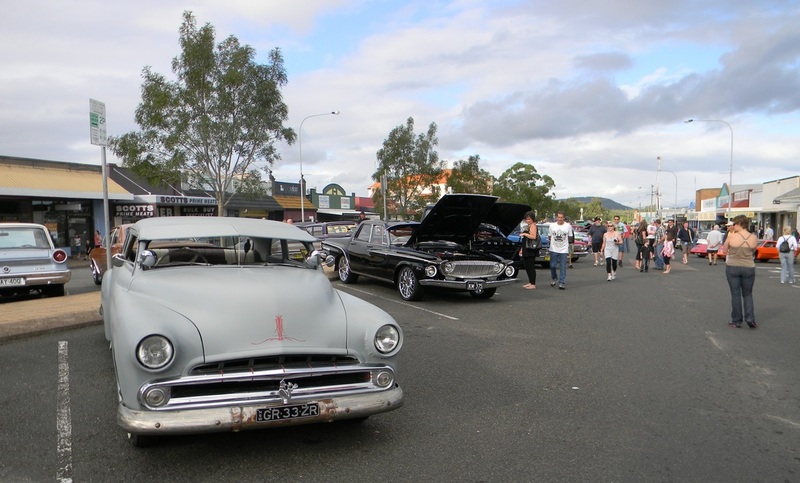 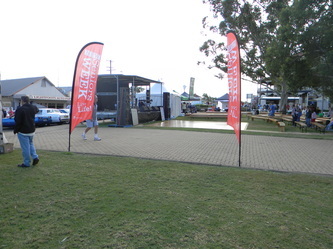 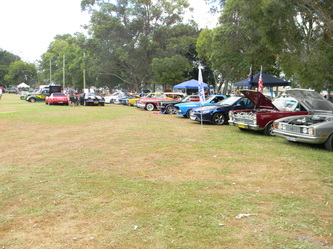 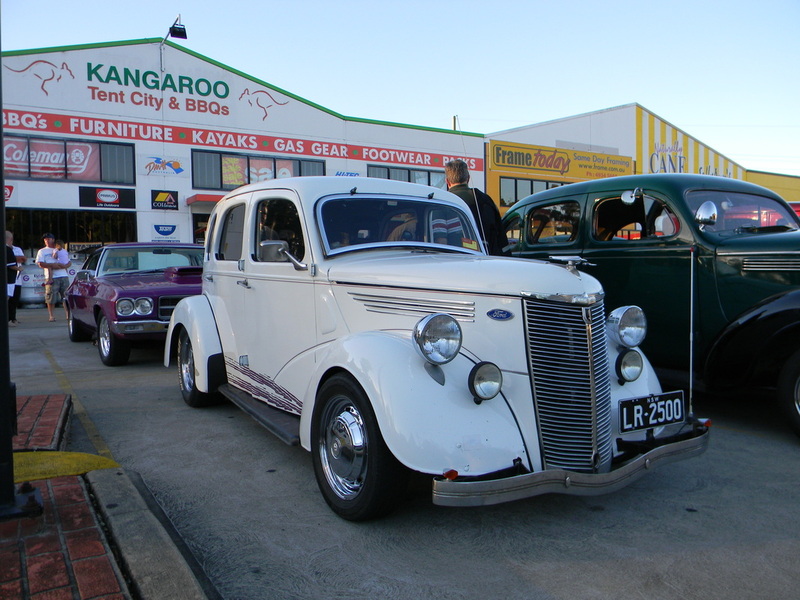 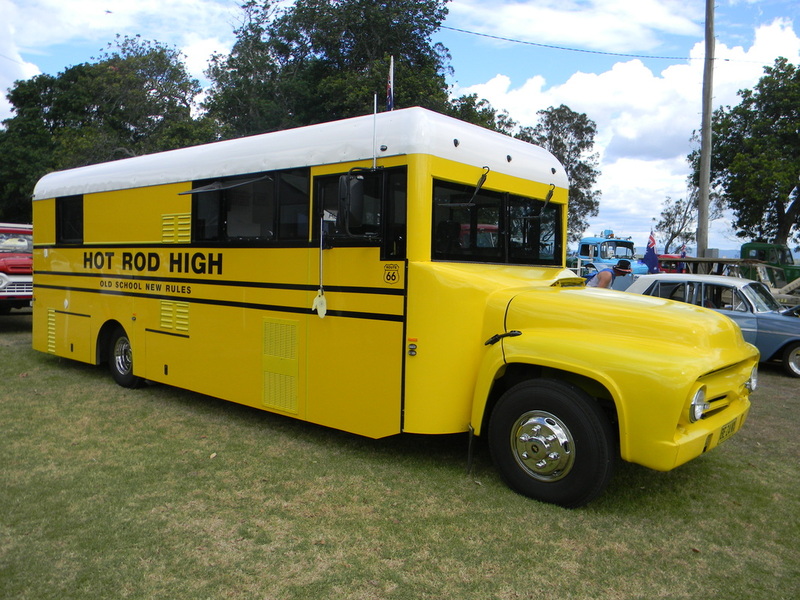 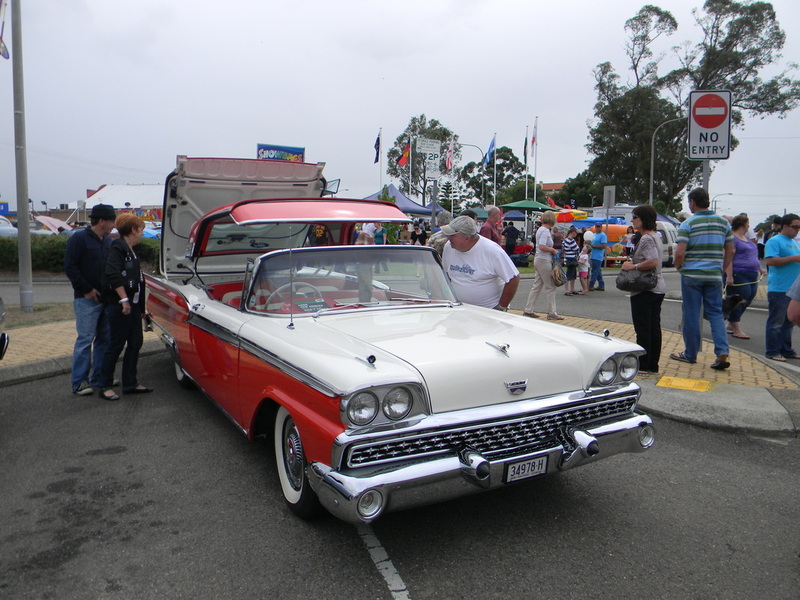 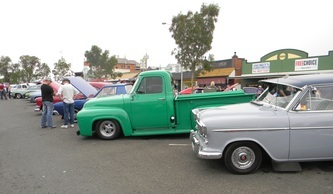 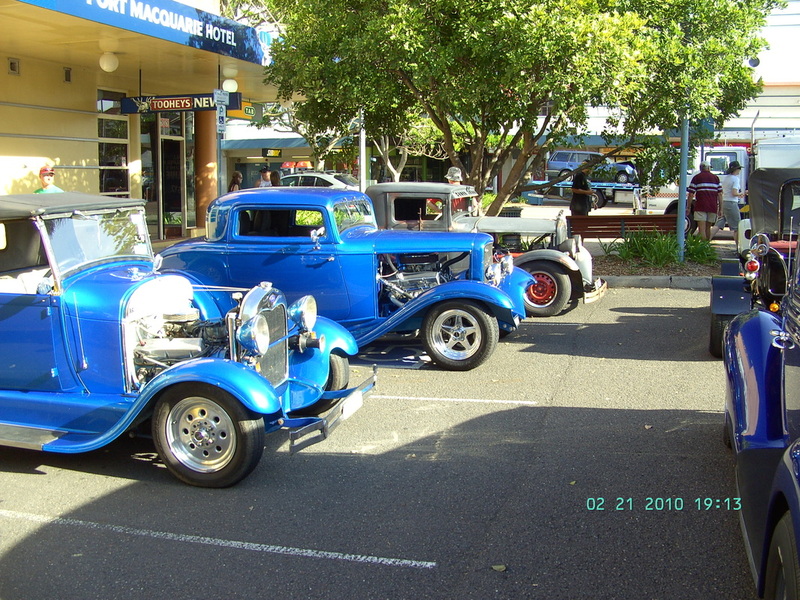 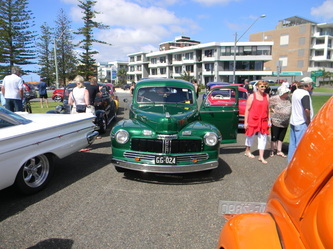 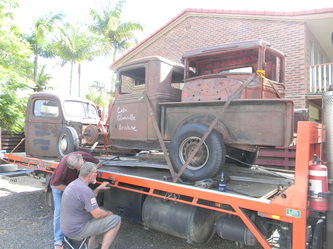 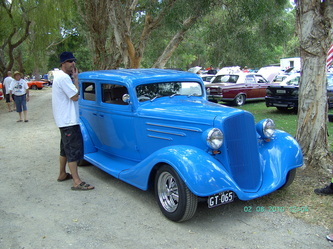 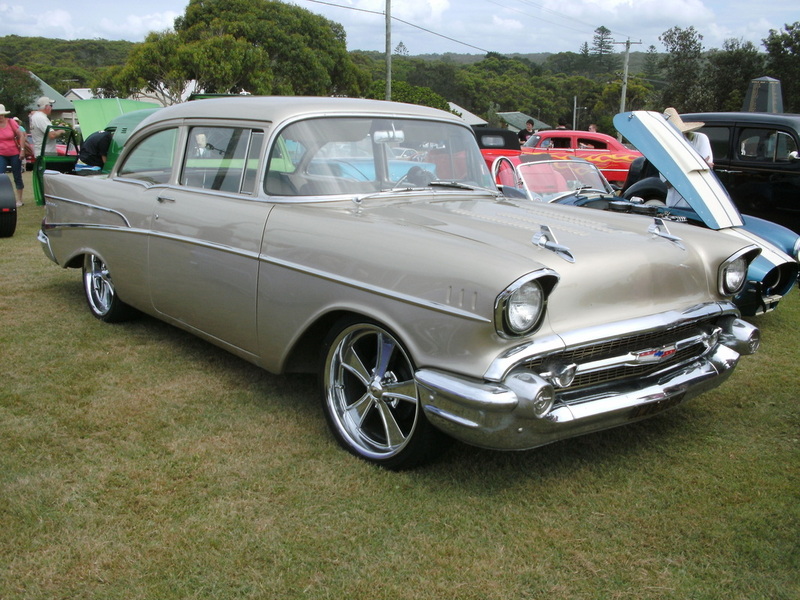 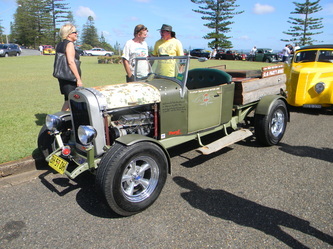 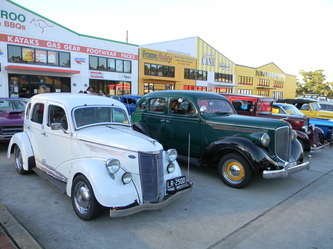 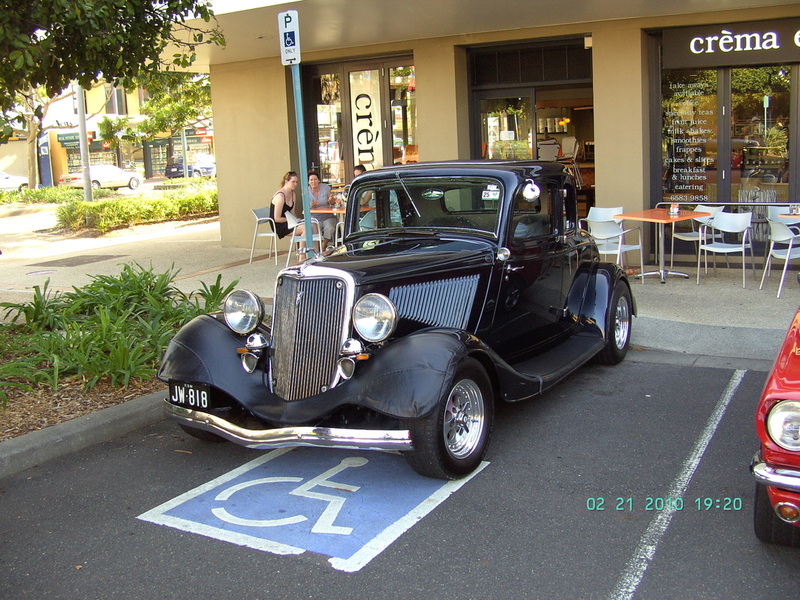 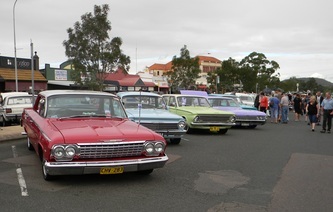 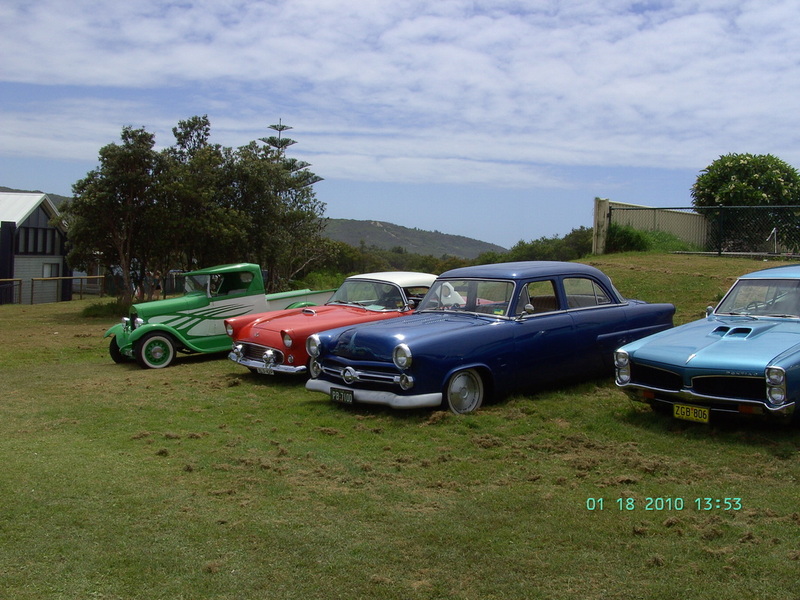 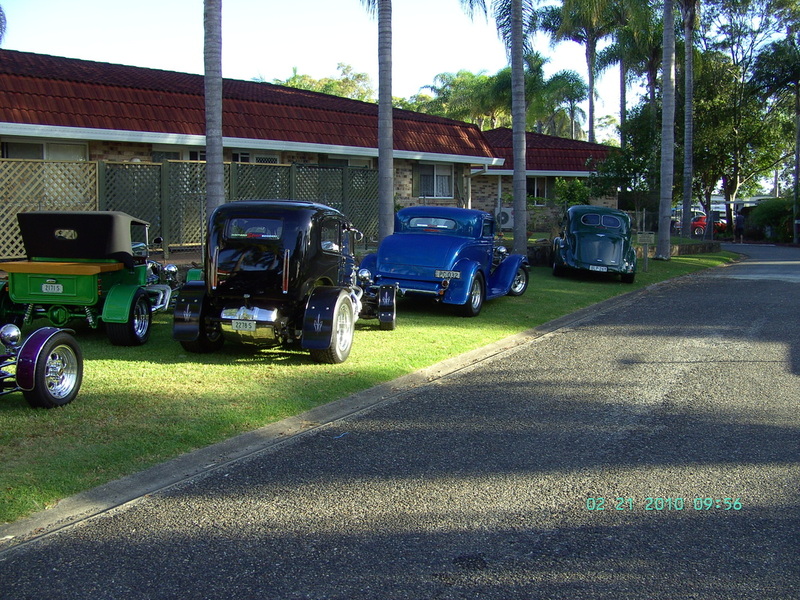 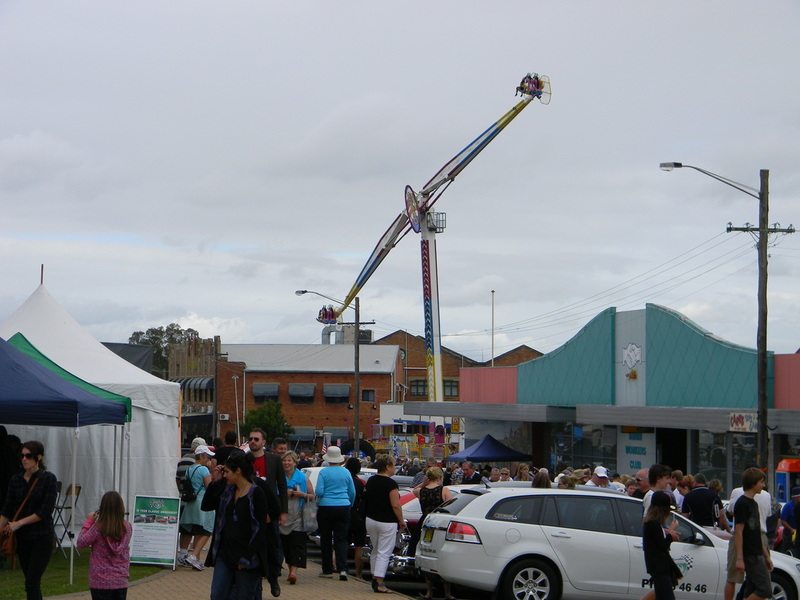 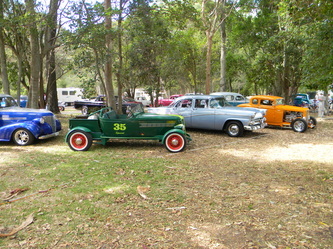 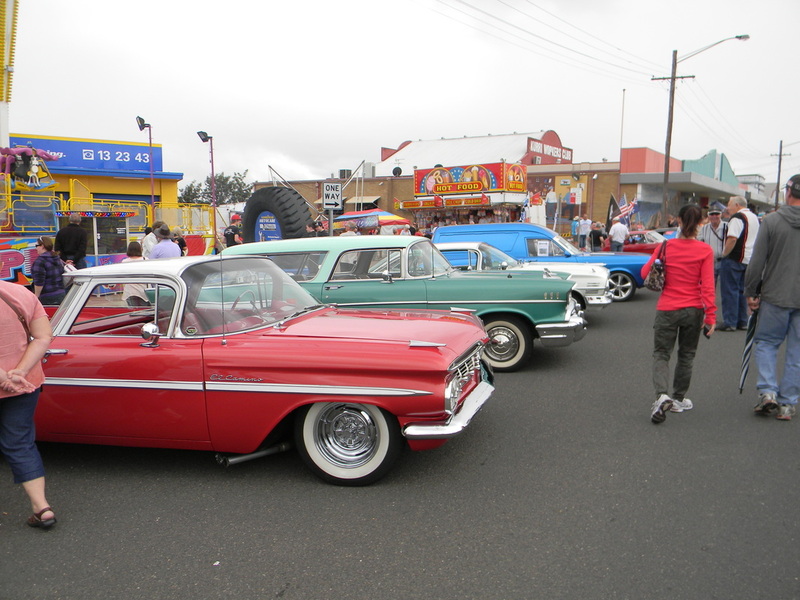 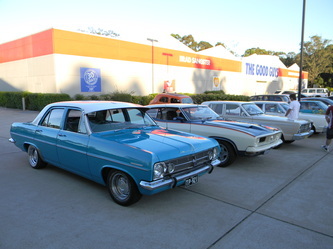 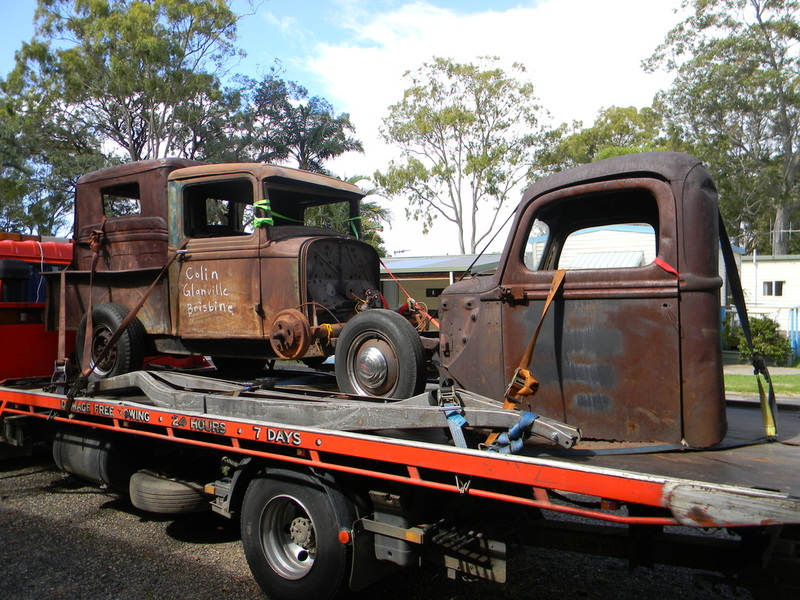 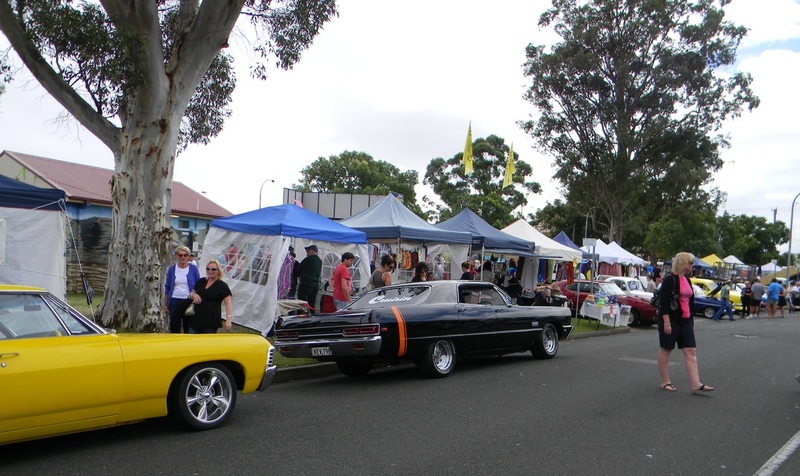 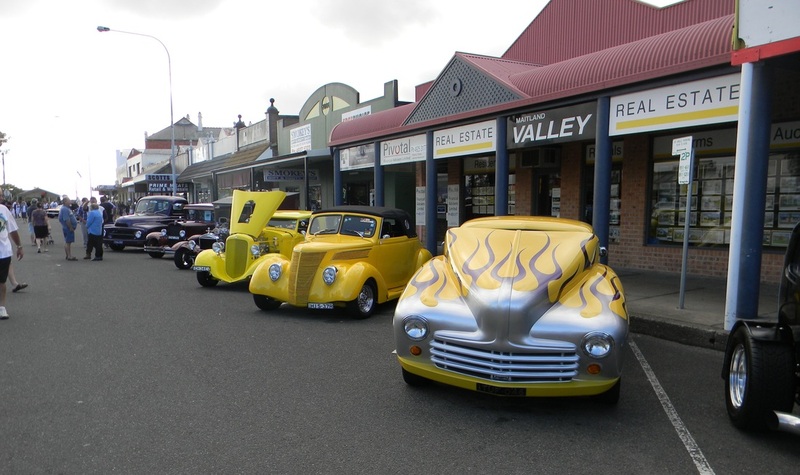 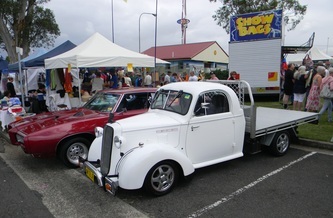 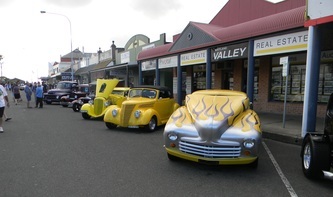 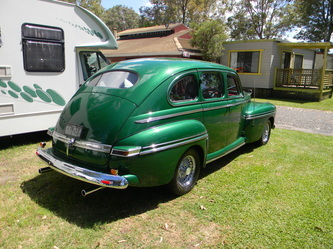 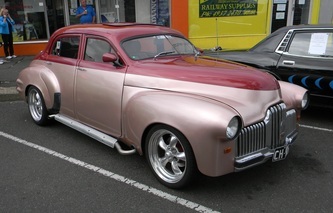 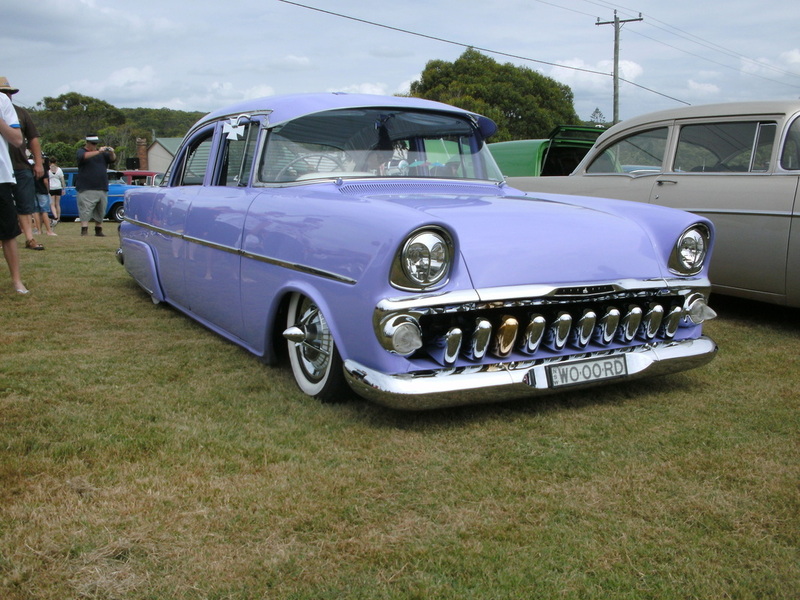 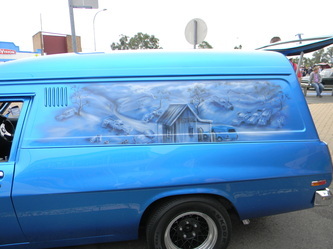 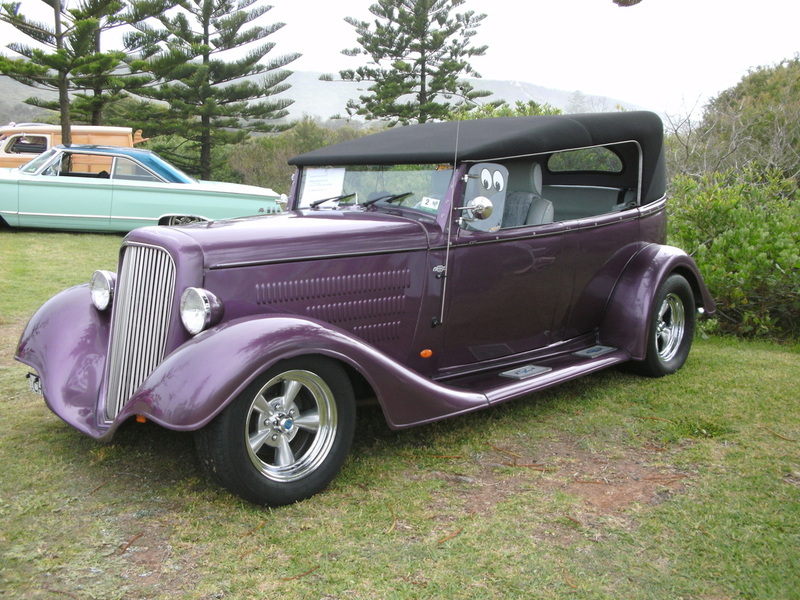 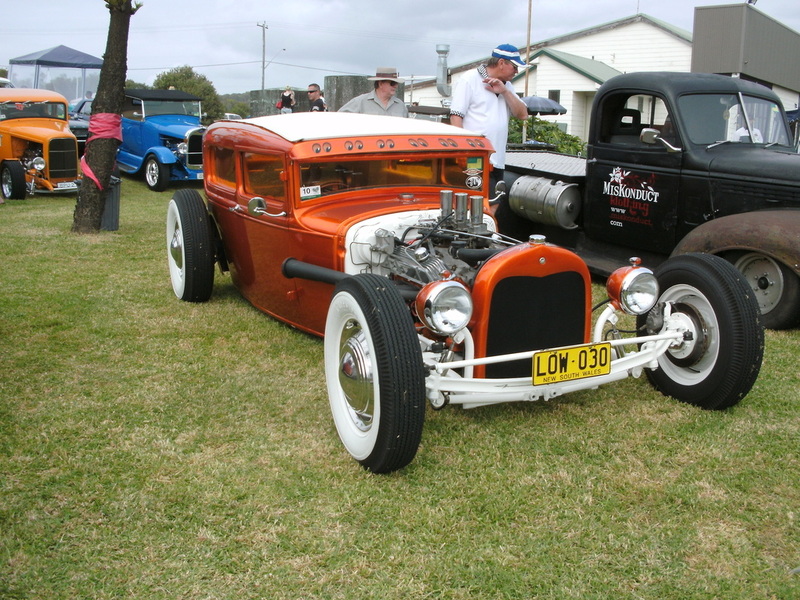 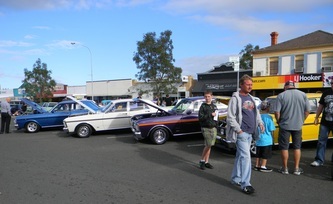 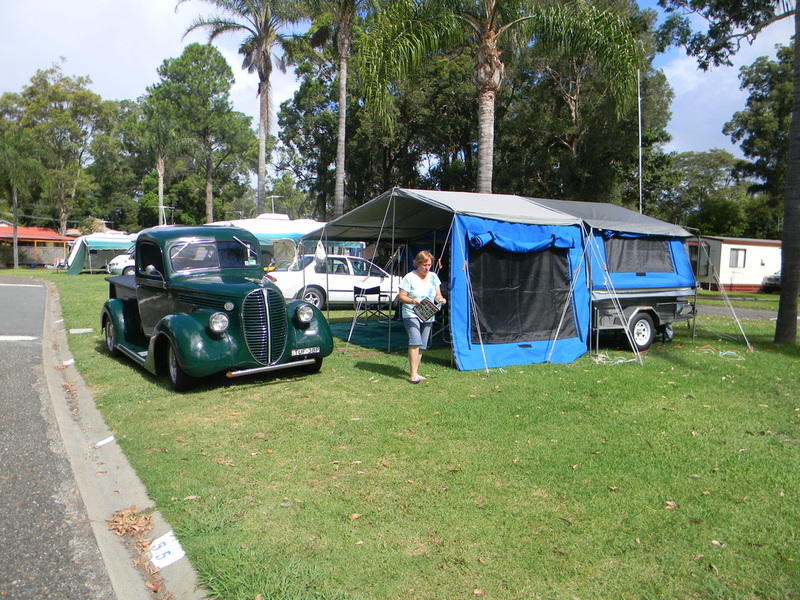 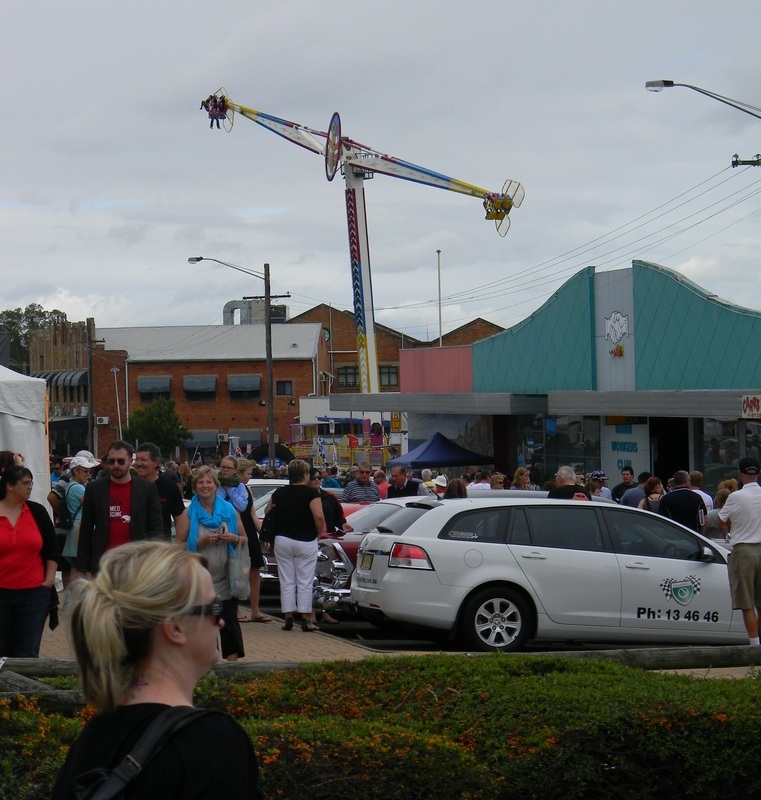 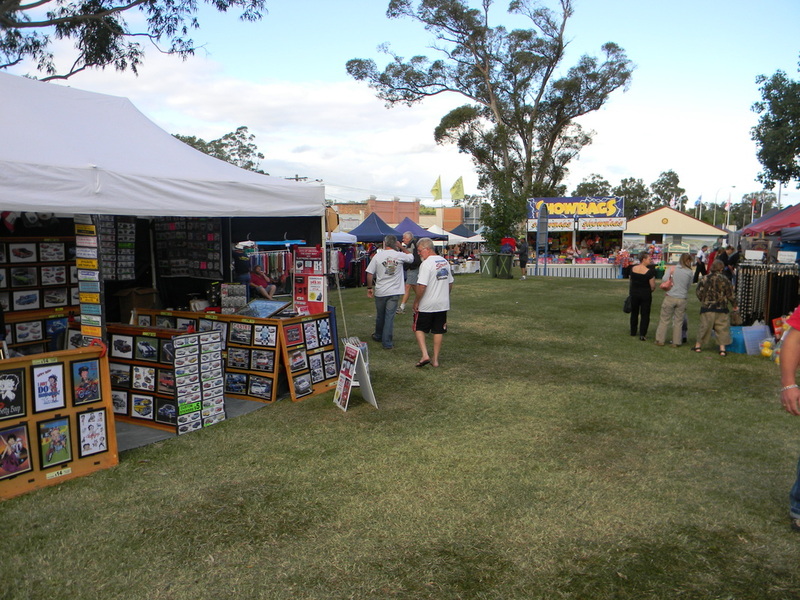 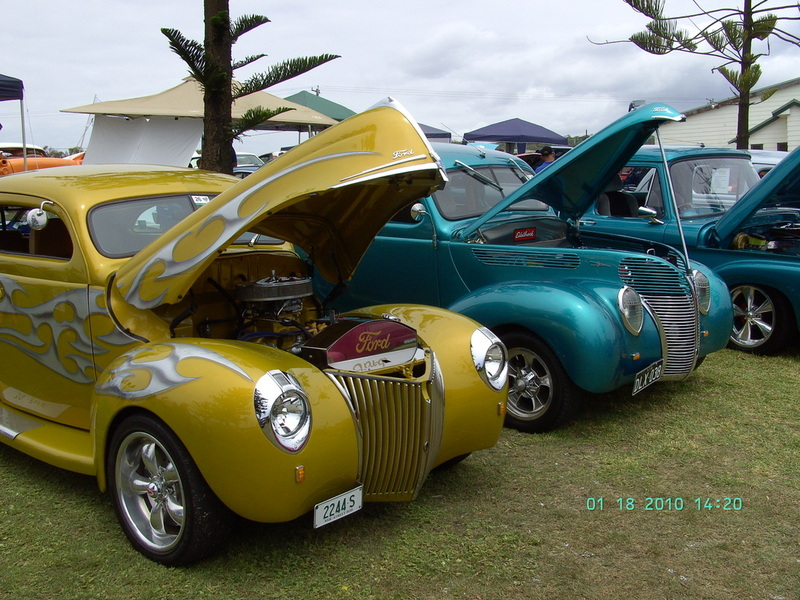 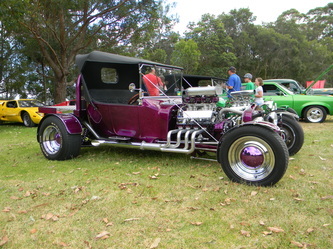 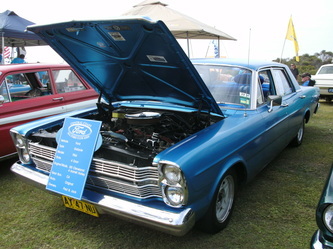 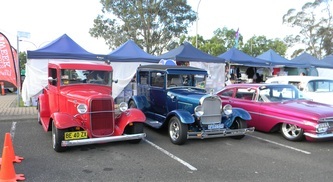 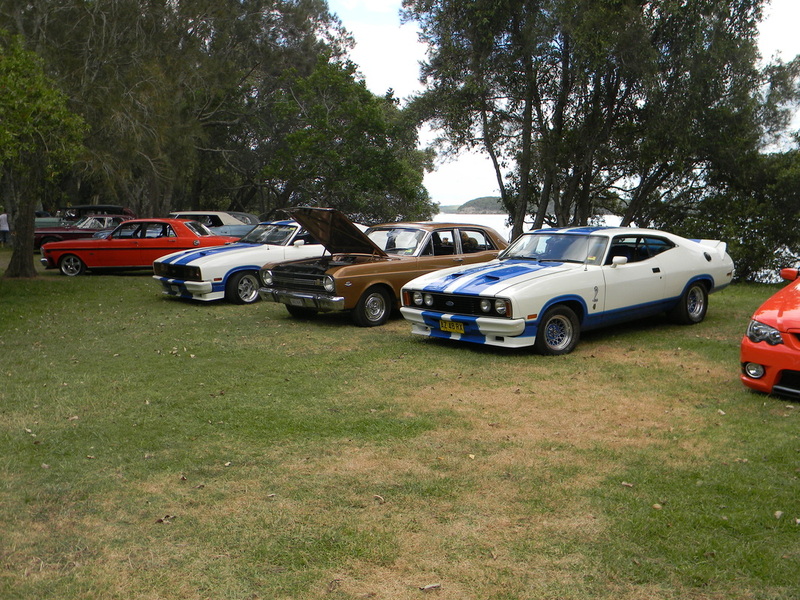 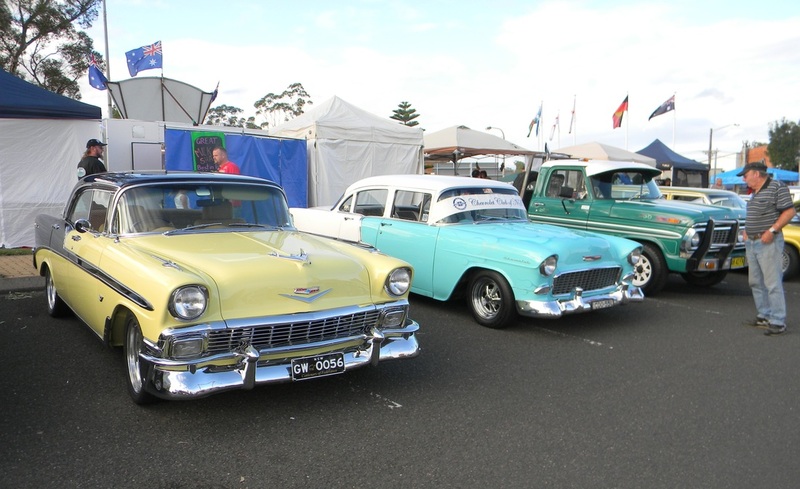 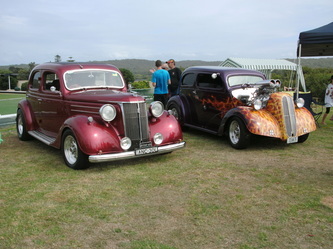 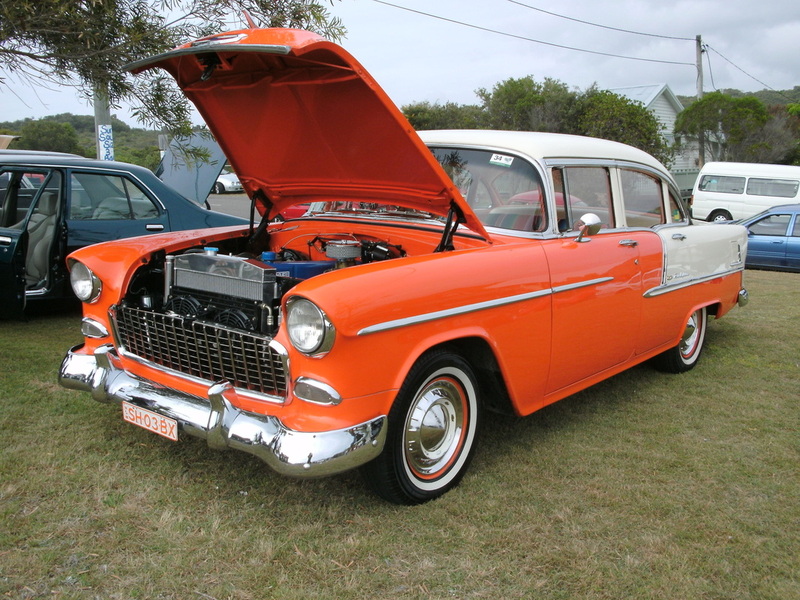 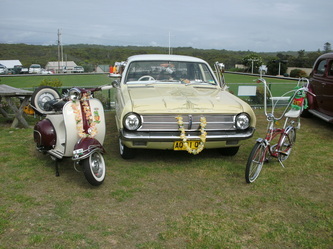 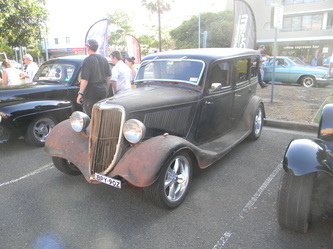 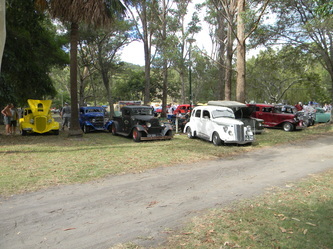 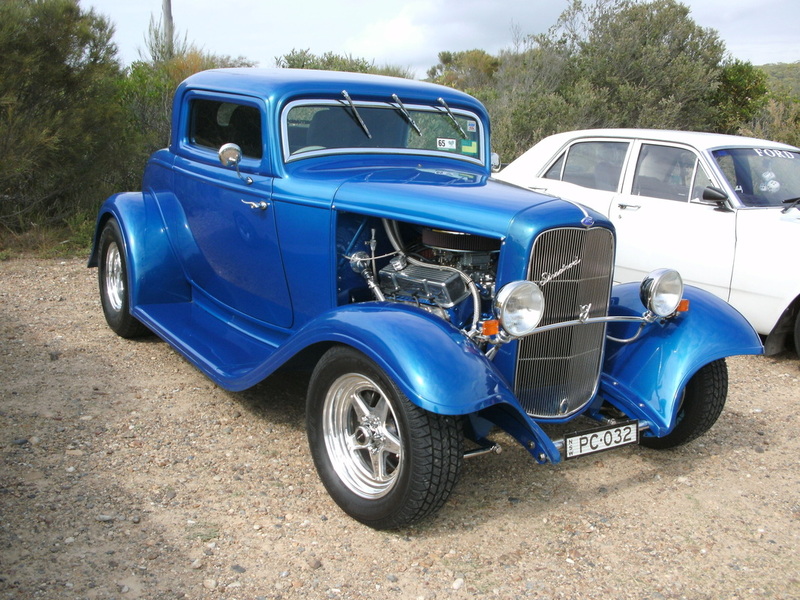 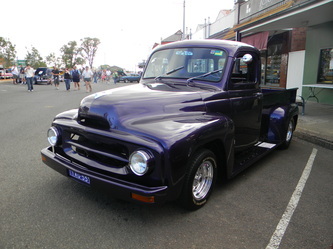 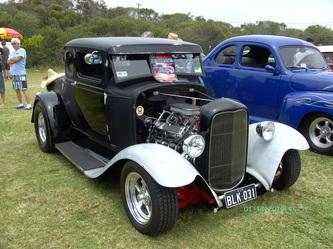 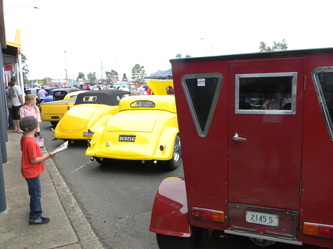 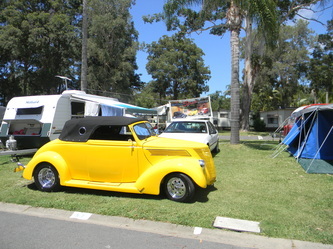 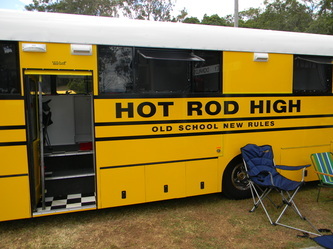 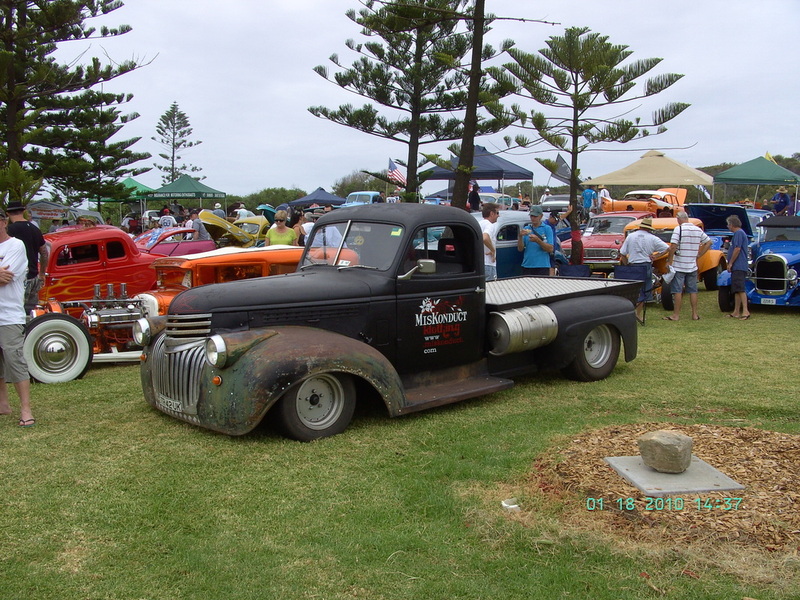 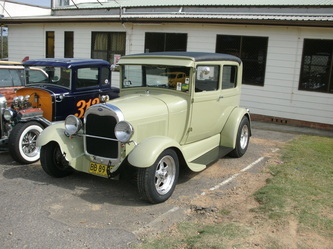 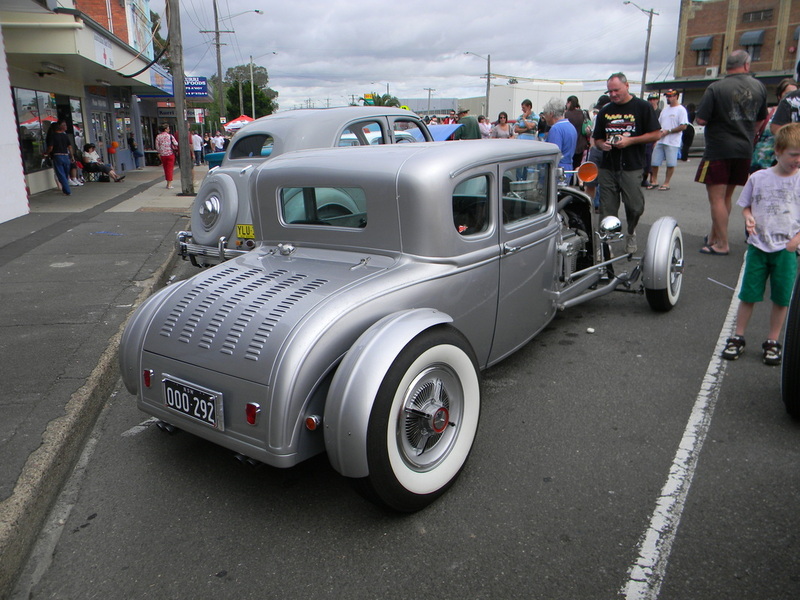 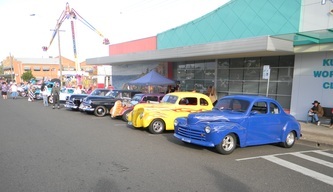 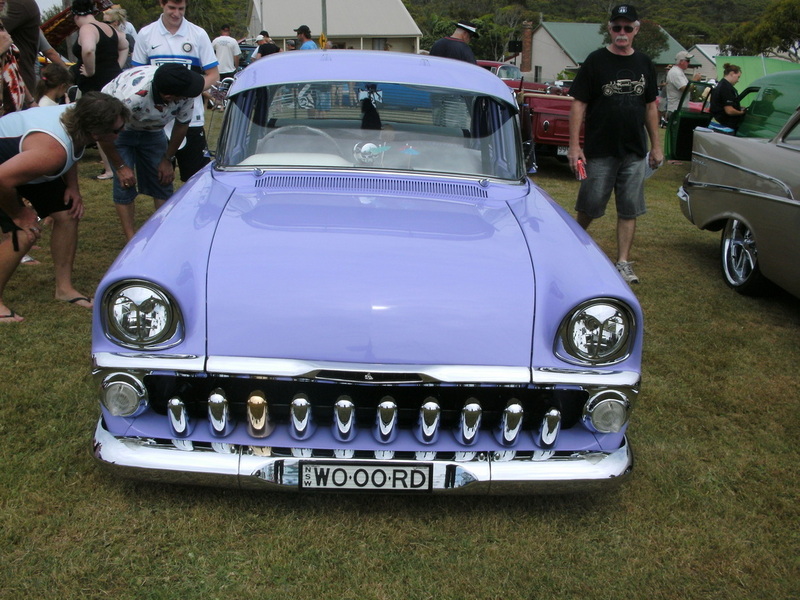 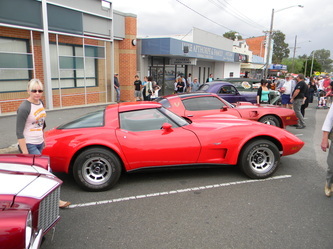 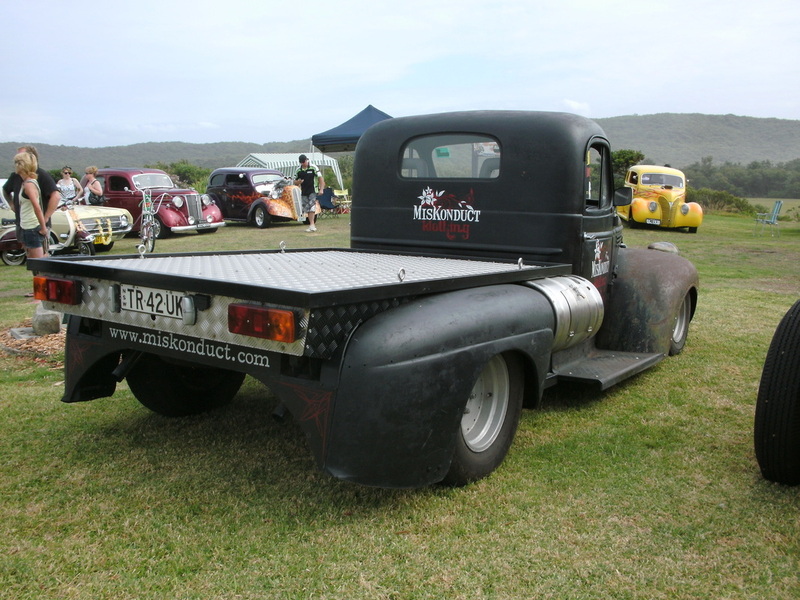 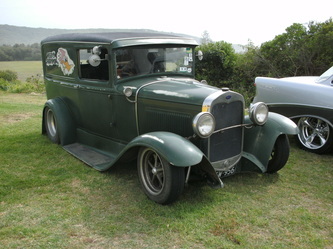 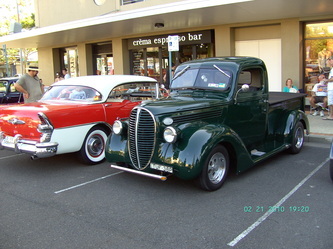 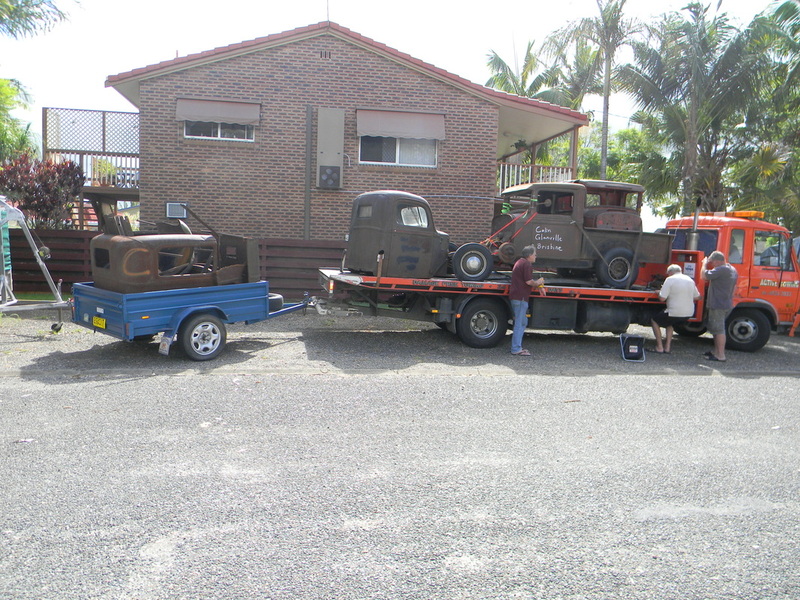 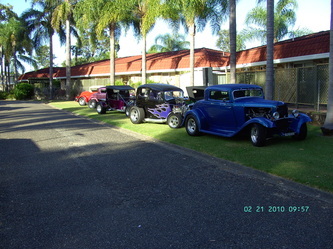 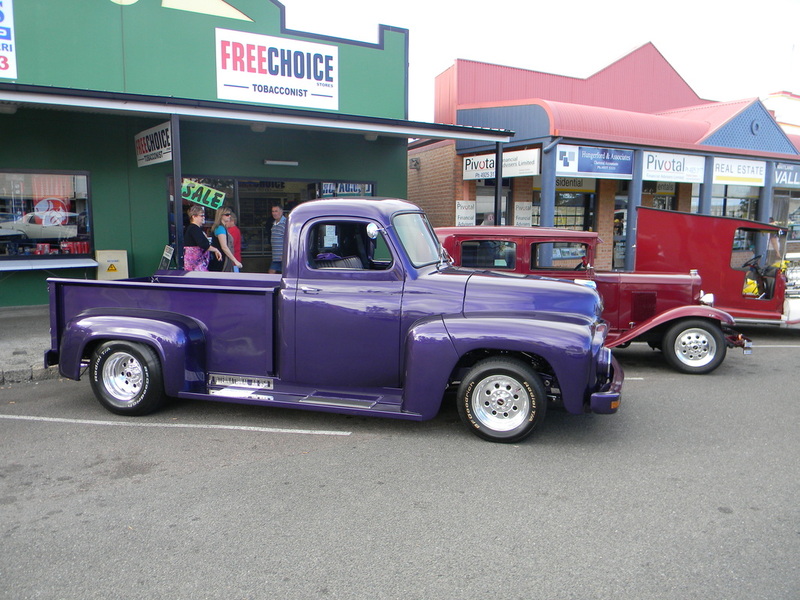 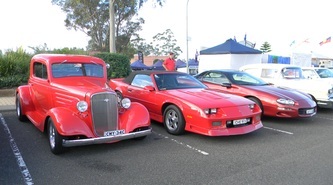 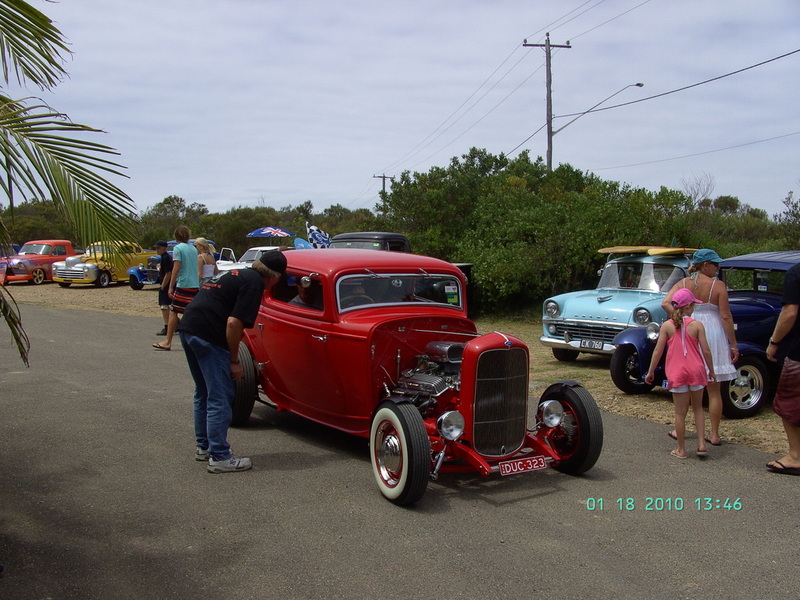 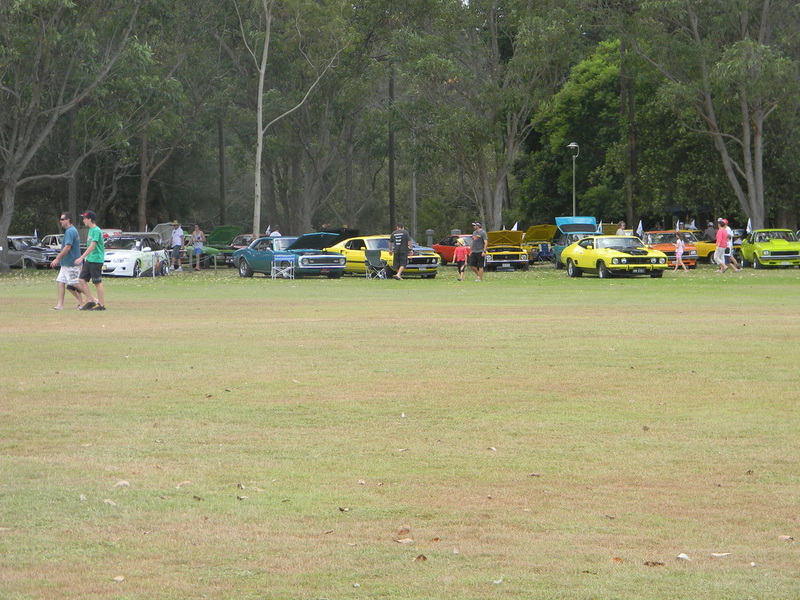 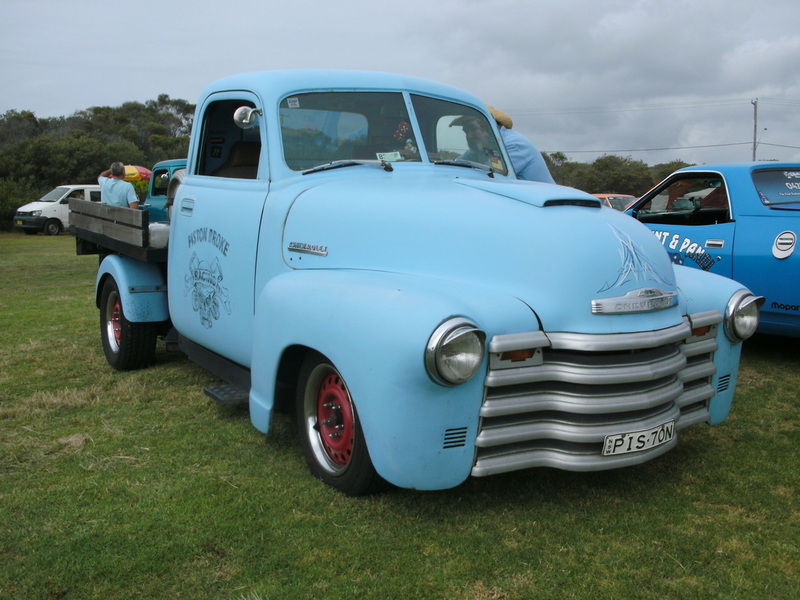 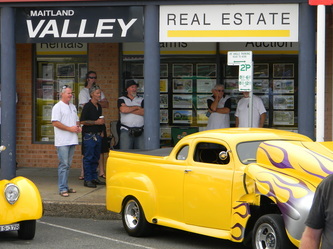 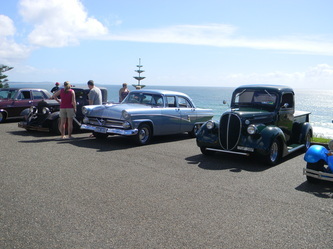 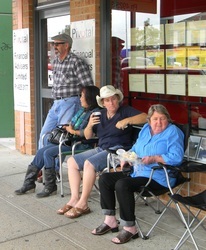 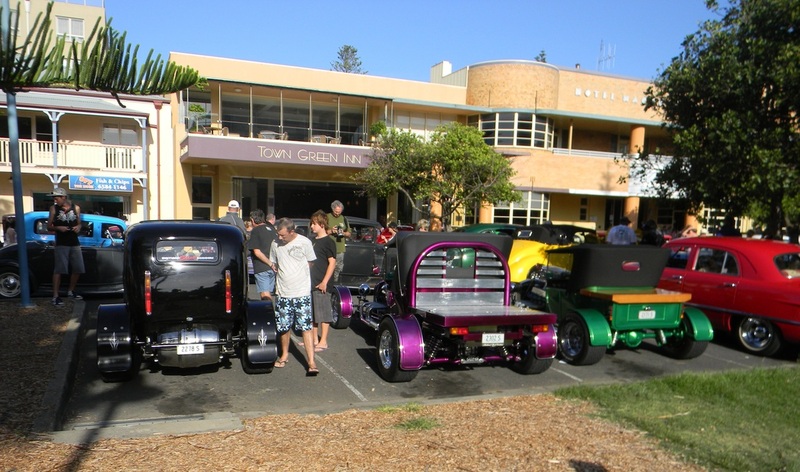 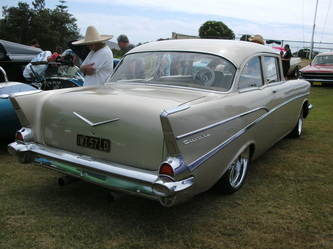 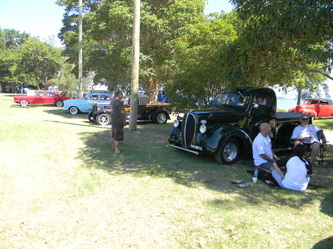 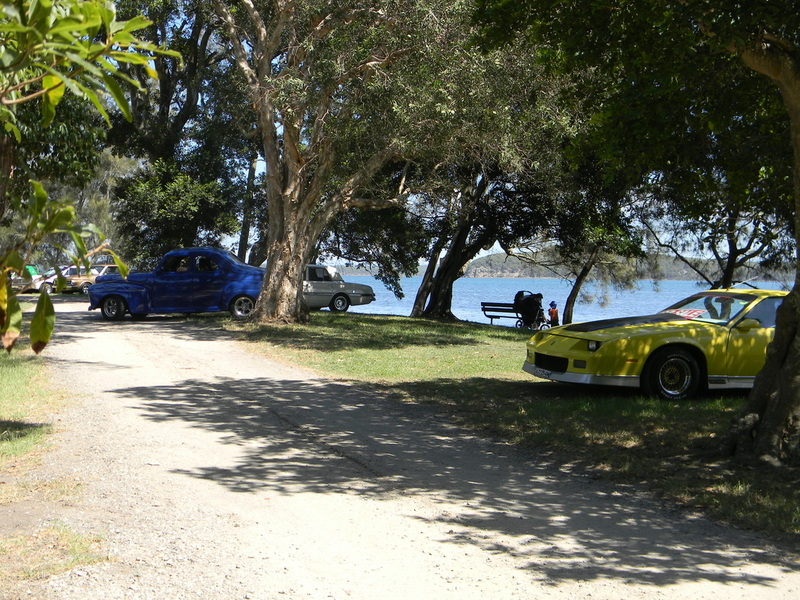 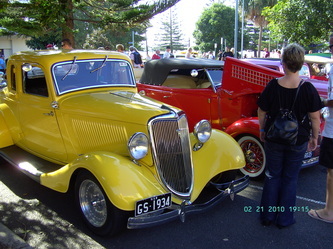 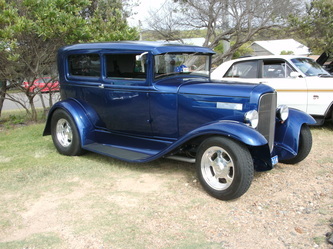 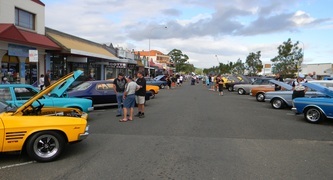 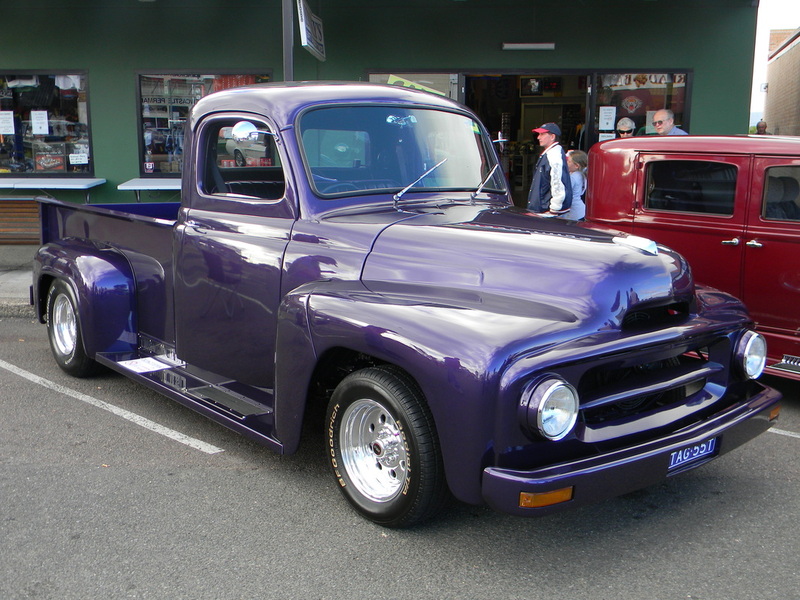 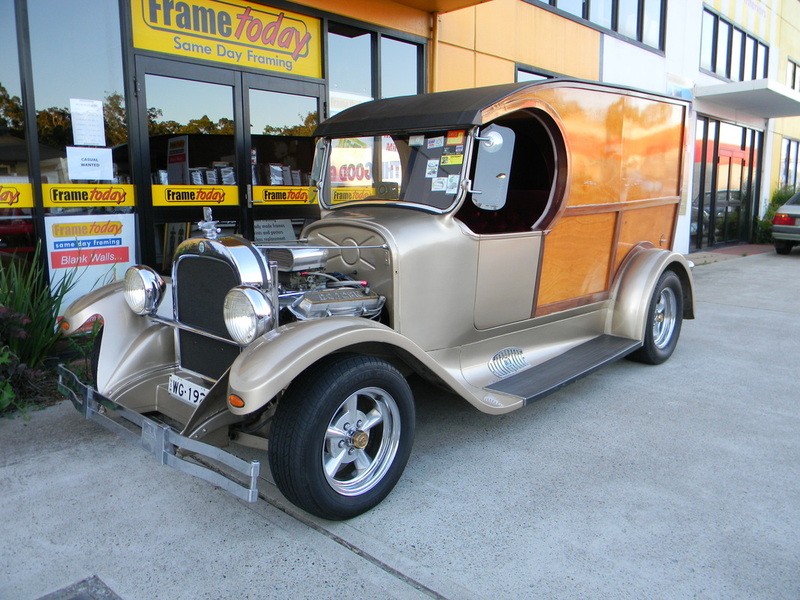 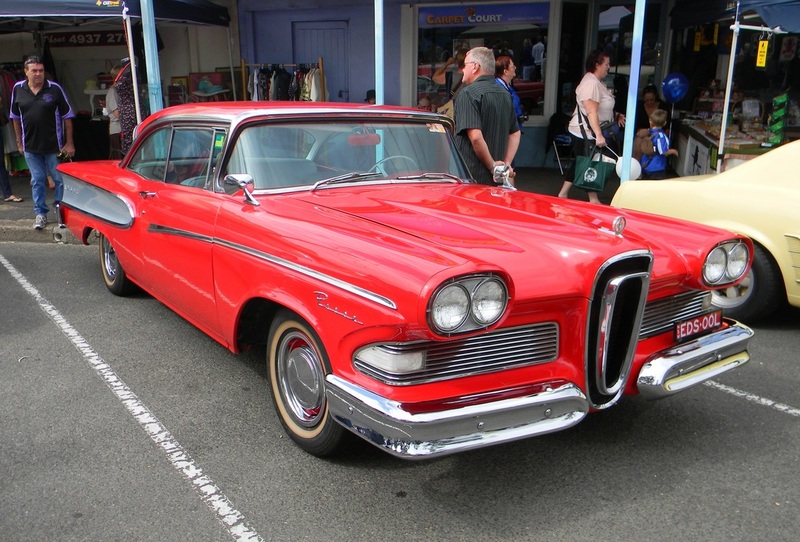 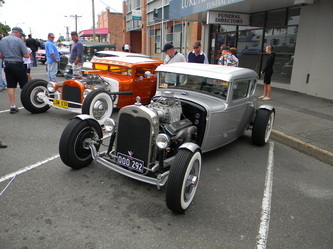 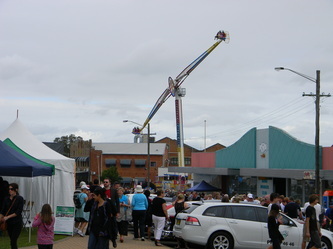 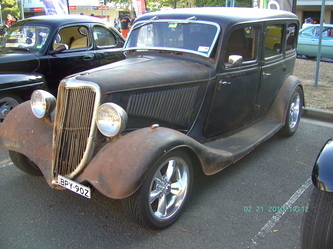 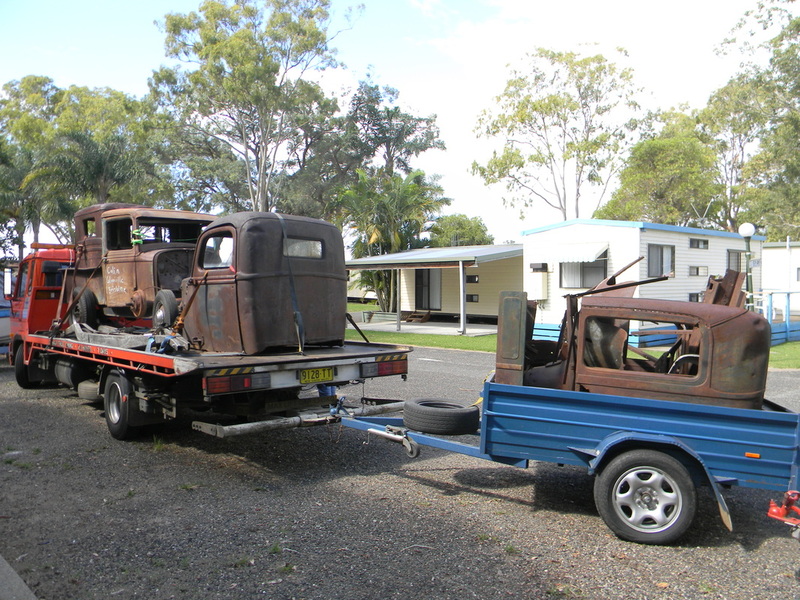 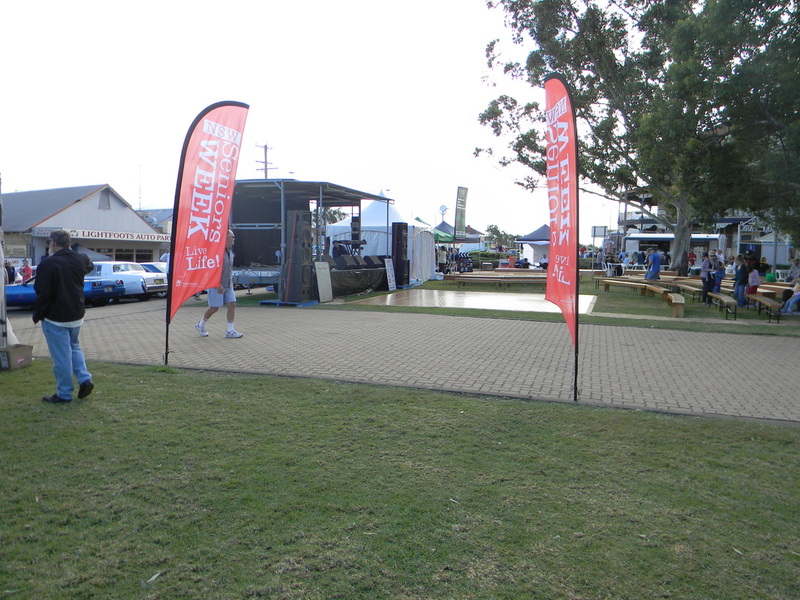 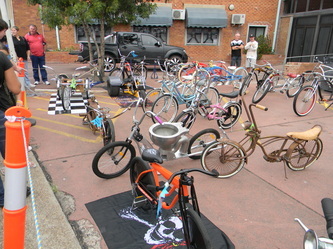 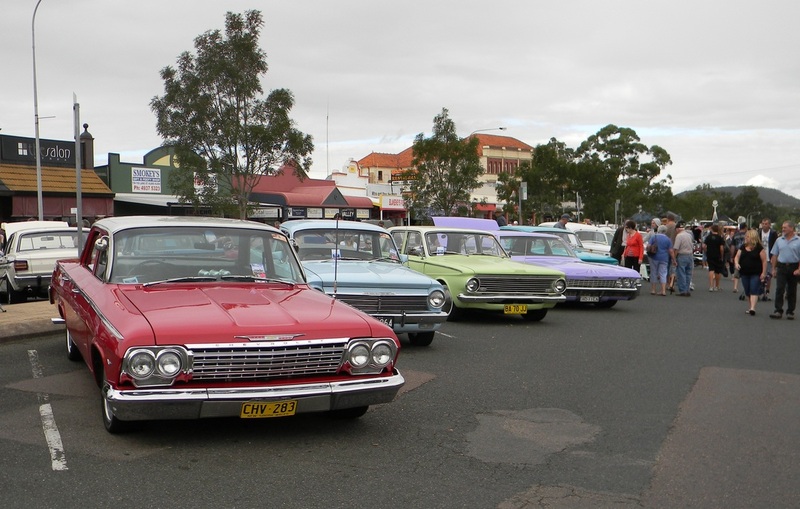 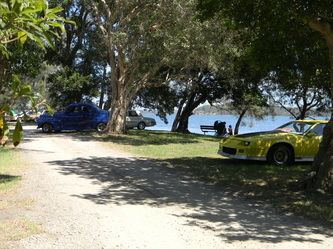 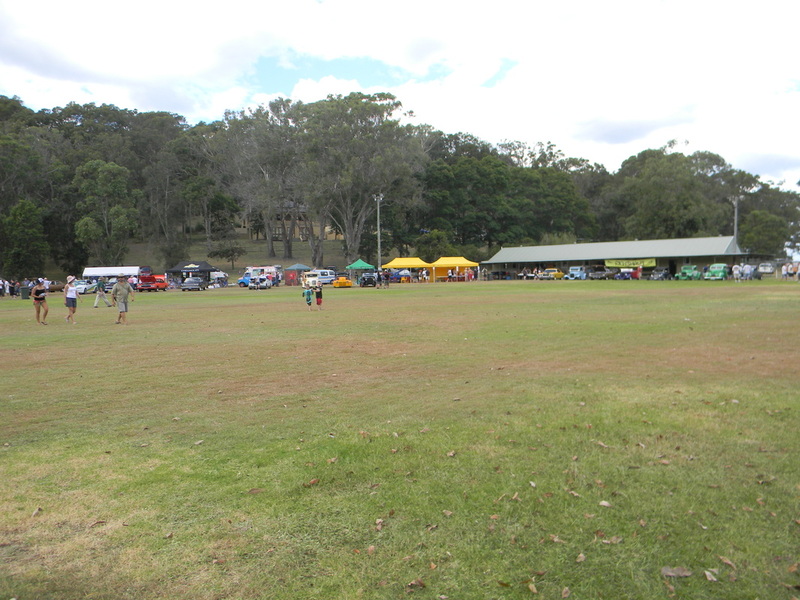 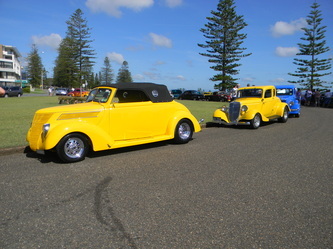 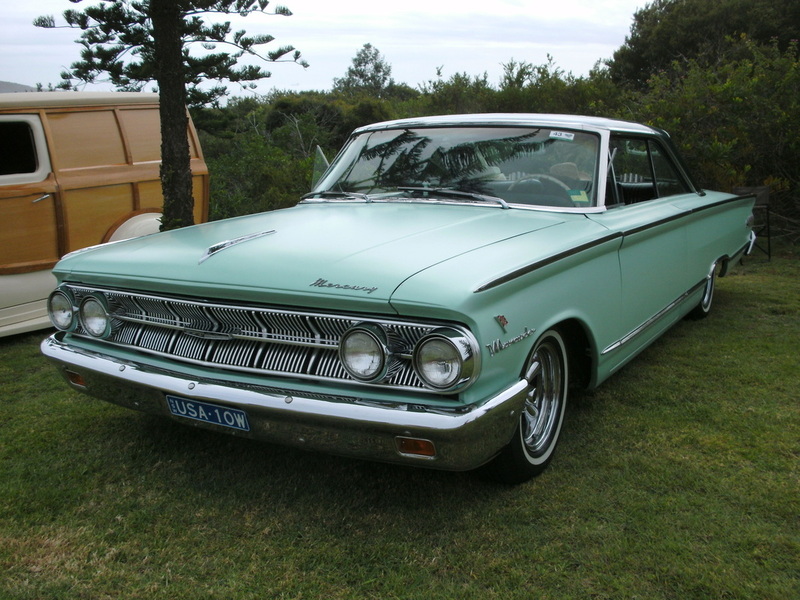 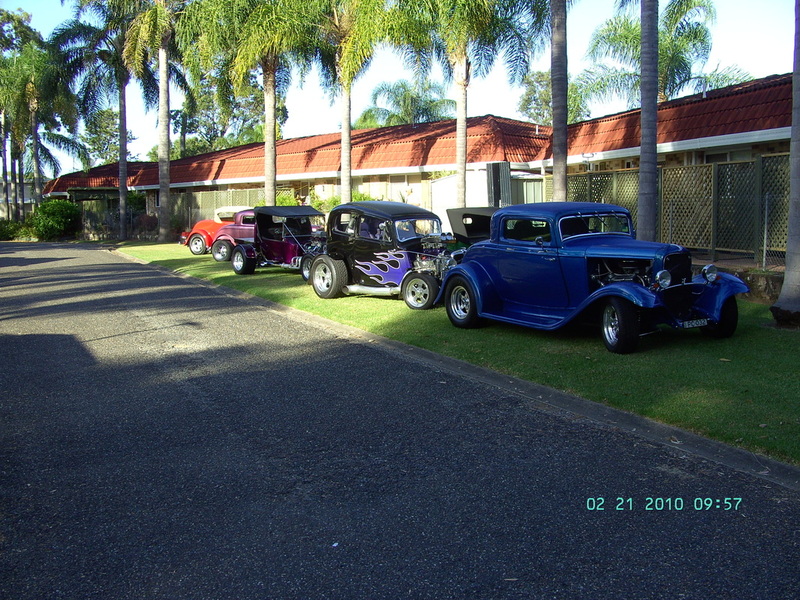 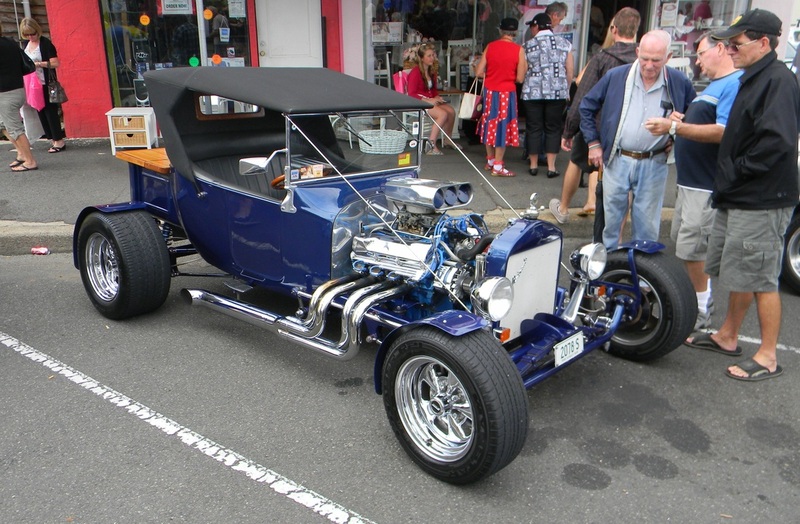 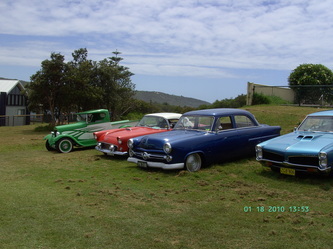 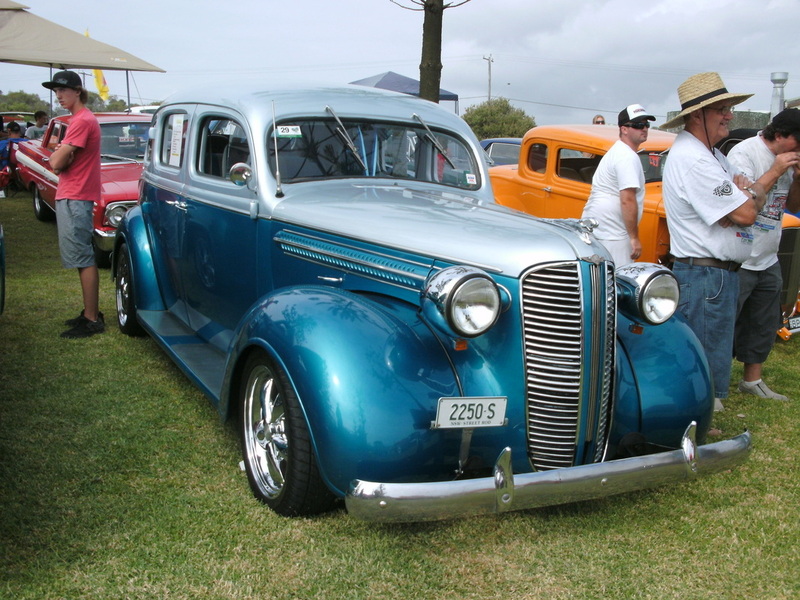 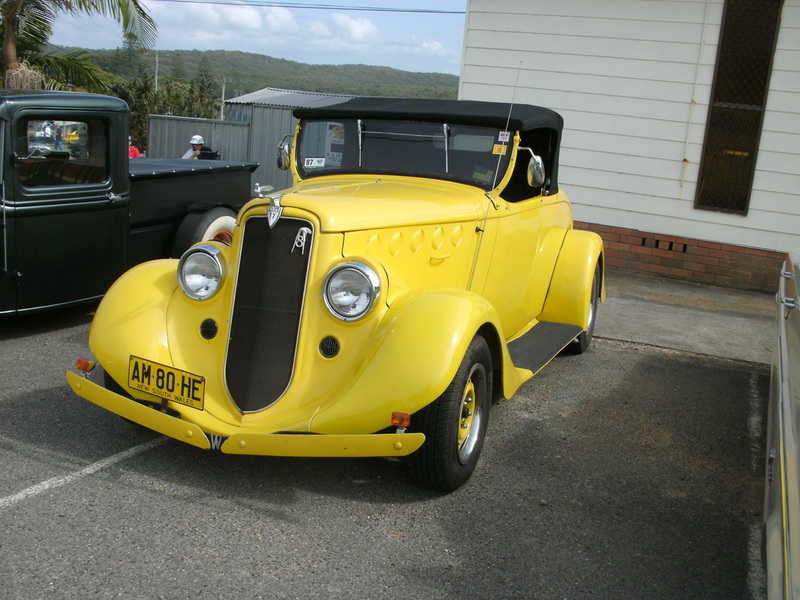 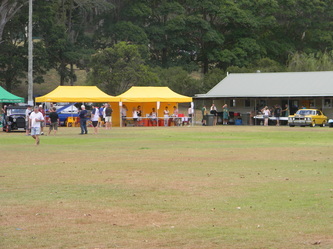 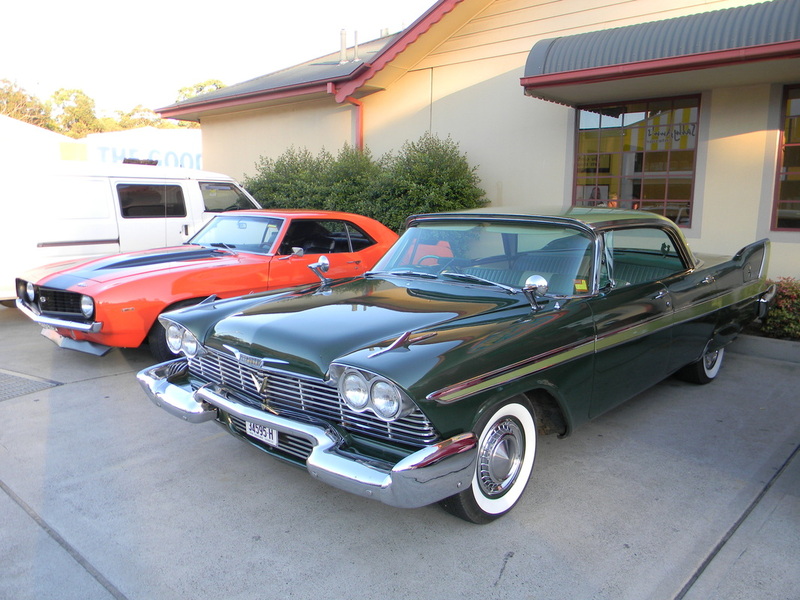 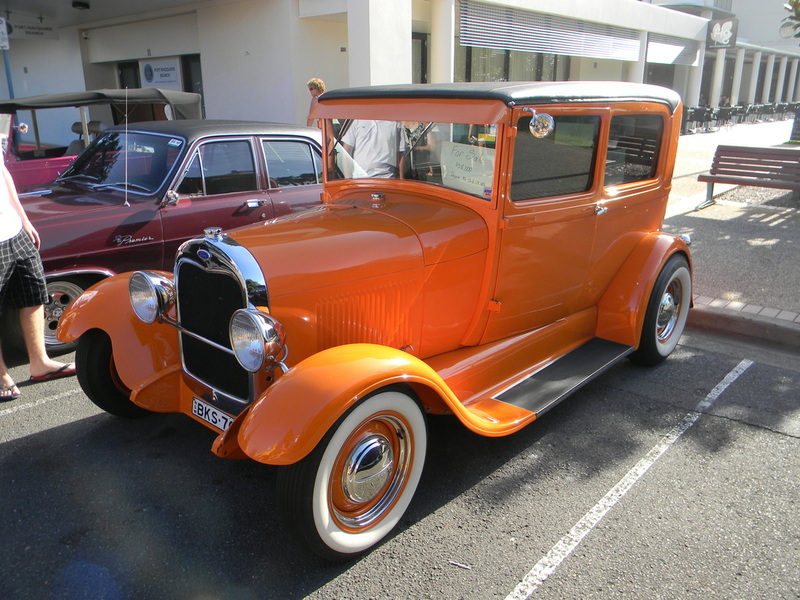 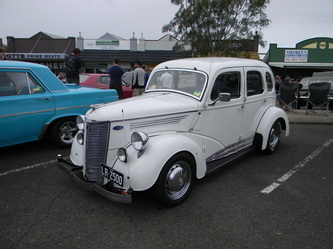 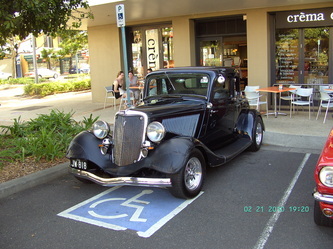 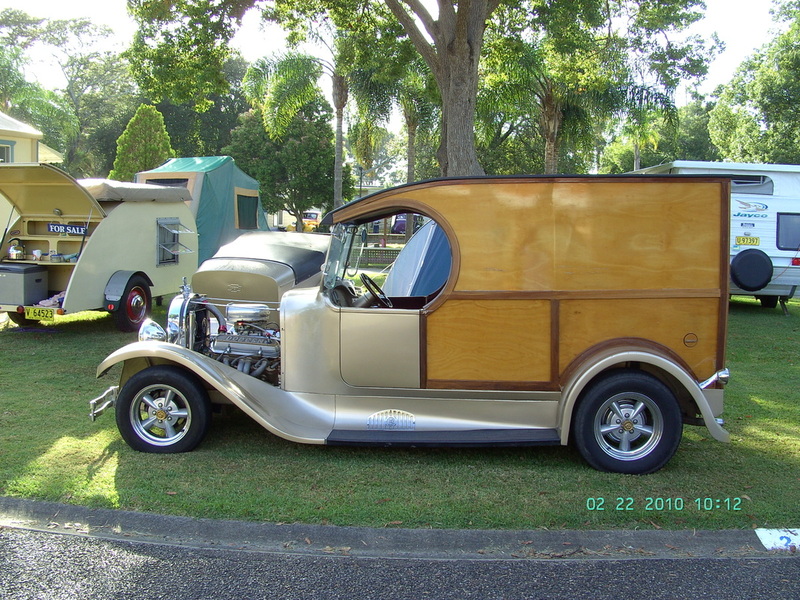 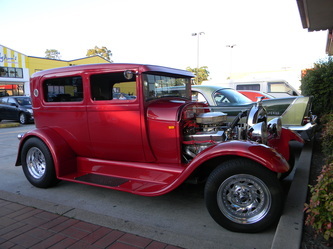 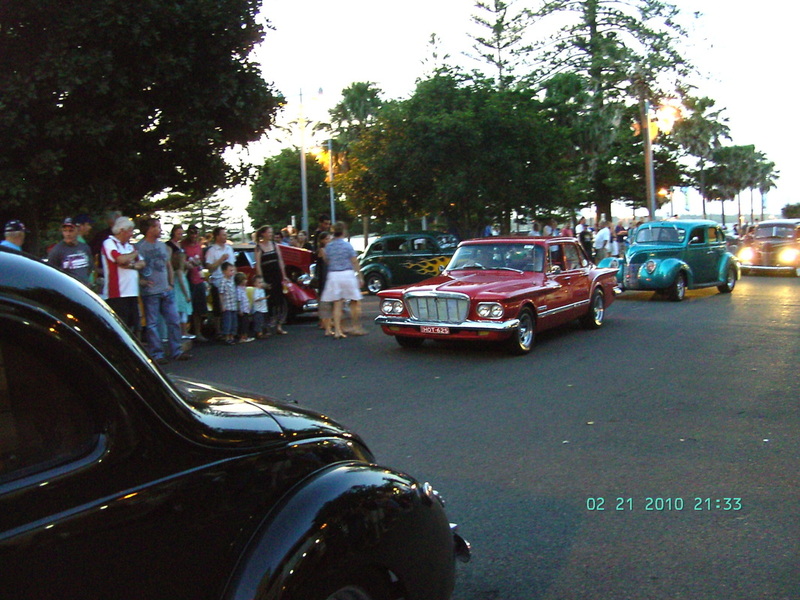 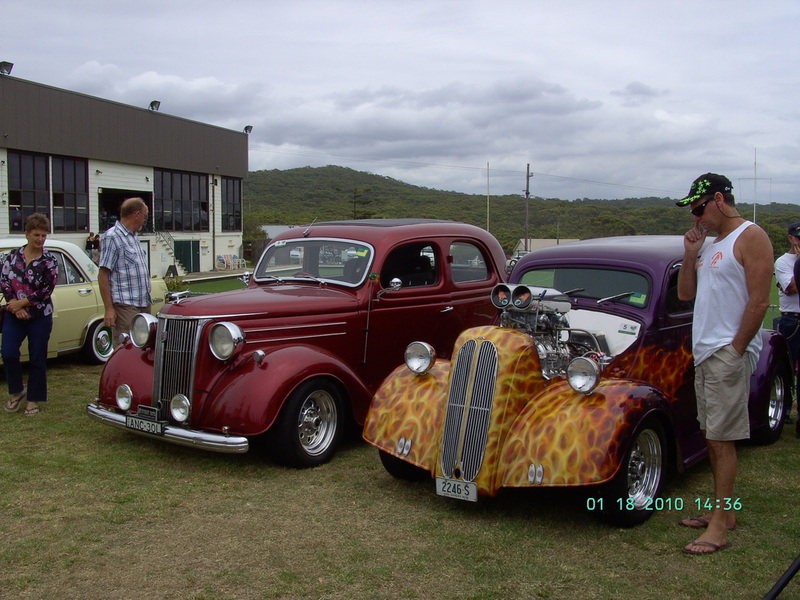 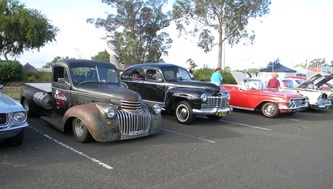 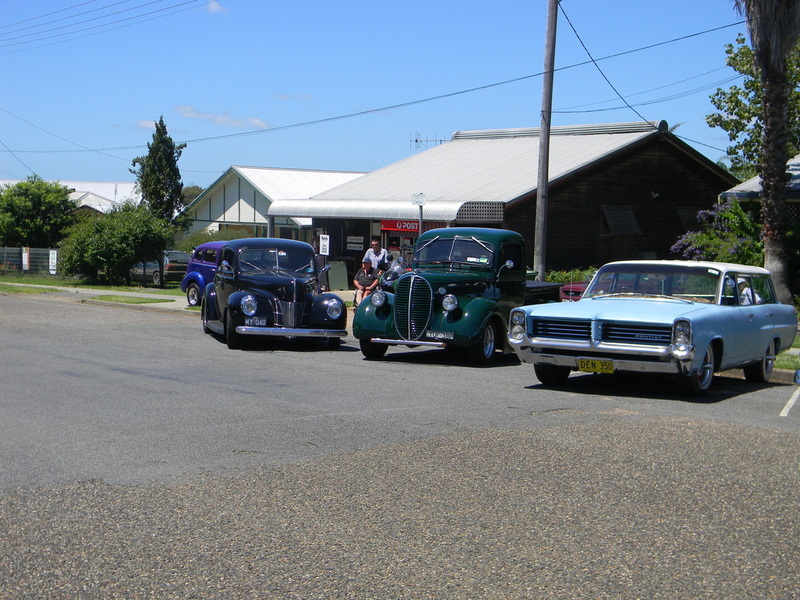 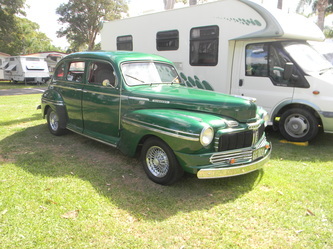 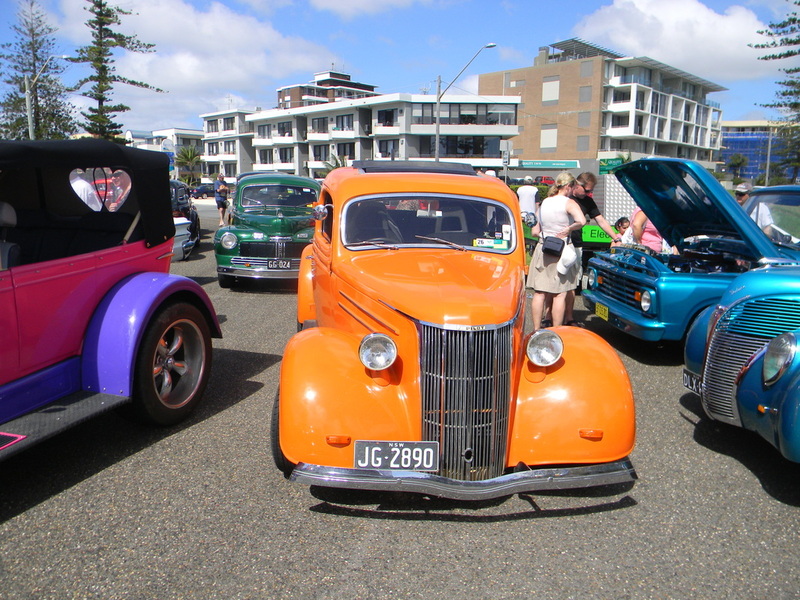 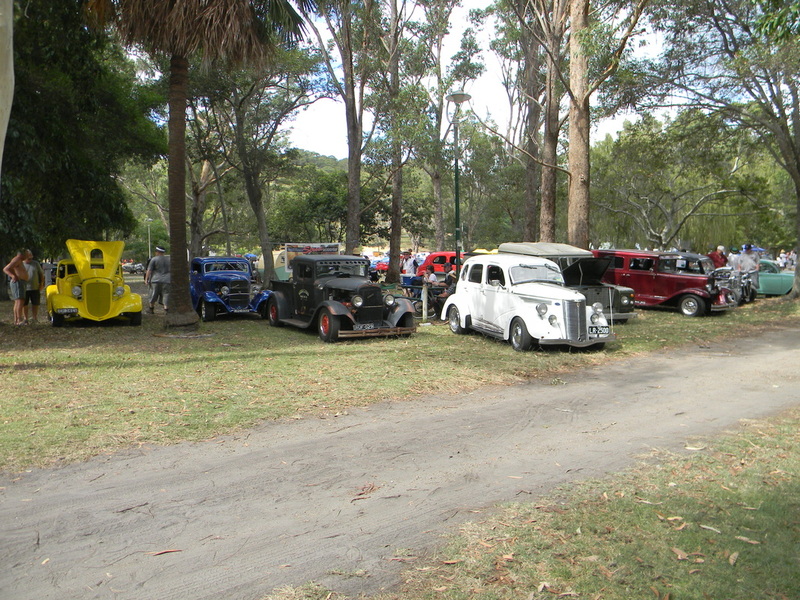 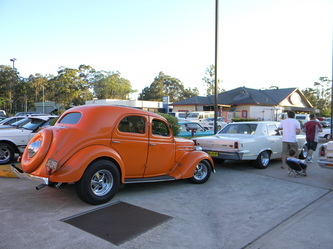 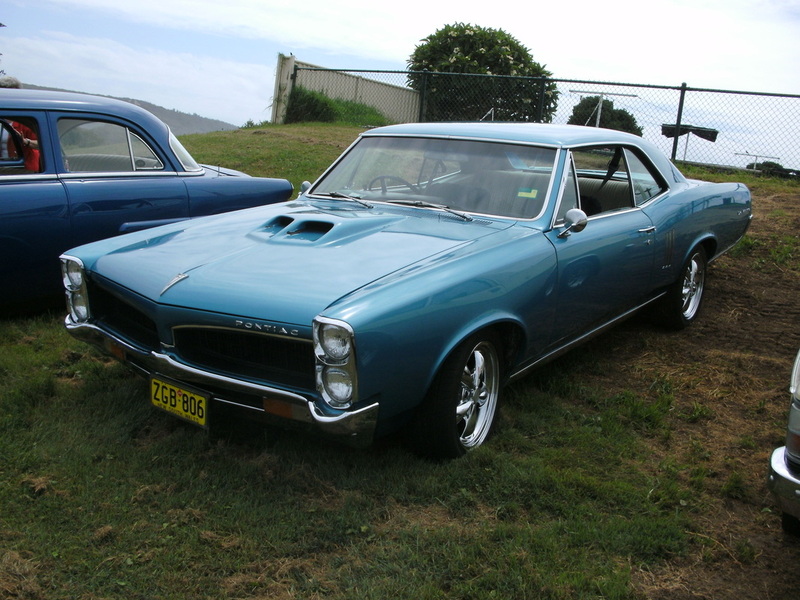 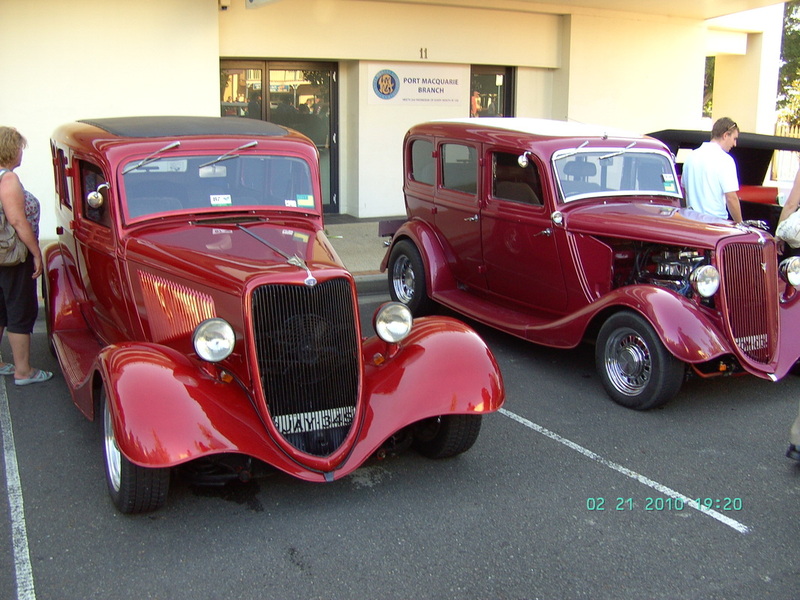 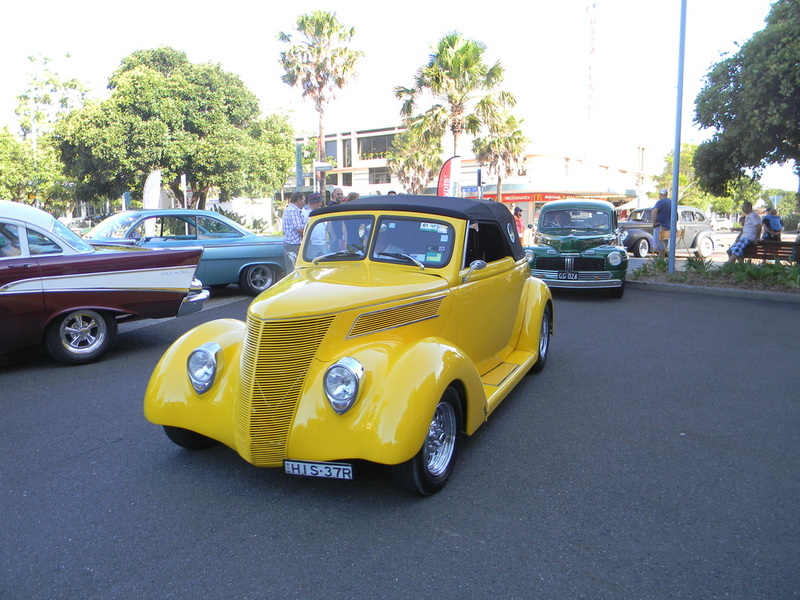 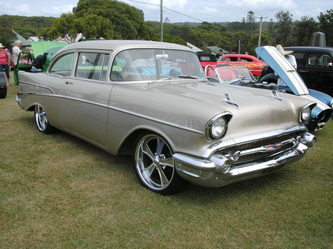 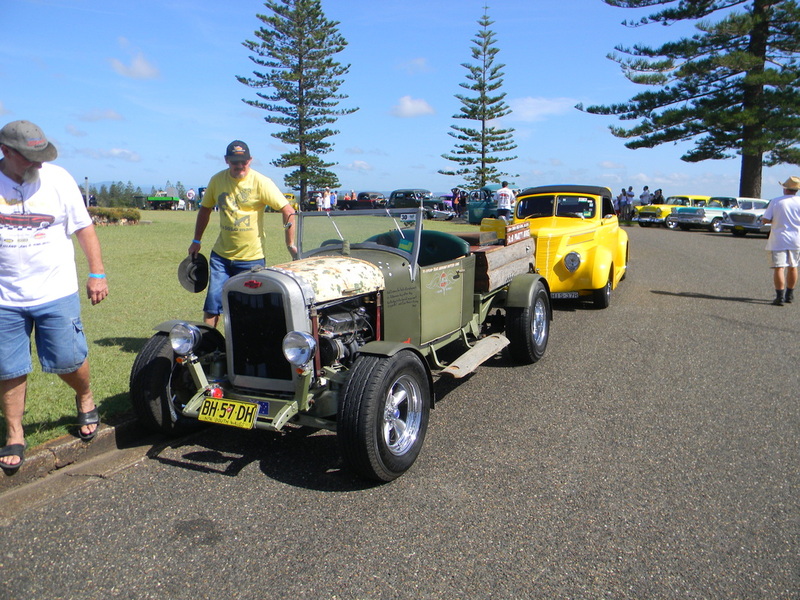 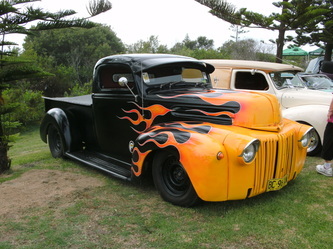 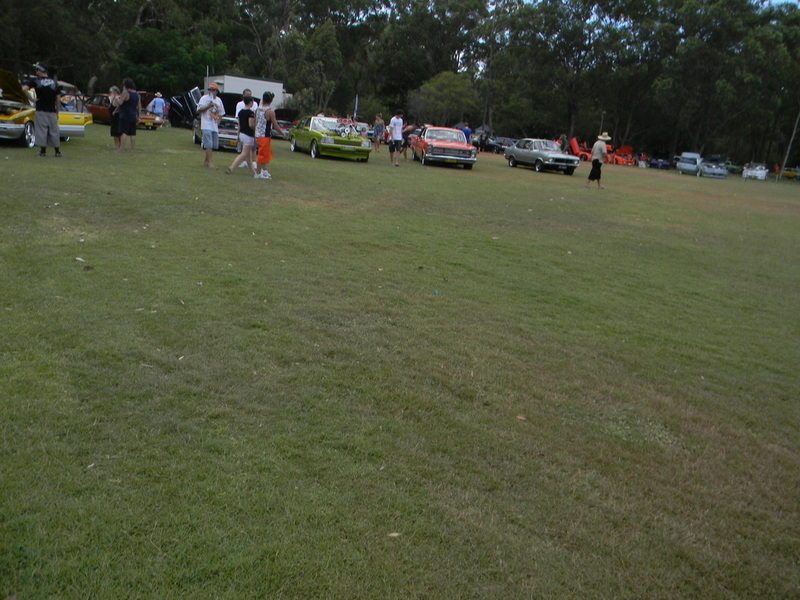 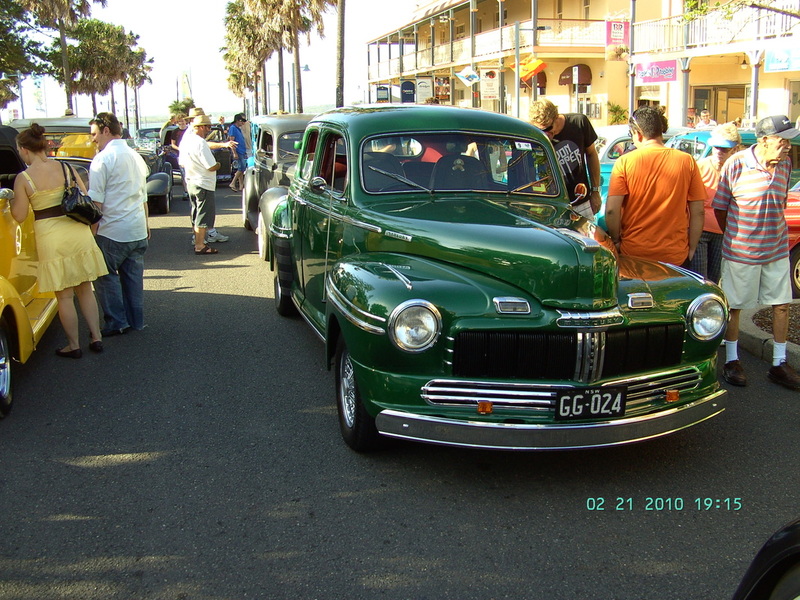 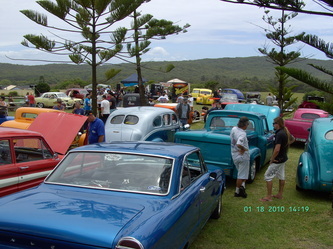 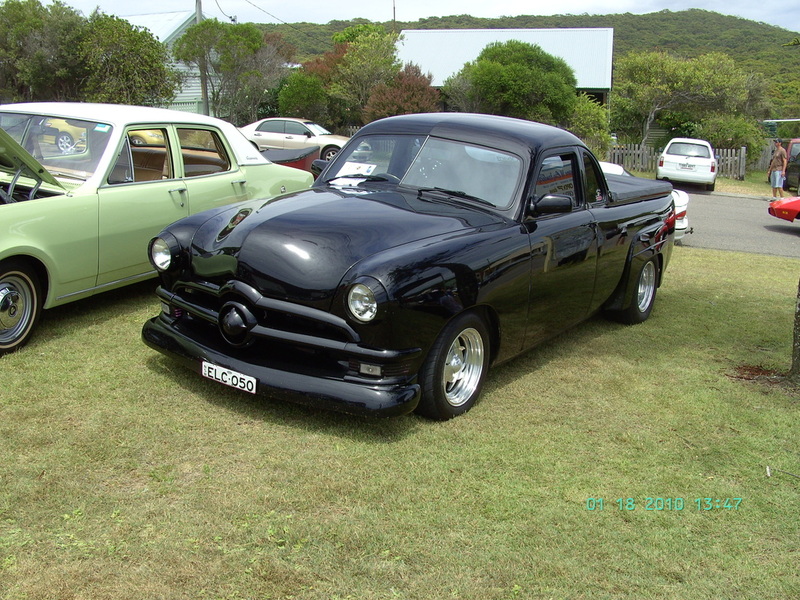 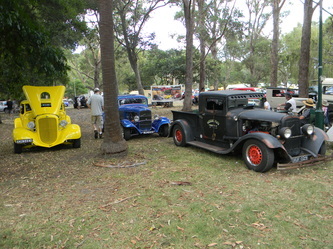 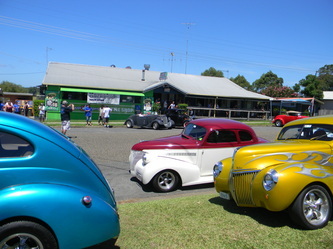 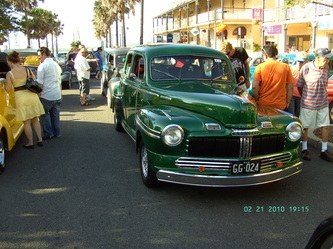 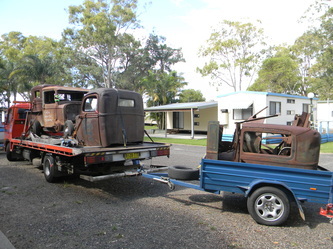 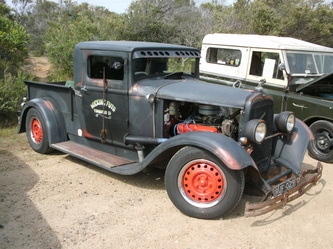 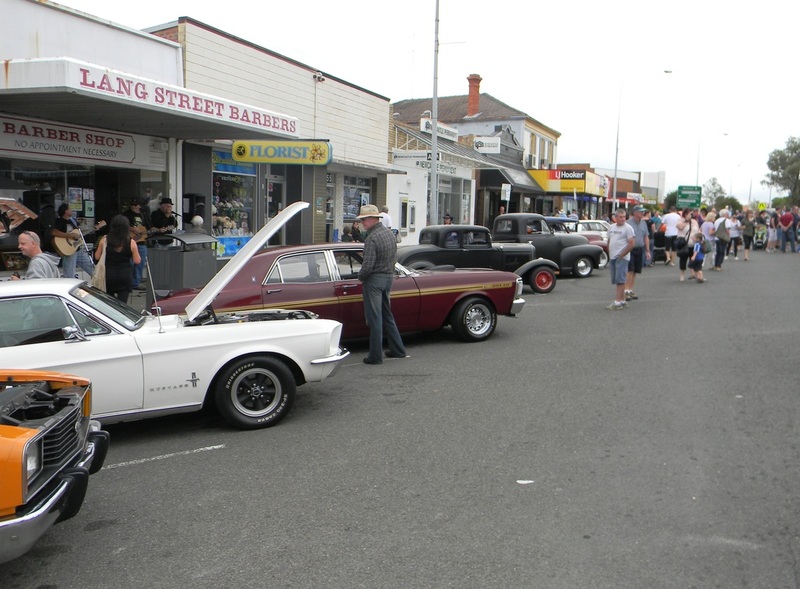 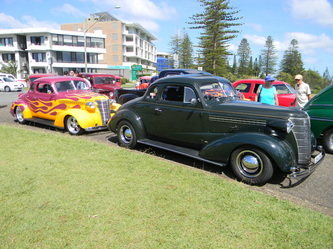 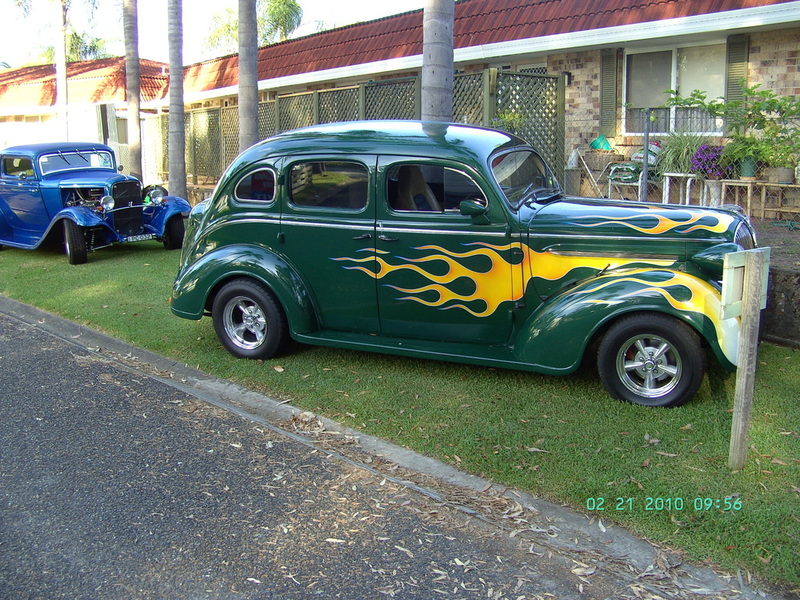 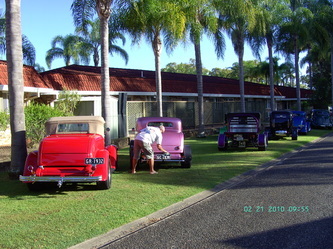 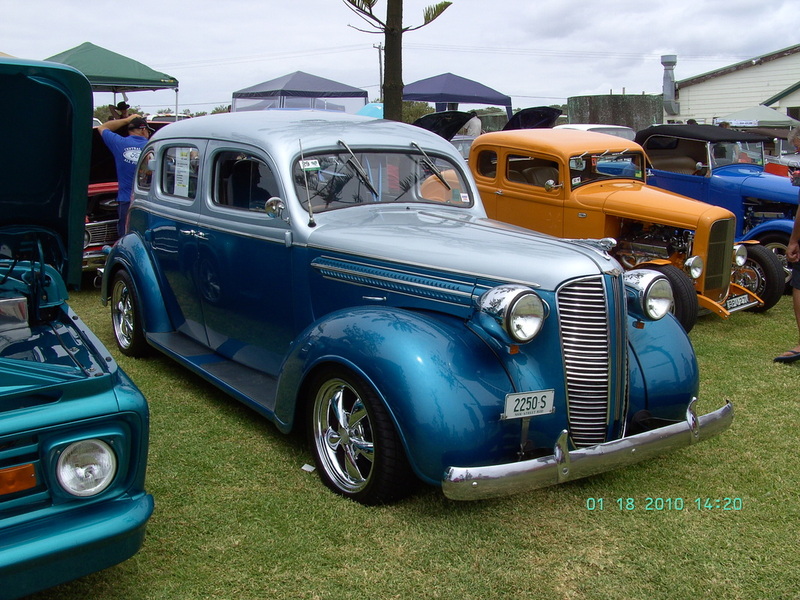 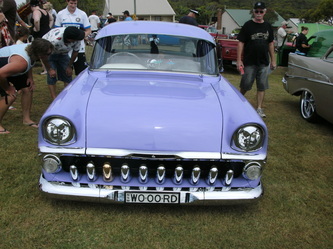 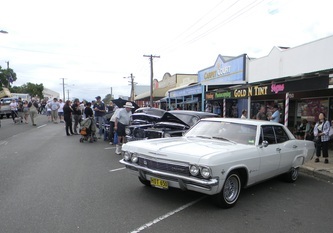 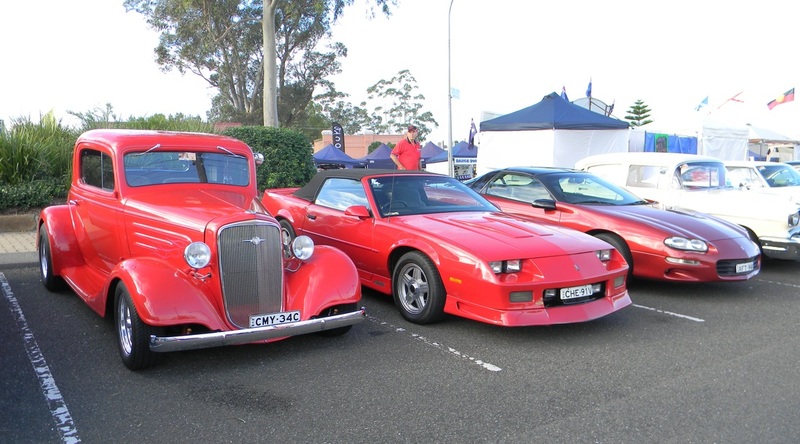 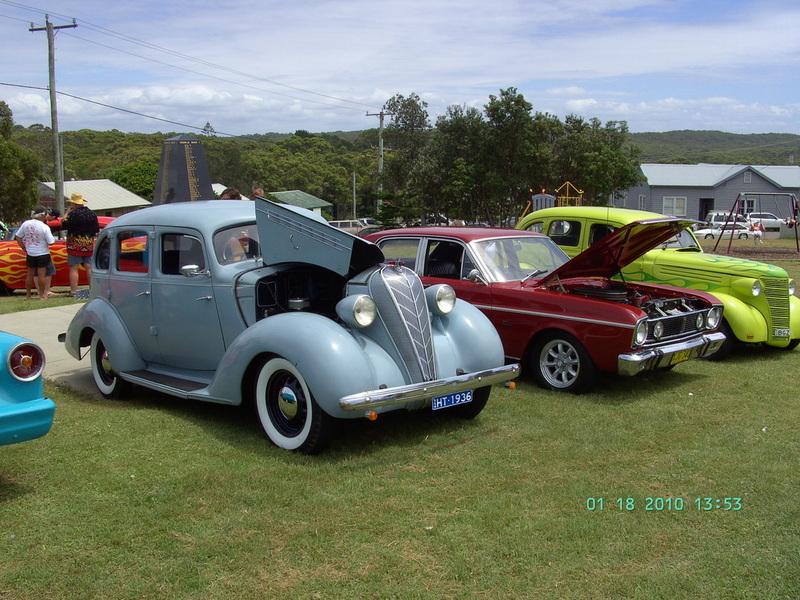 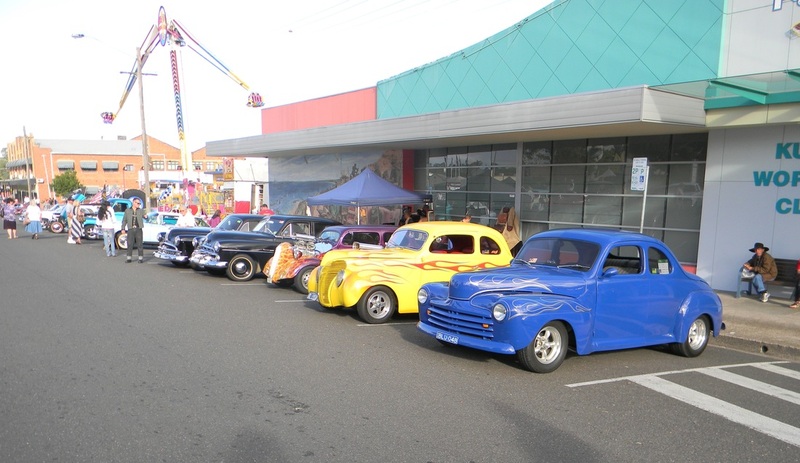 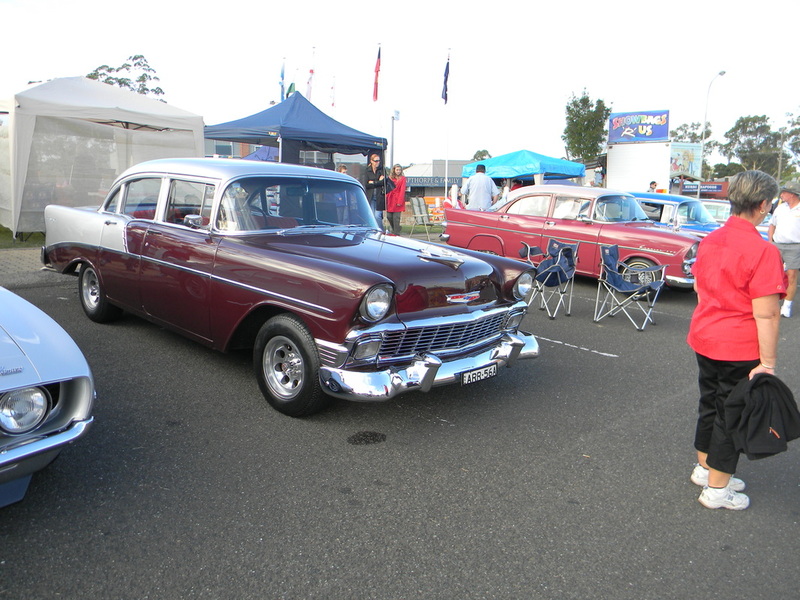 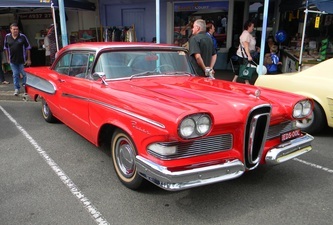 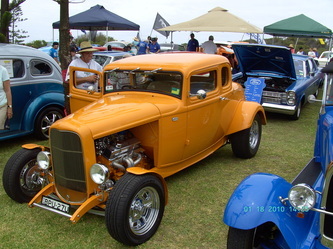 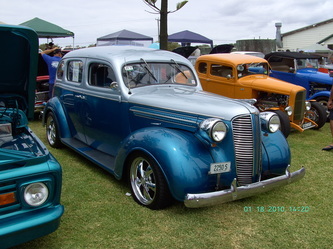 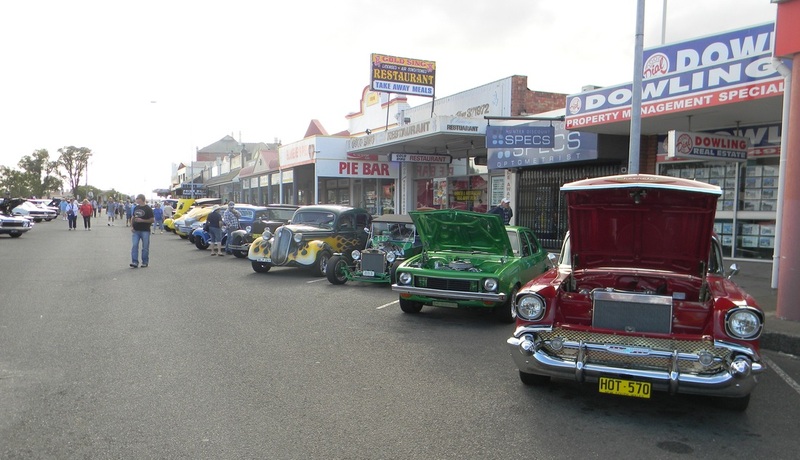 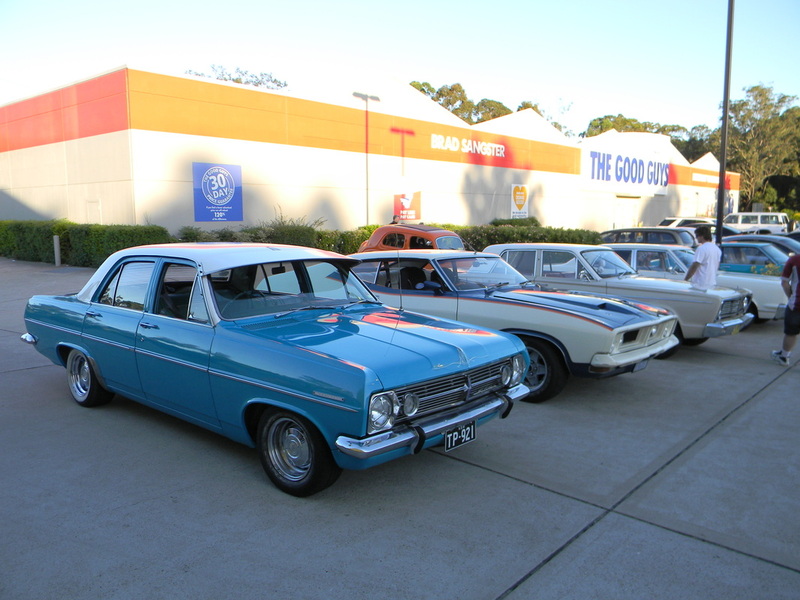 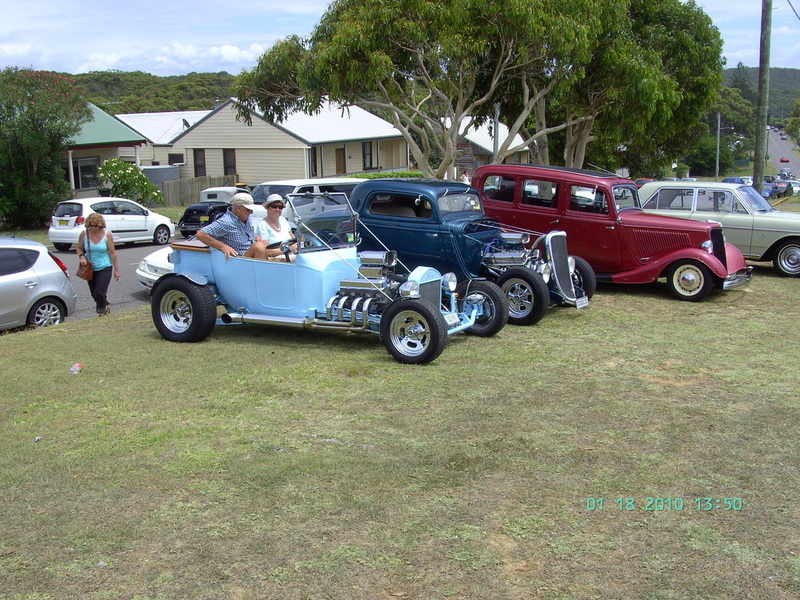 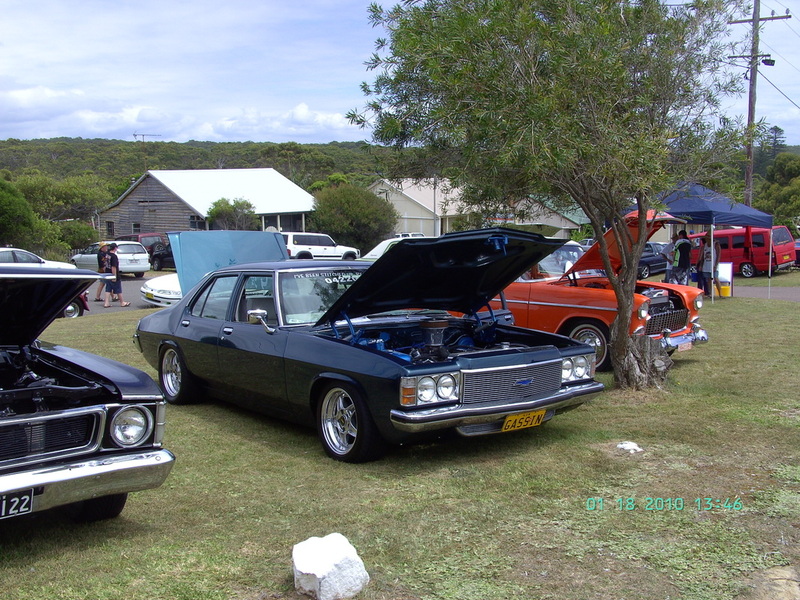 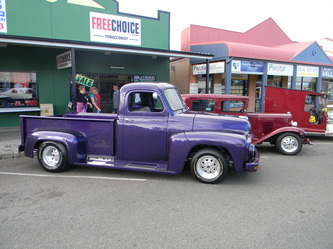 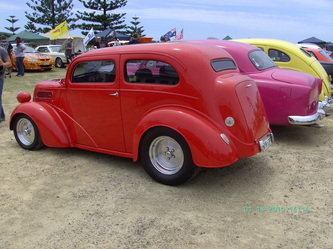 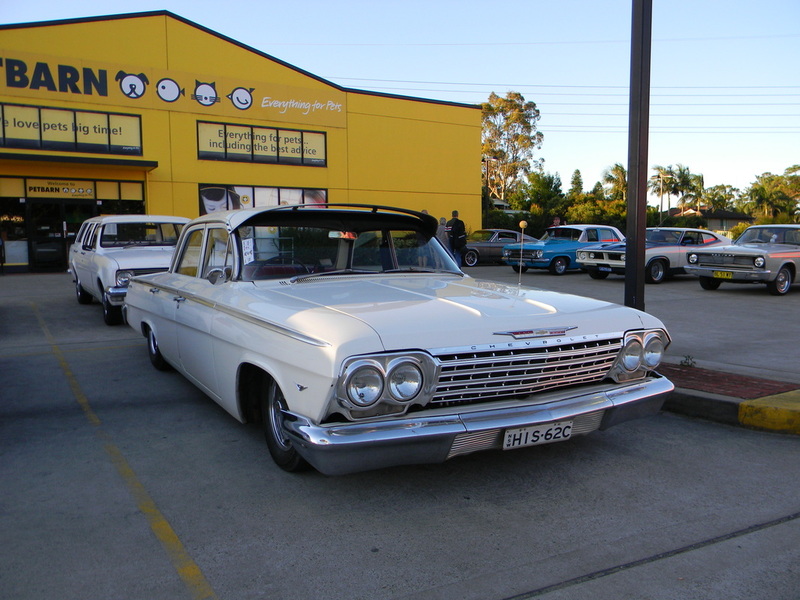 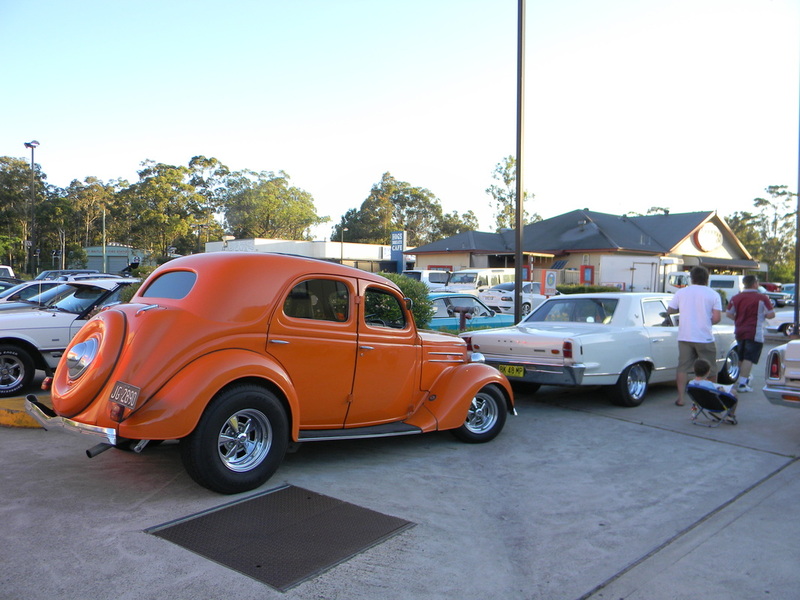 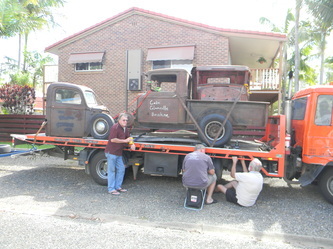 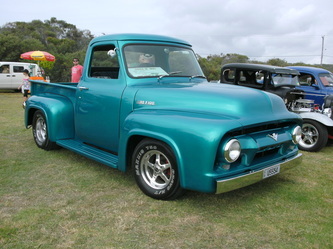 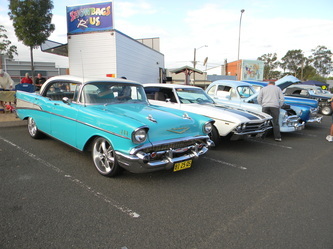 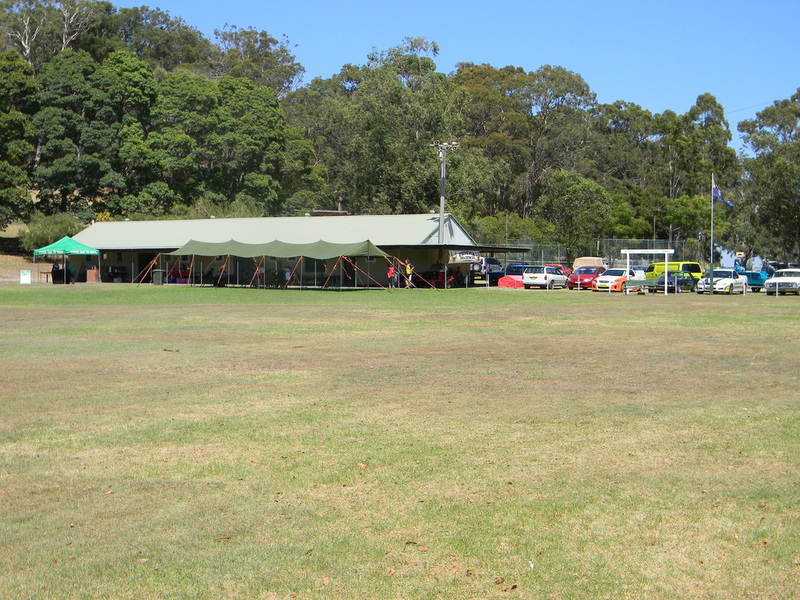 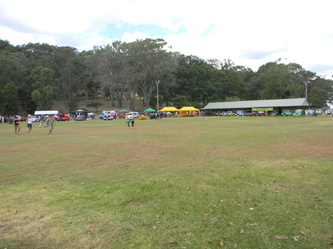 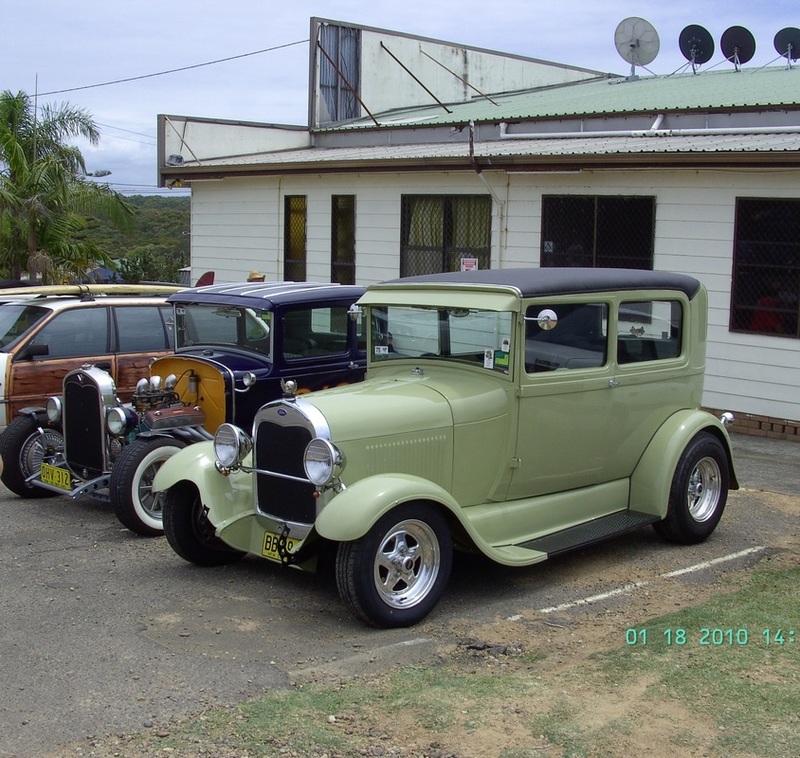 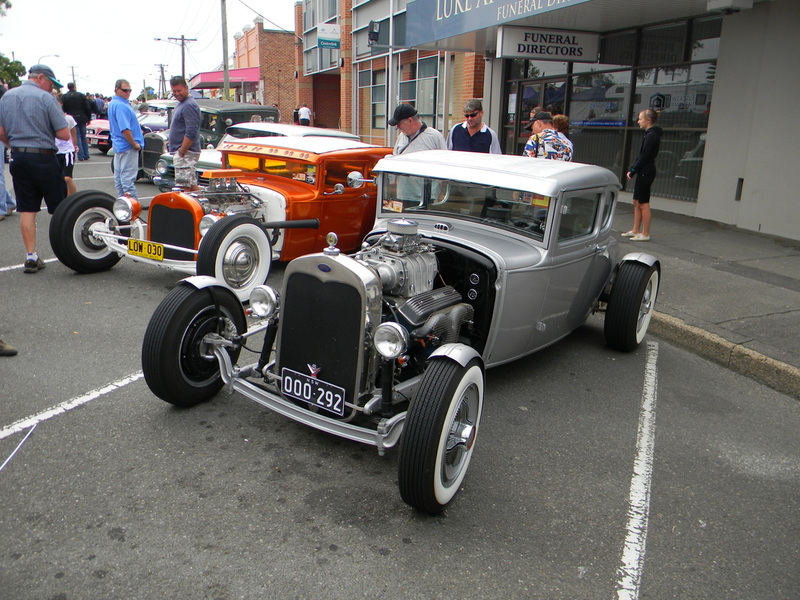 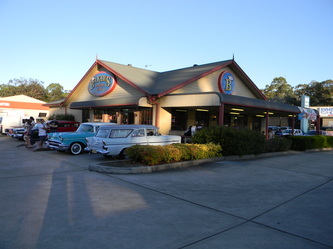 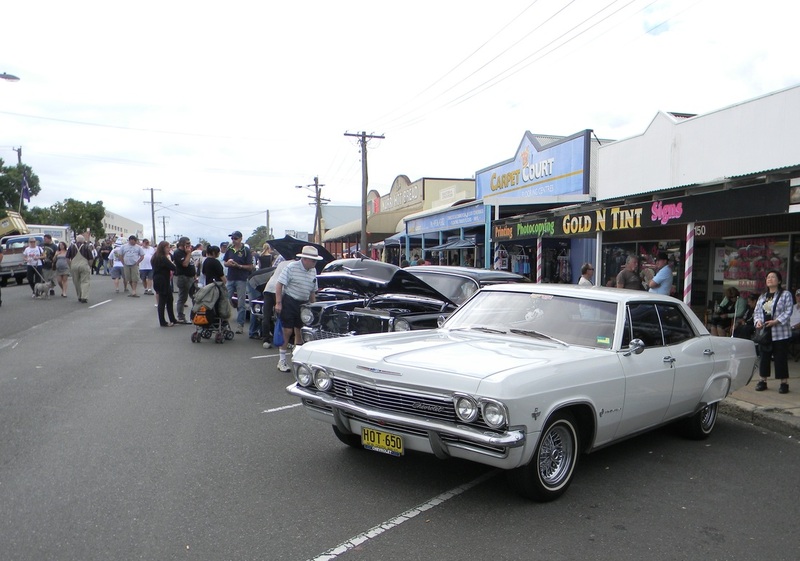 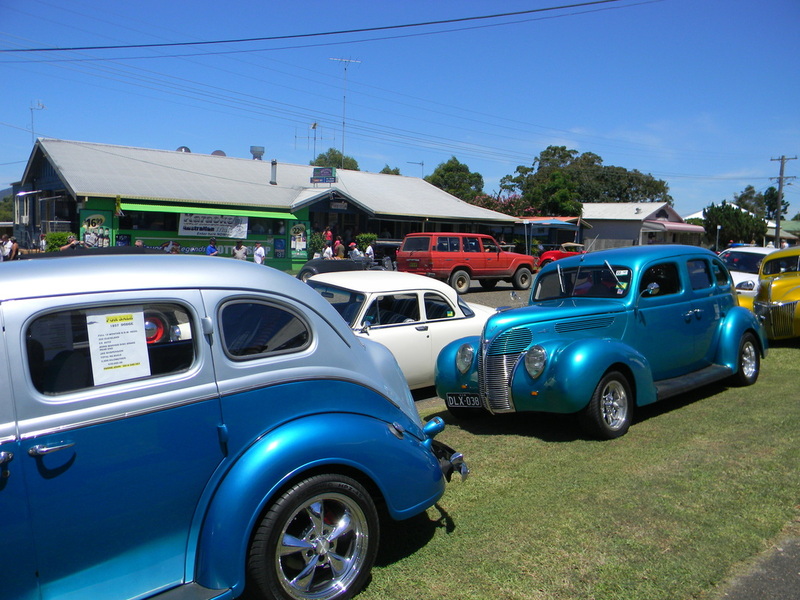 On the 27th March 2011 our club attended the Kurri Kurri Nostalgia Festival. The weather this year was overcast but fine which kept the heat down and brought out one of the biggest crowds to attend this festival. It was great to see 13 of our club rods attend and 21 members were seen during the day. We could not get a car in the top ten but everyone had a great day. 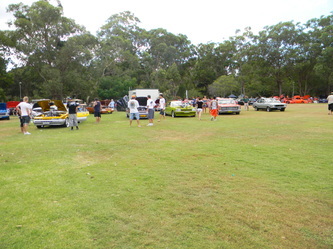 The Park Up is held on the first Saturday of each month and at December's Park Up we saw over 50 vehicles on show. 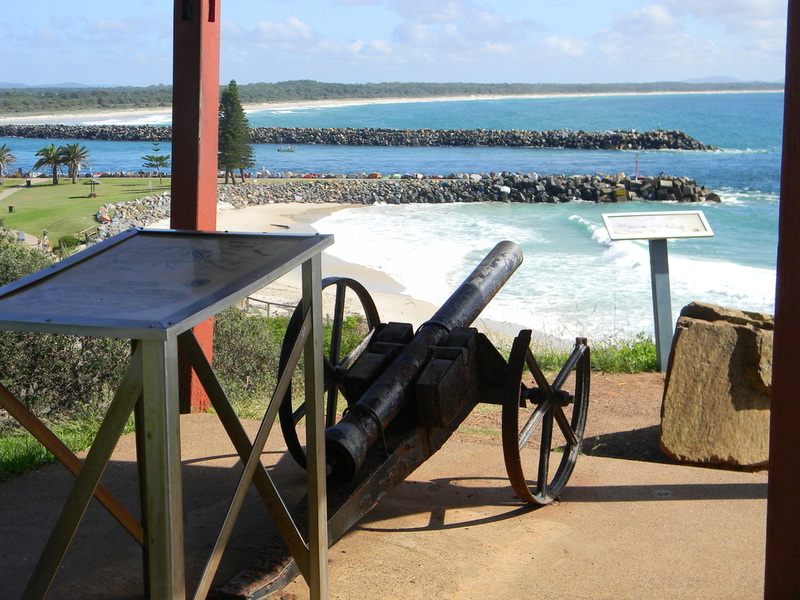 It's a great place to catch up with friends and have a chat for a few hours. 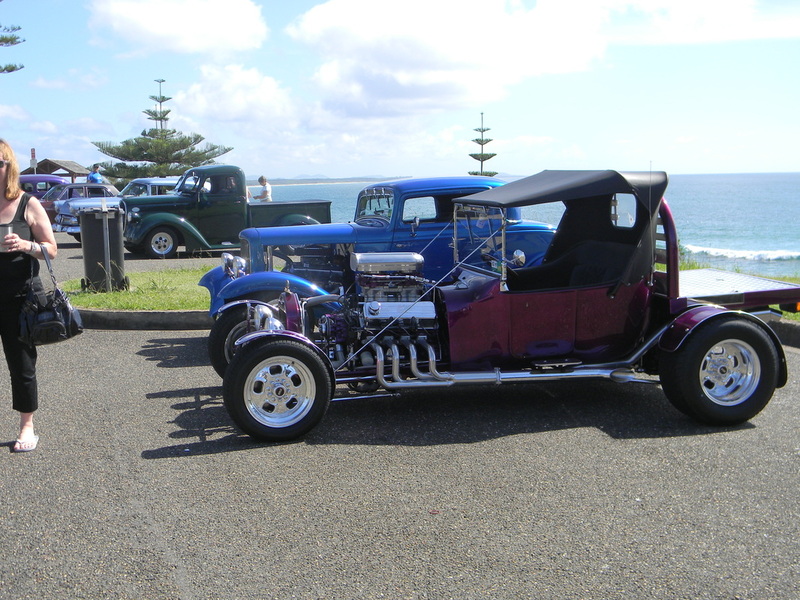 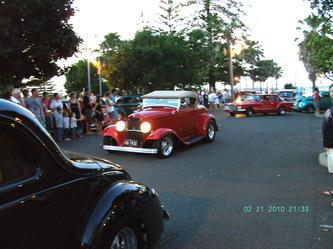 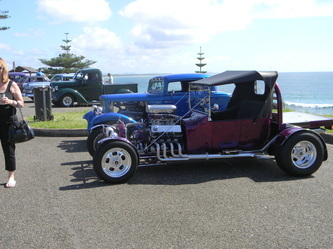 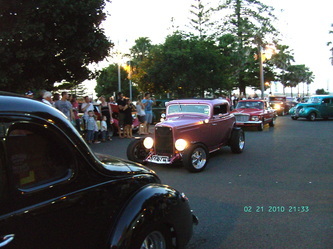 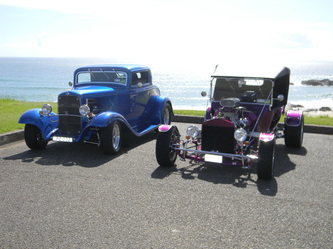 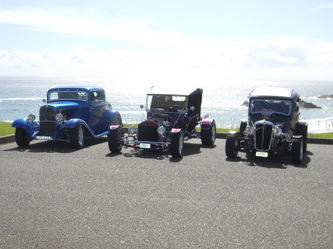 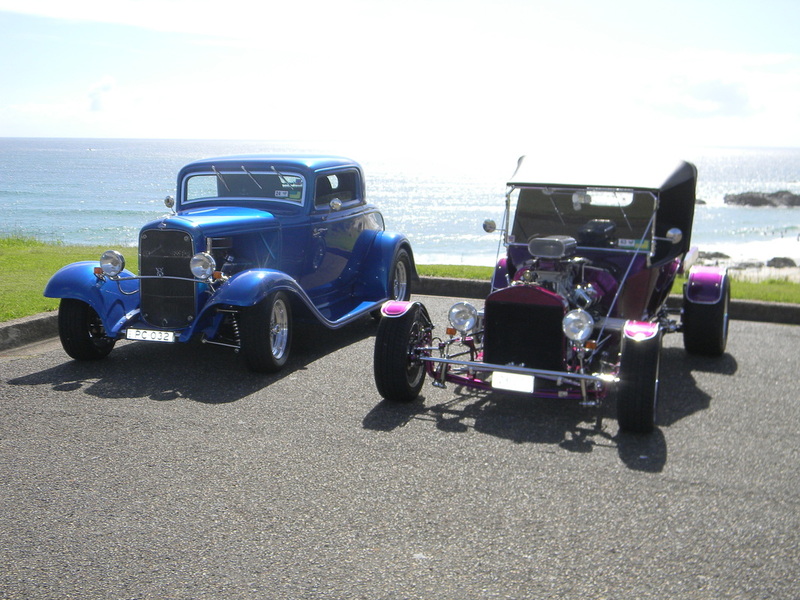 Being a nice warm evening some of the rods went for a cruize to Newcastle and Bar Beach before heading home.